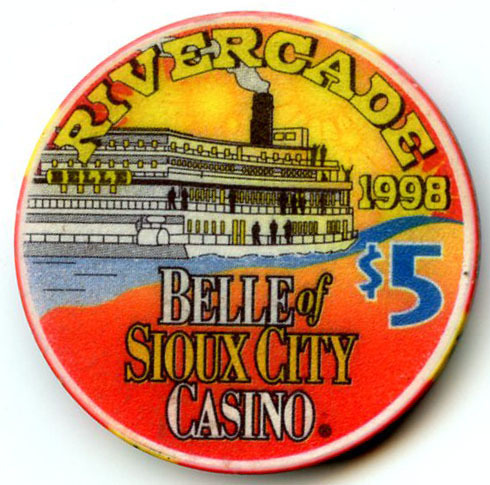 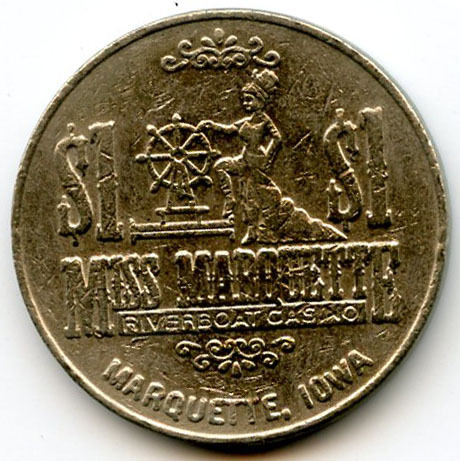 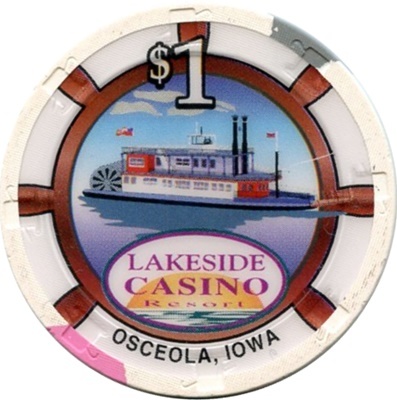 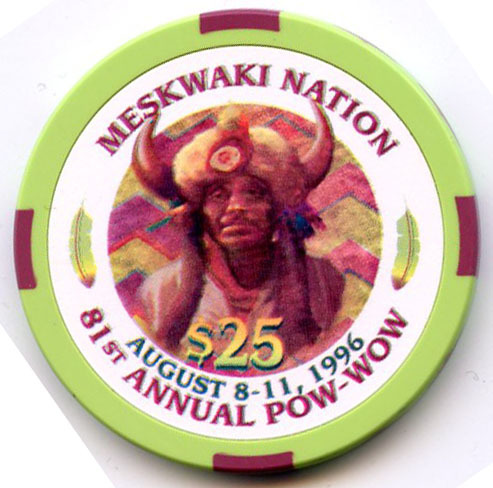 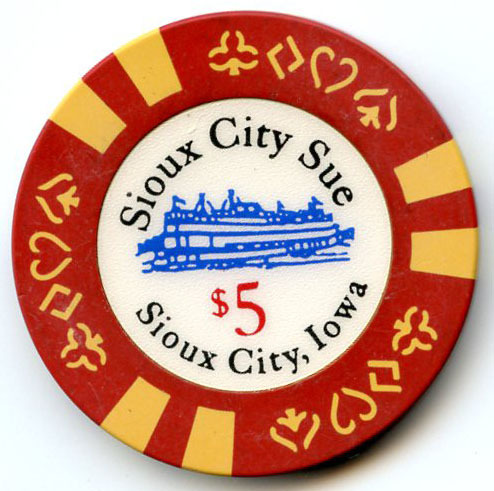 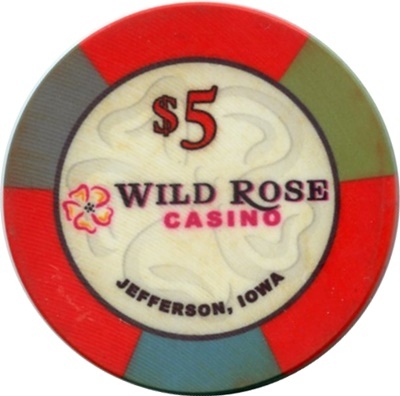 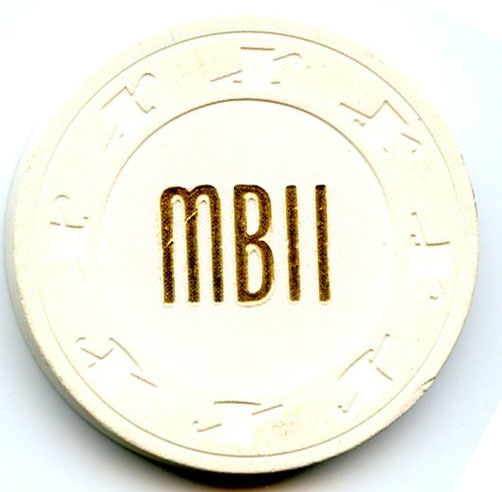 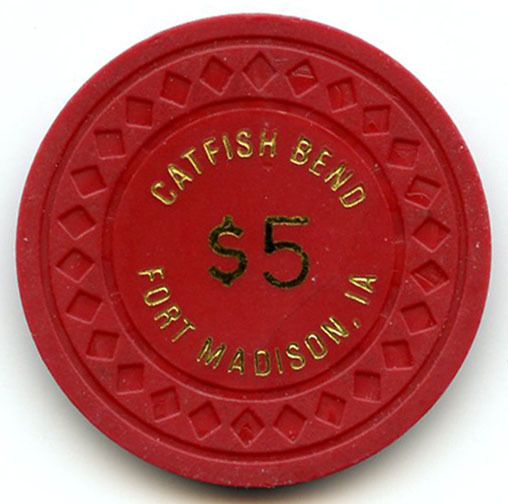 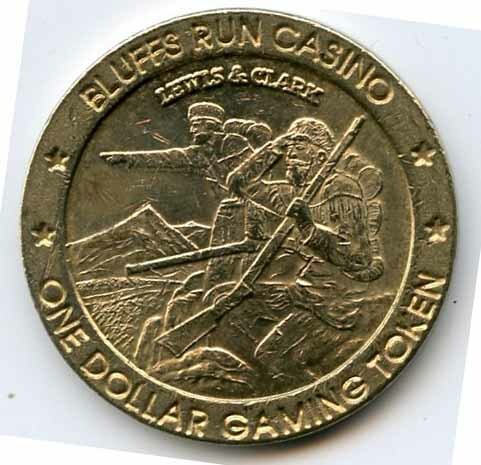 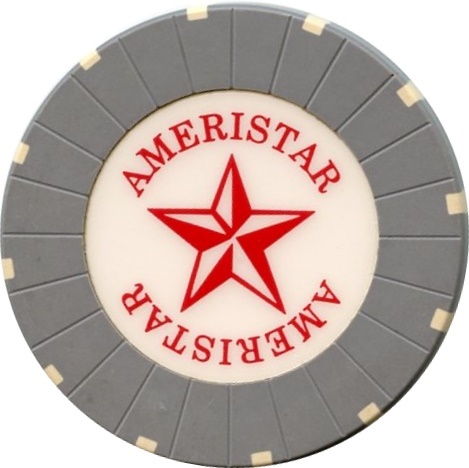 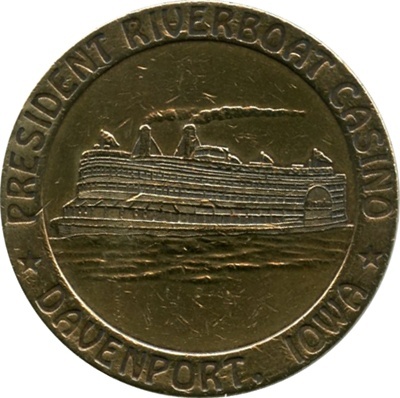 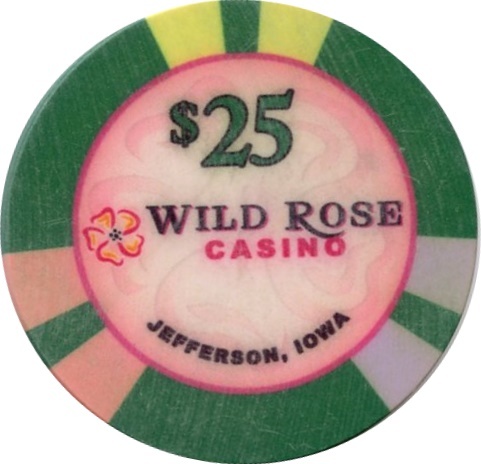 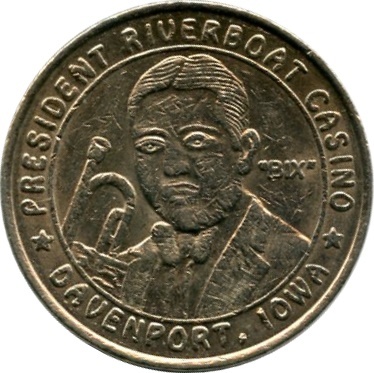 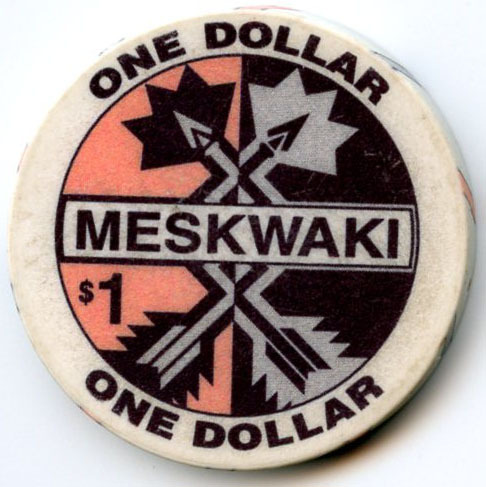 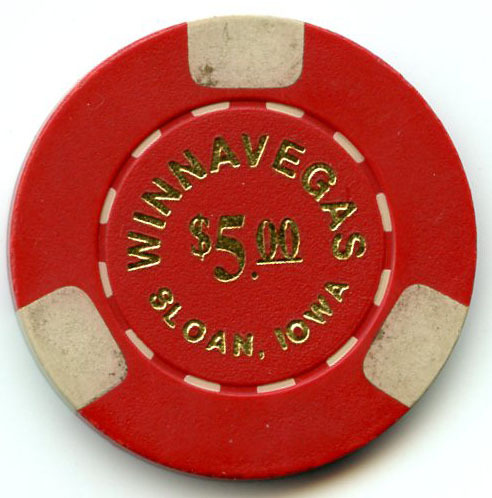 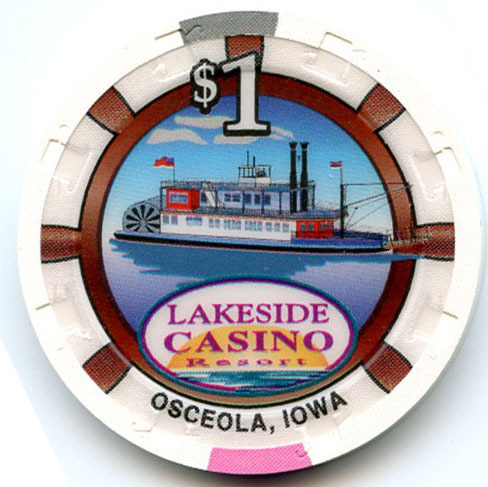 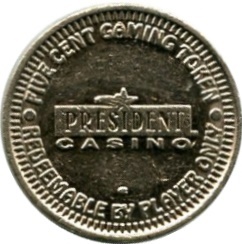 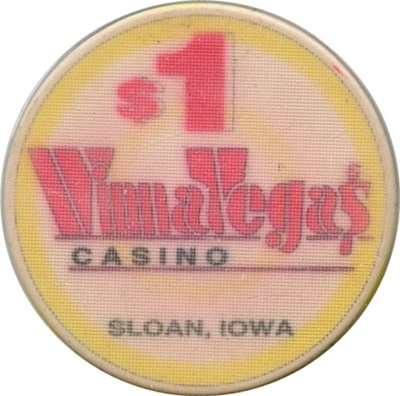 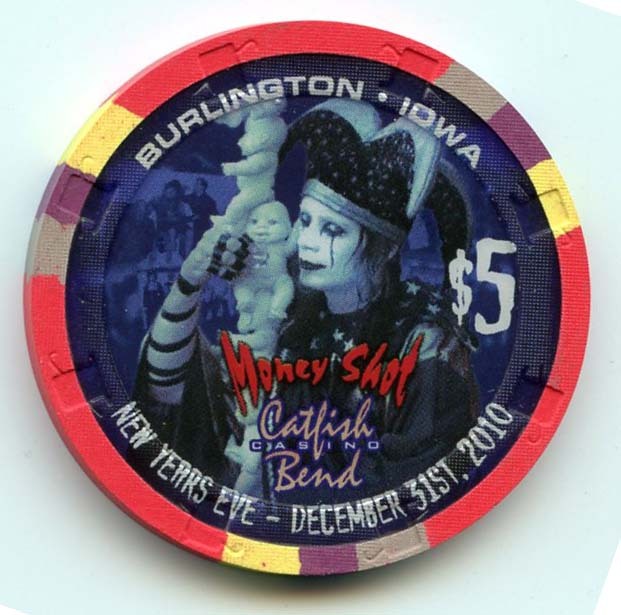 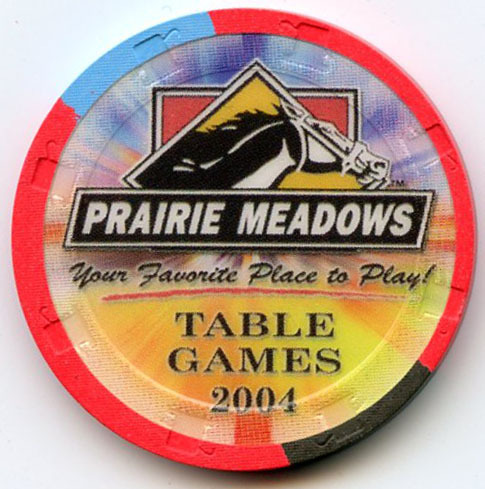 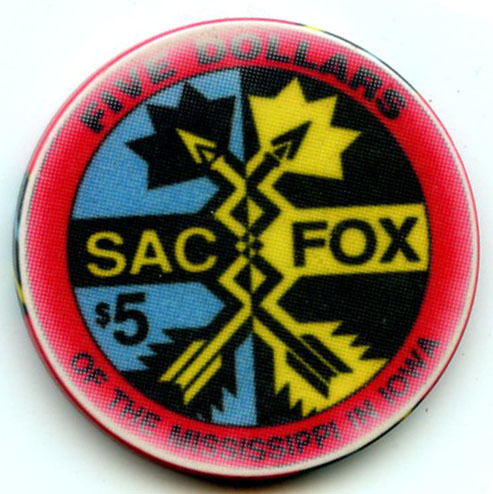 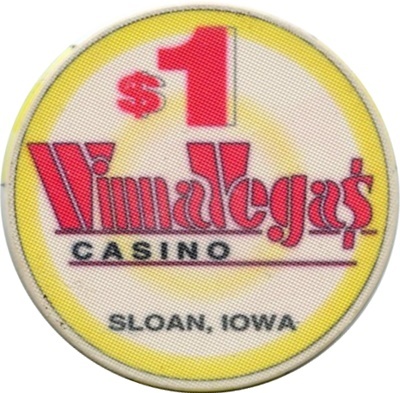 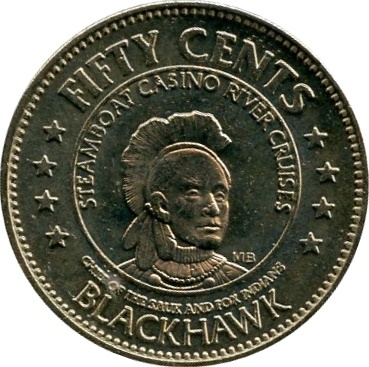 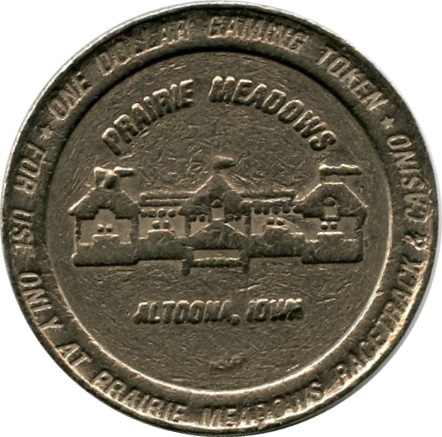 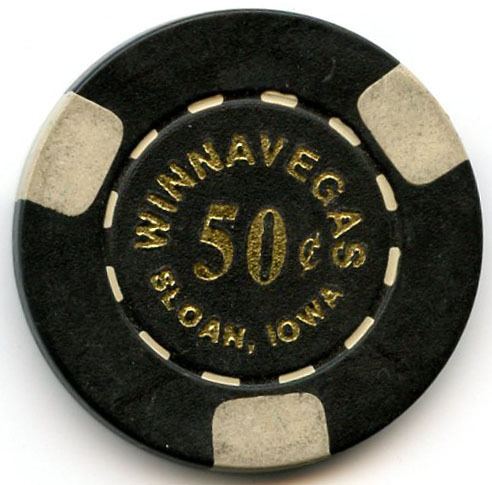 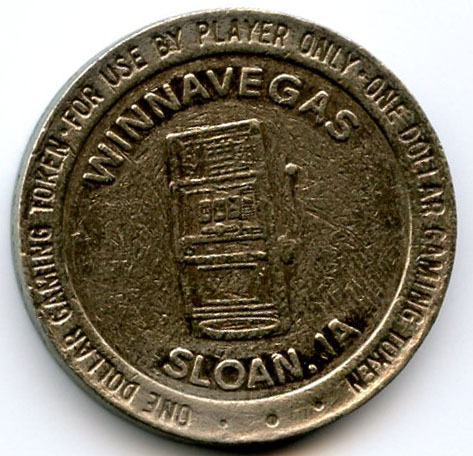 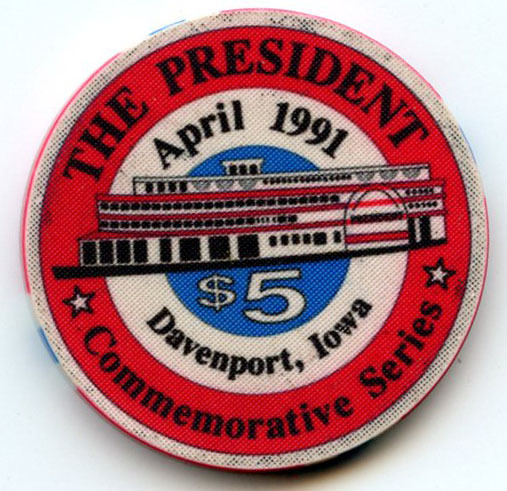 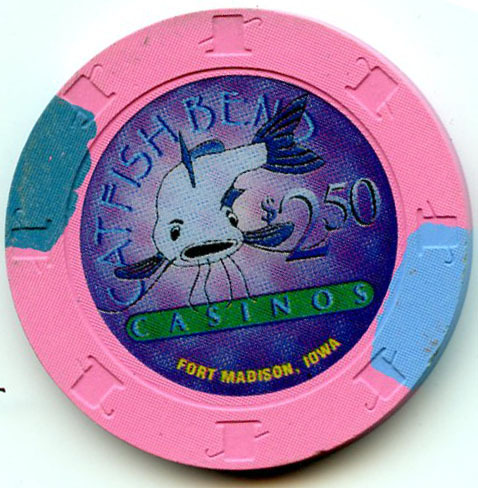 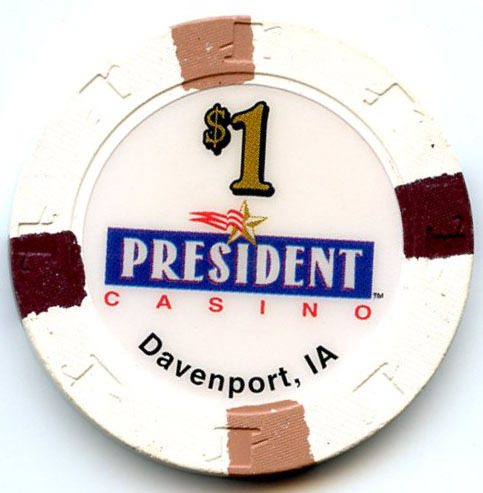 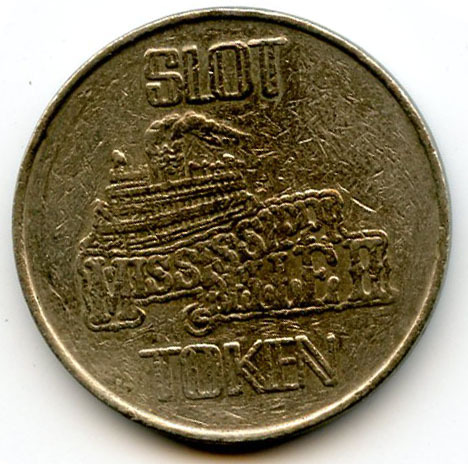 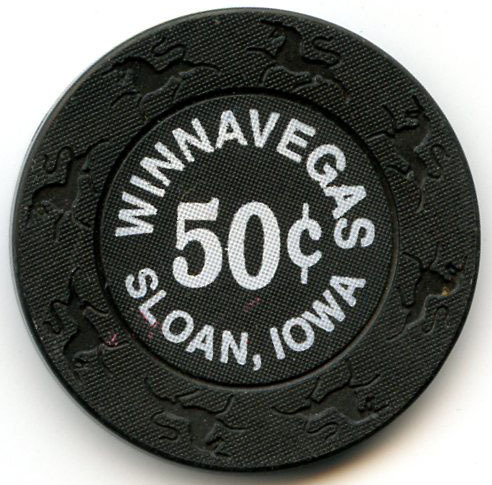 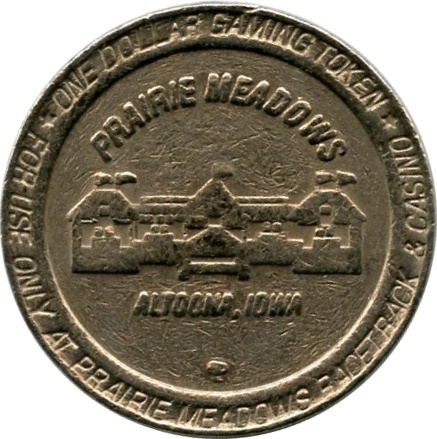 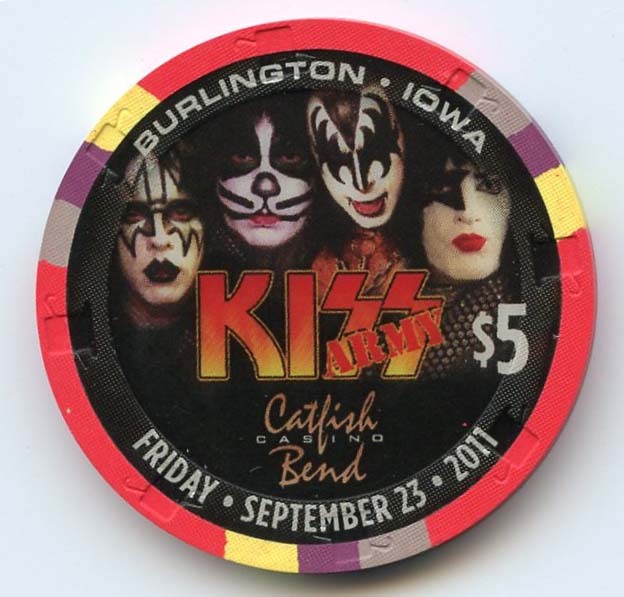 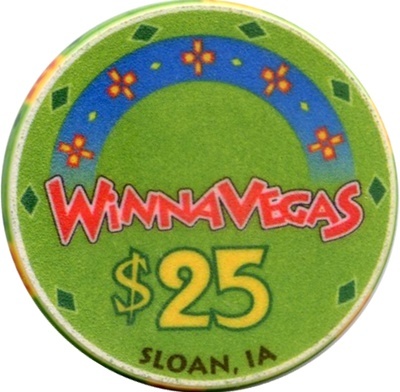 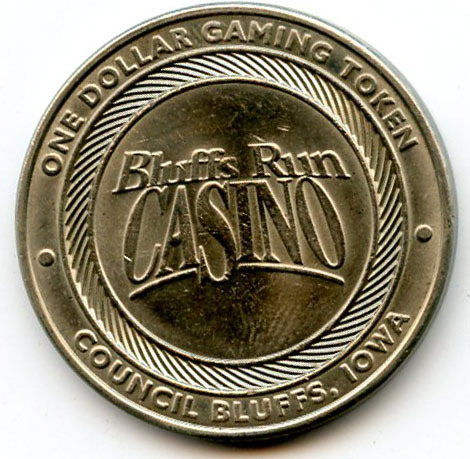 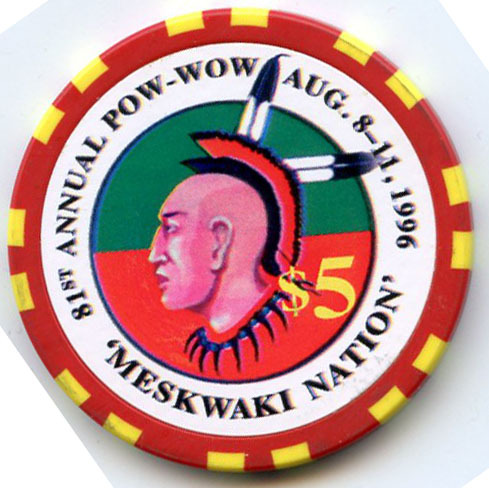 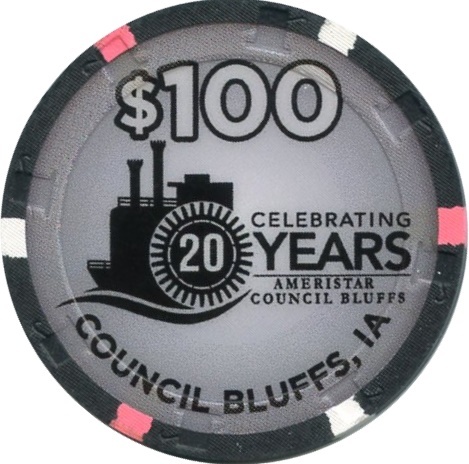 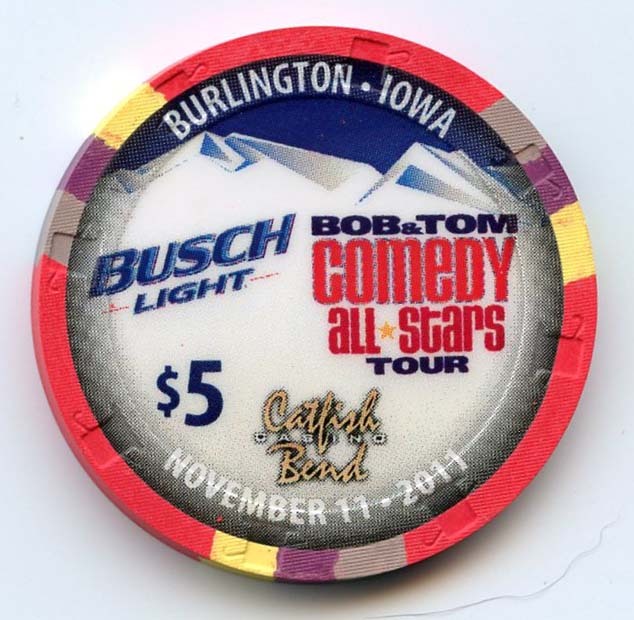 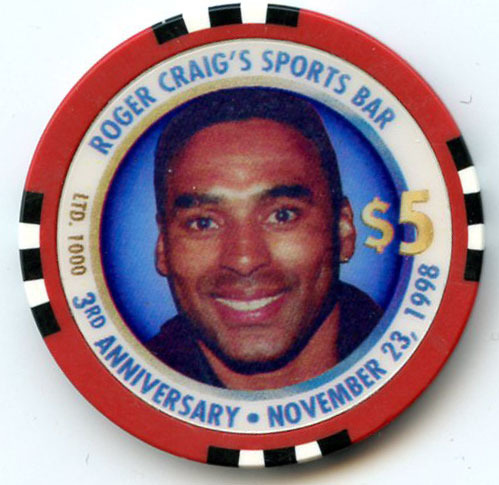 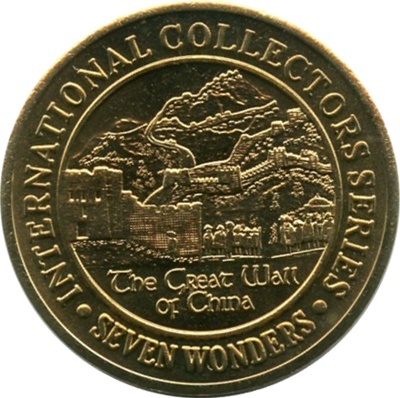 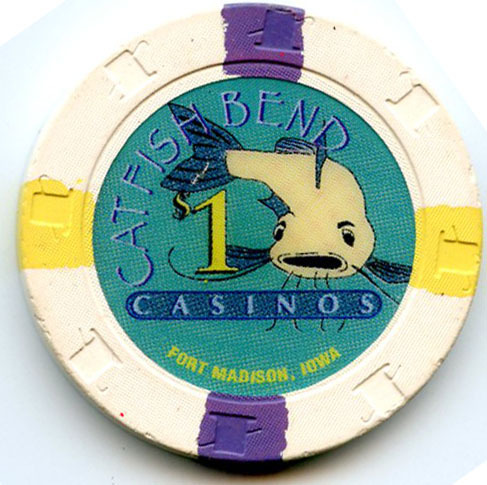 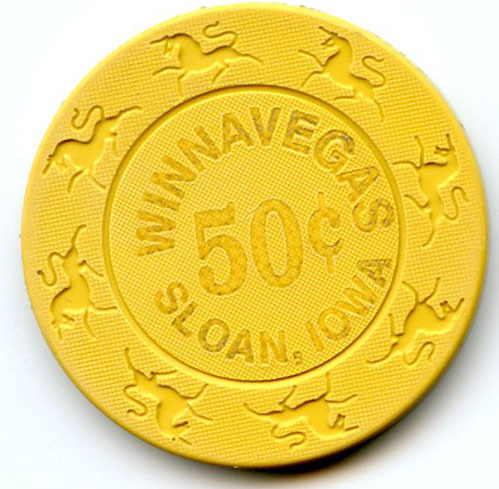 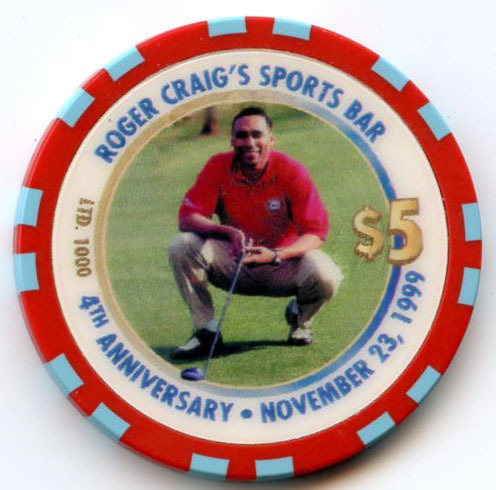 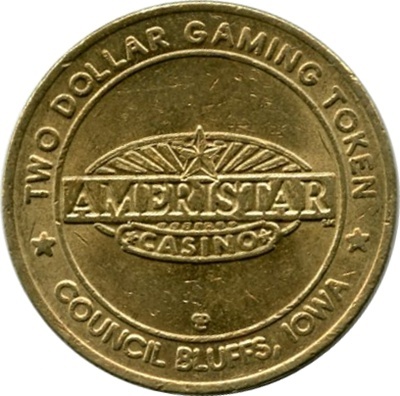 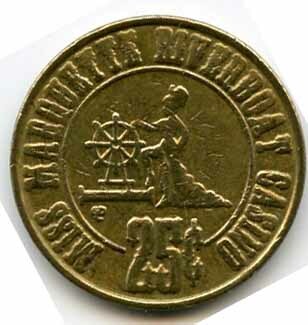 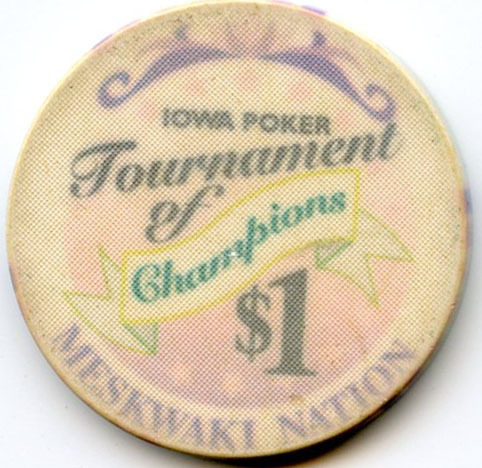 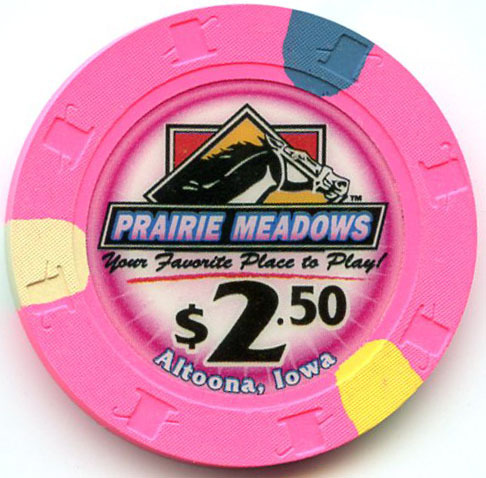 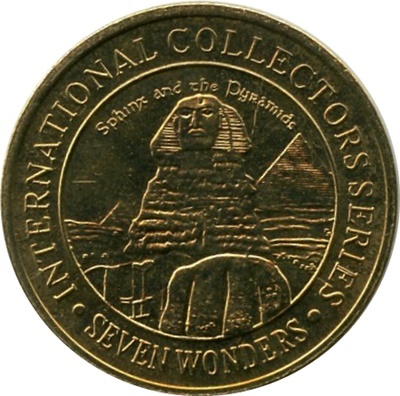 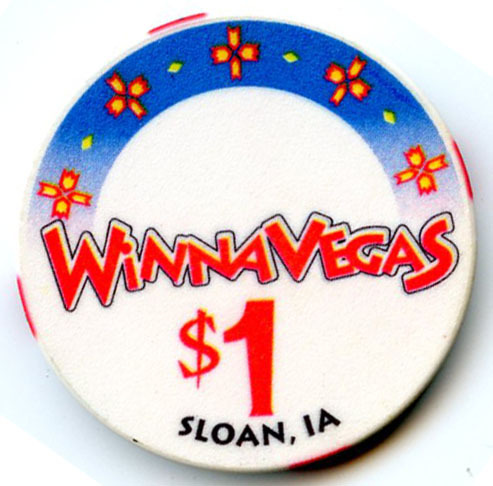 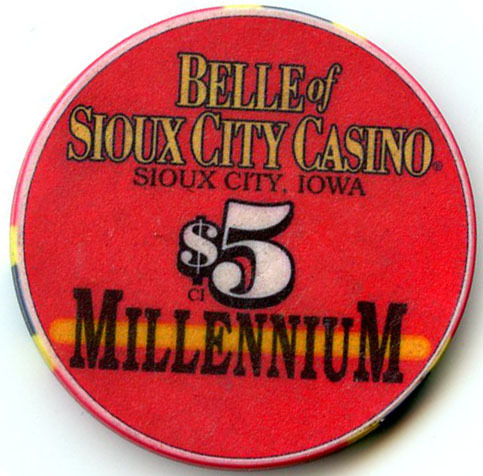 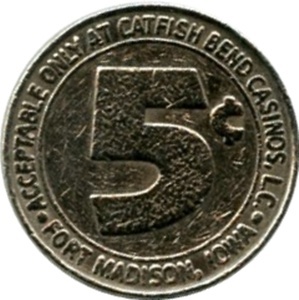 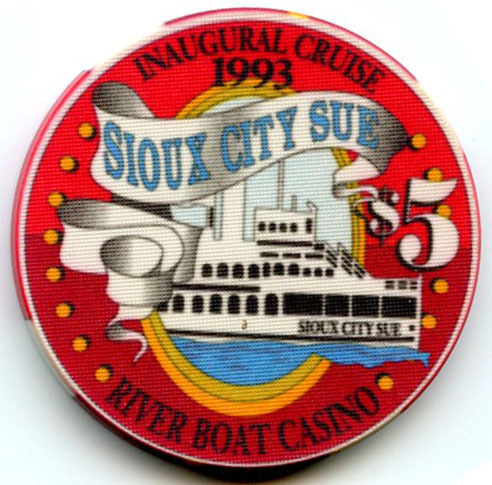 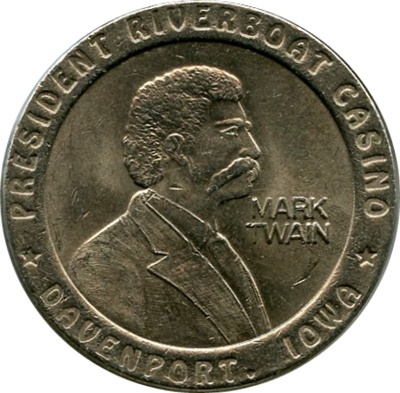 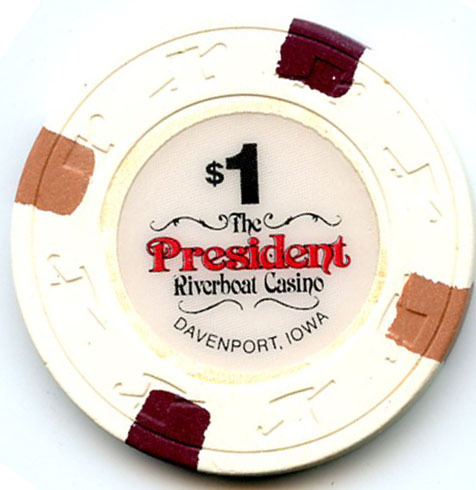 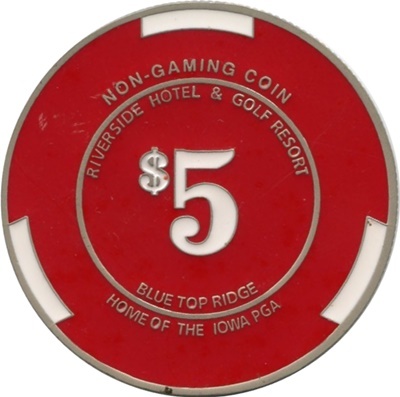 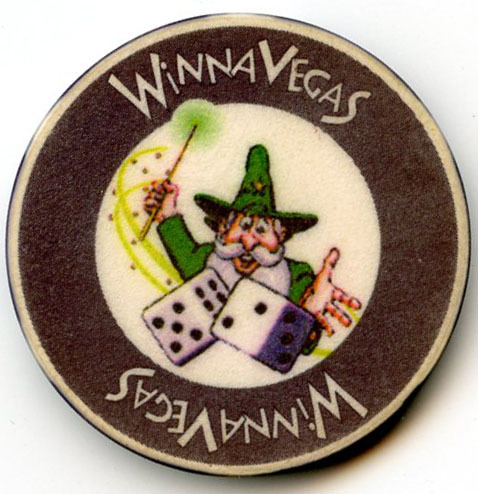 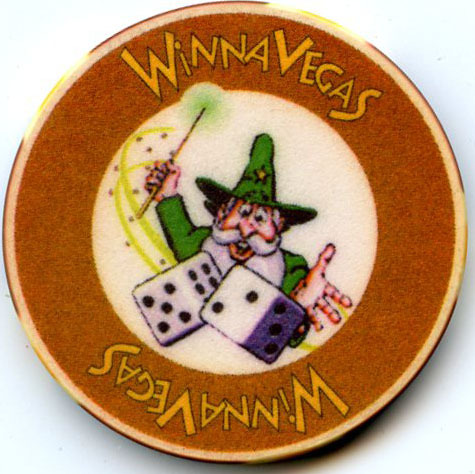 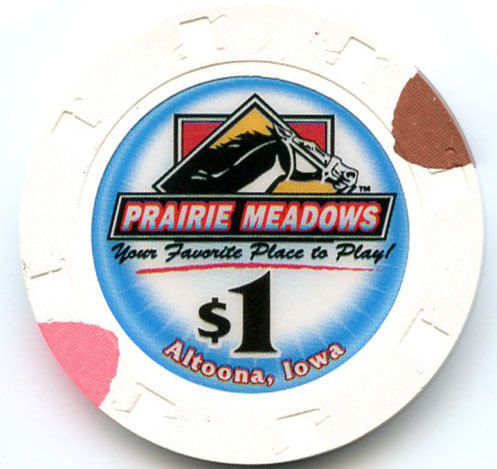 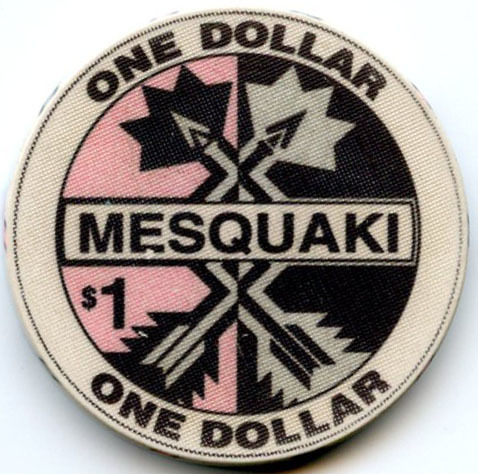 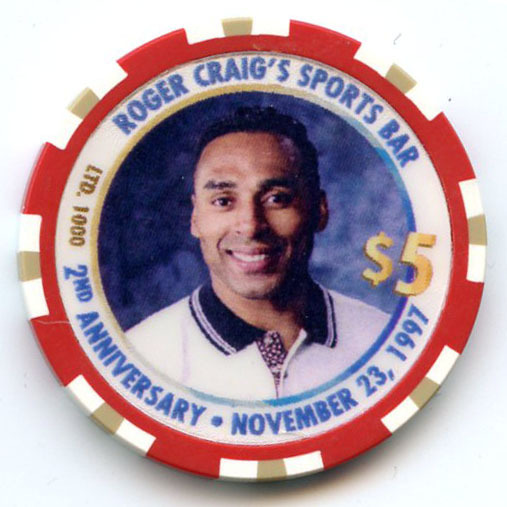 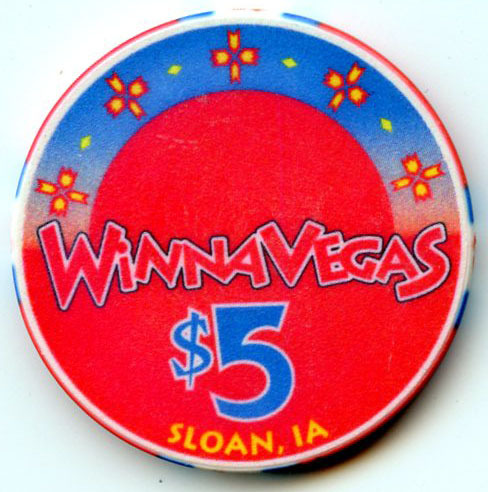 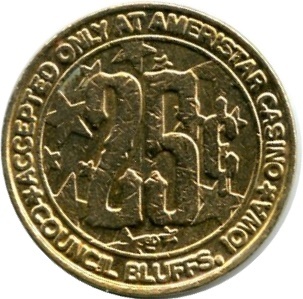 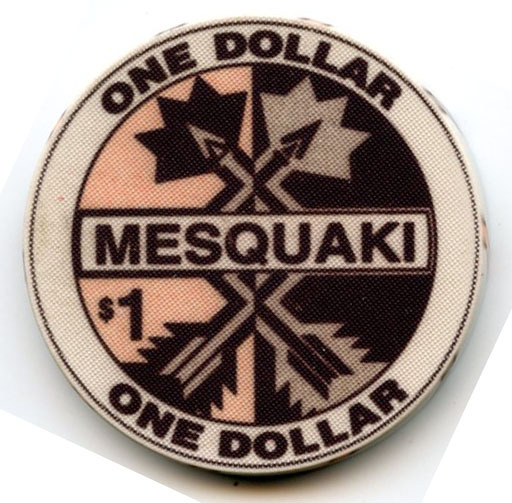 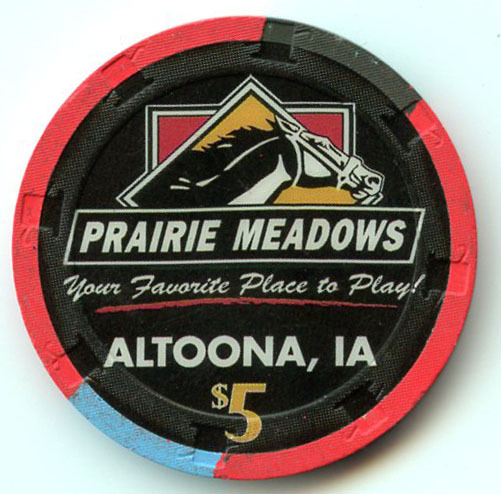 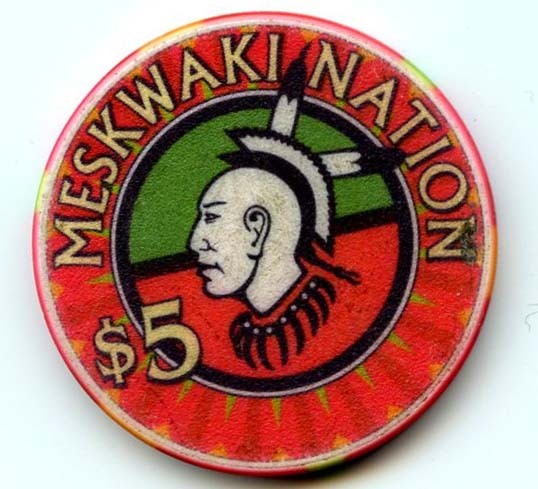 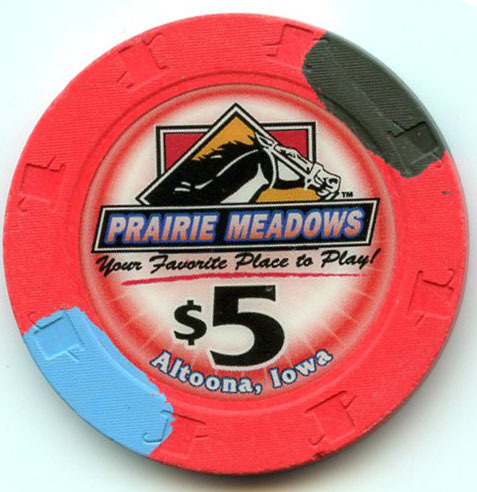 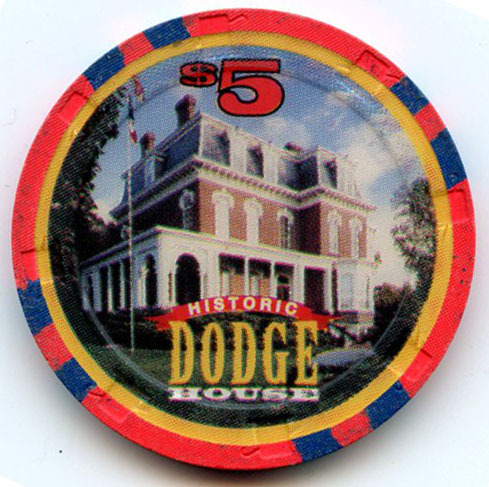 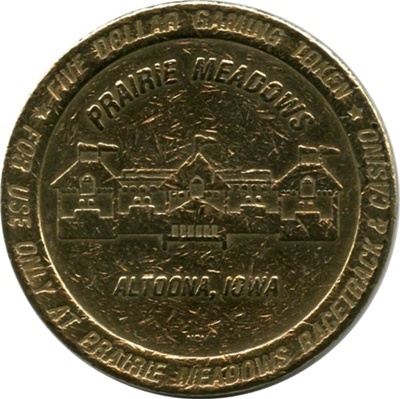 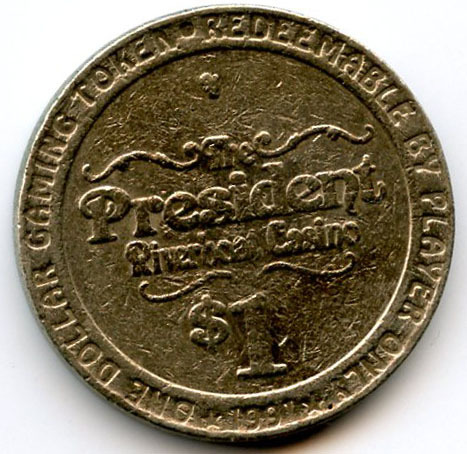 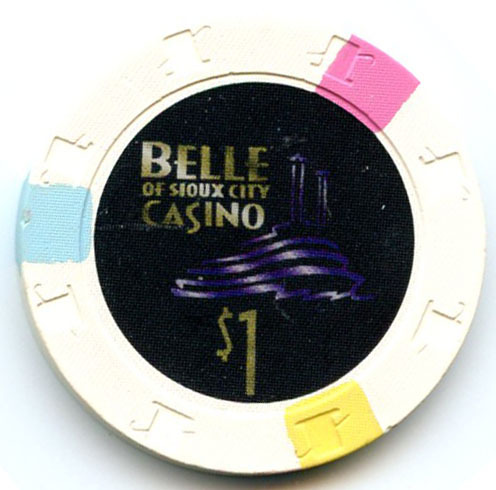 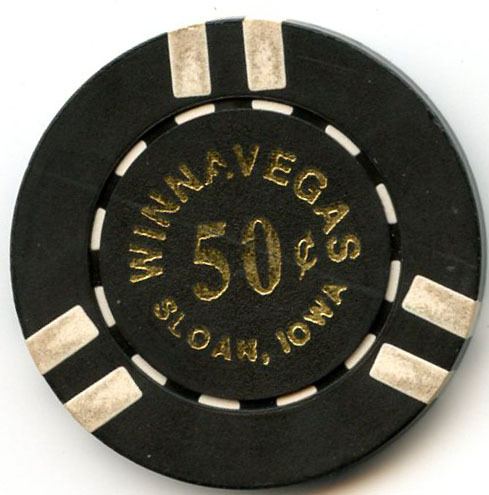 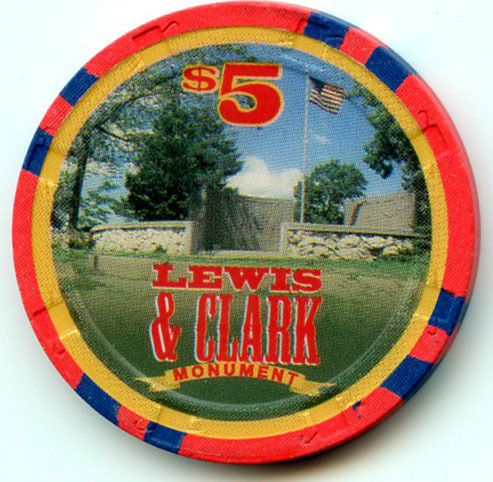 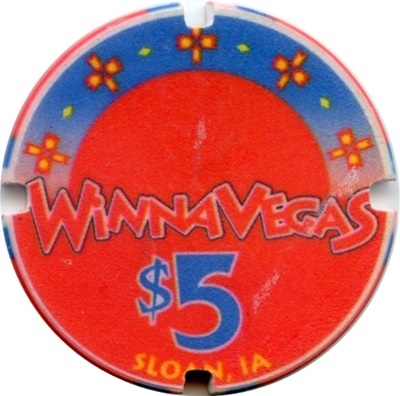 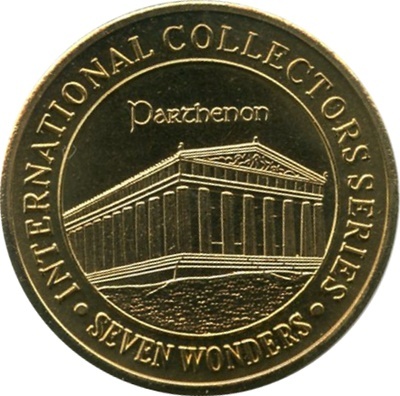 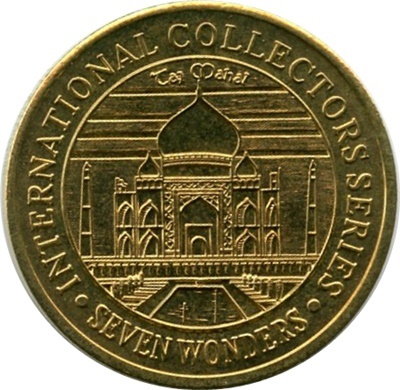 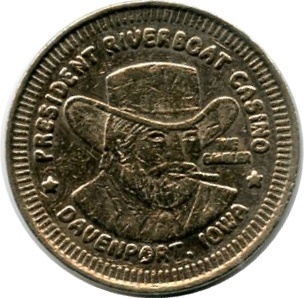 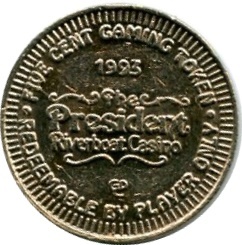 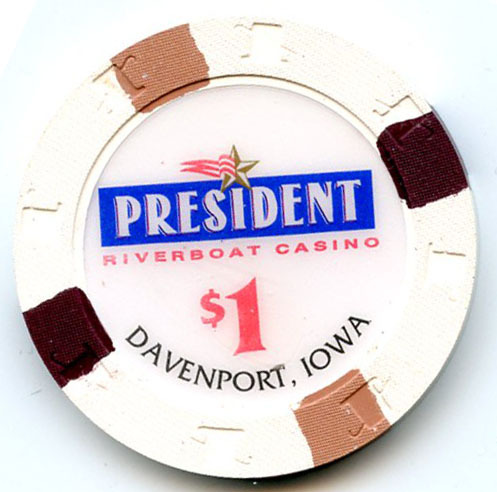 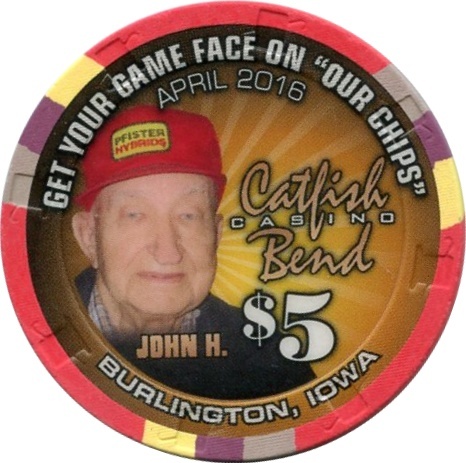 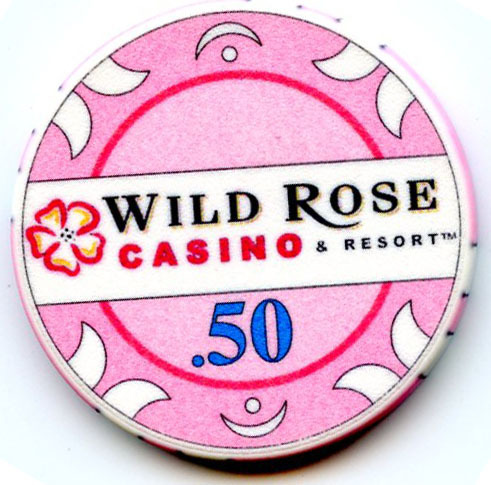 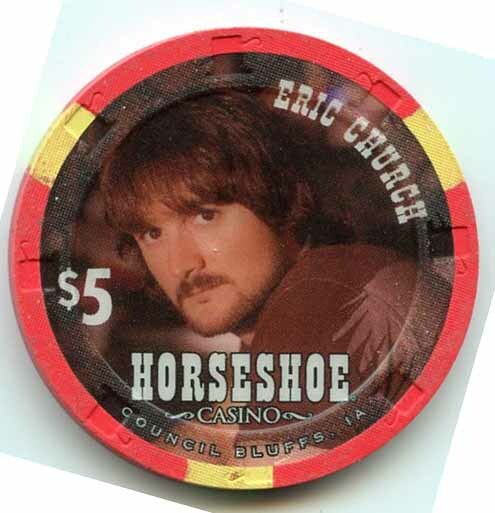 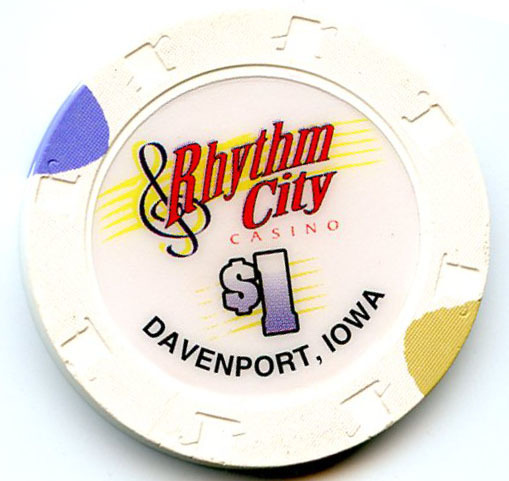 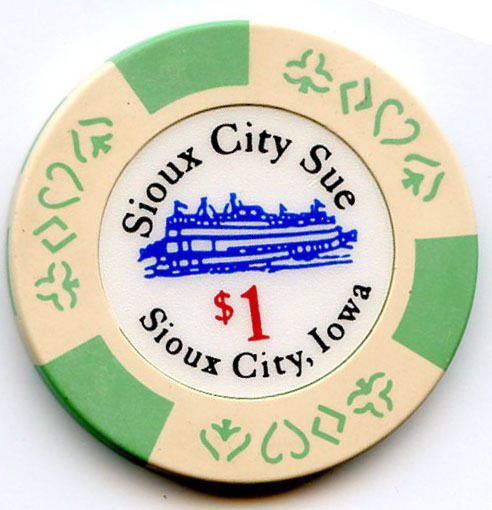 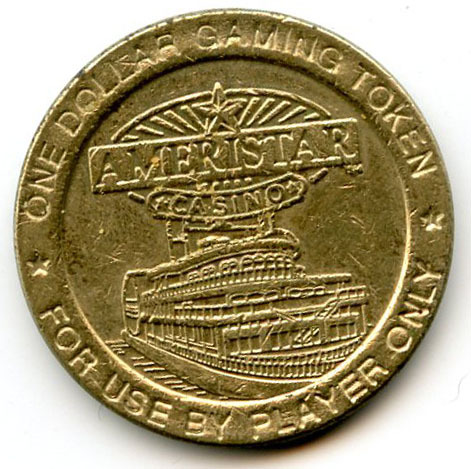 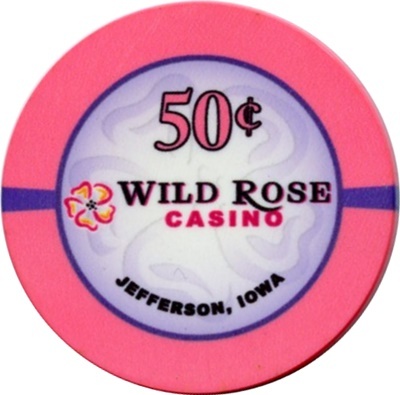 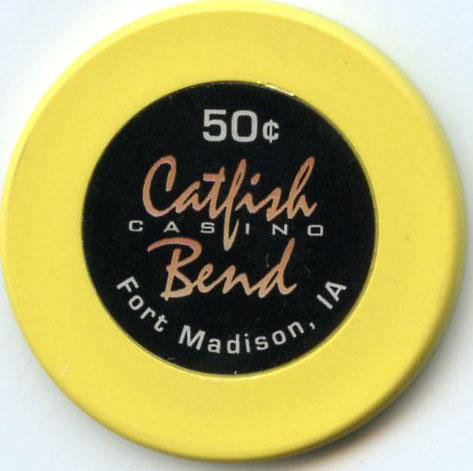 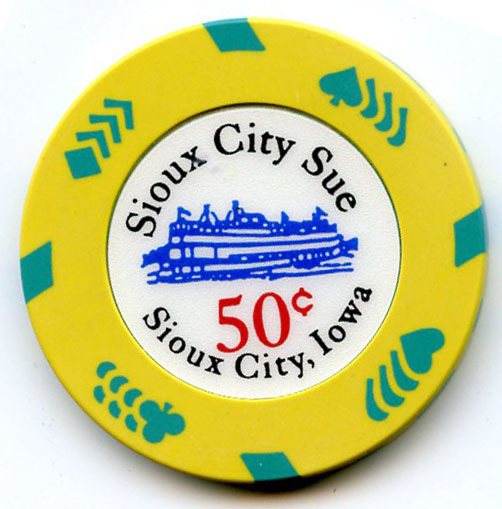 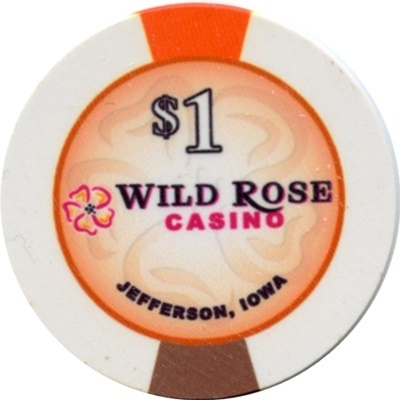 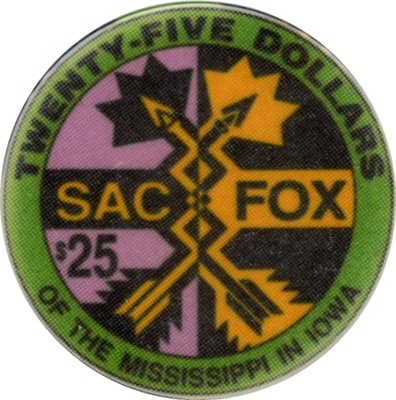 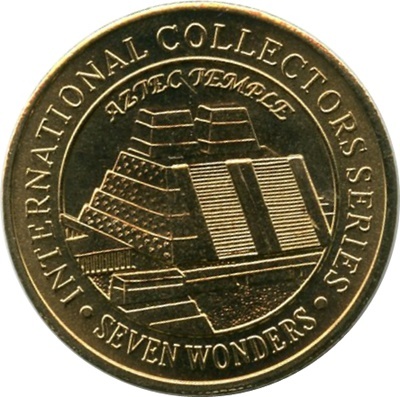 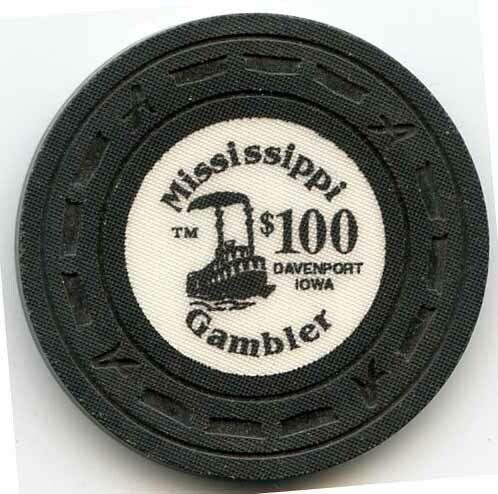 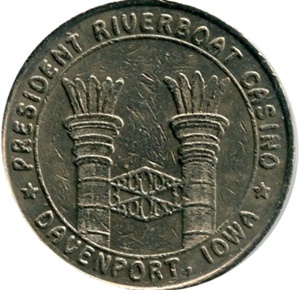 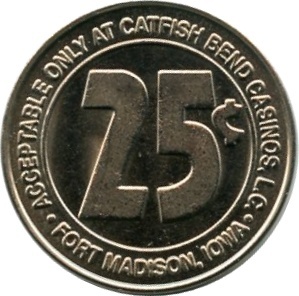 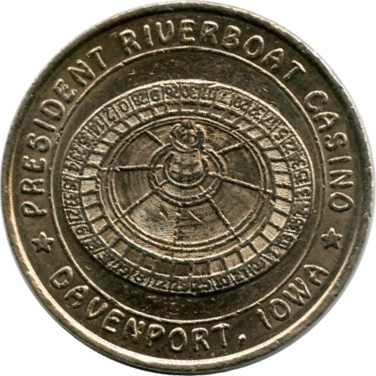 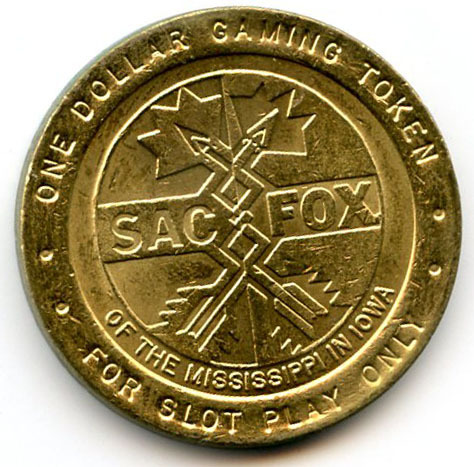 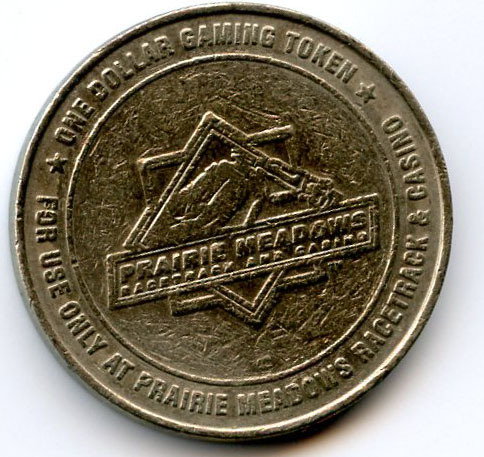 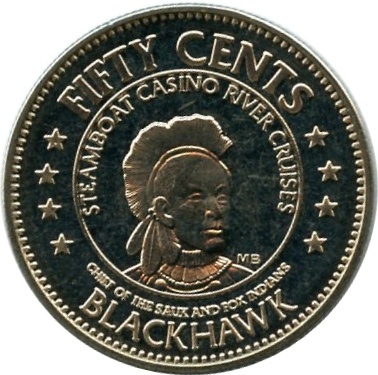 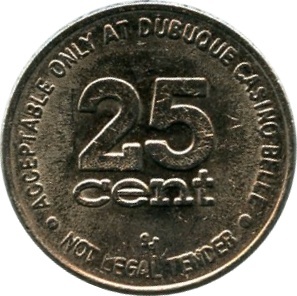 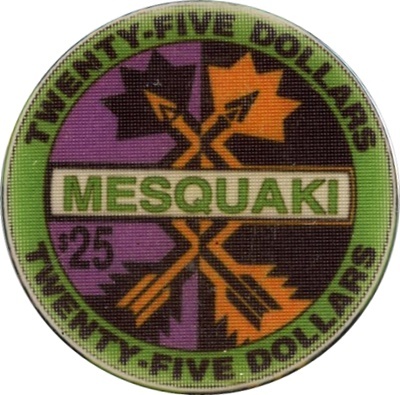 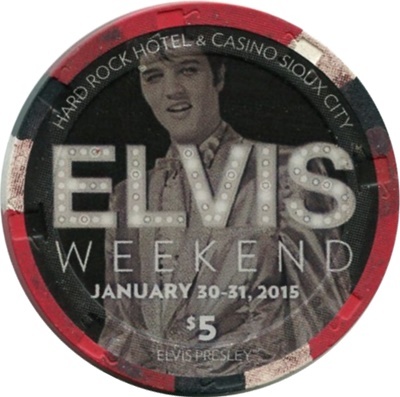 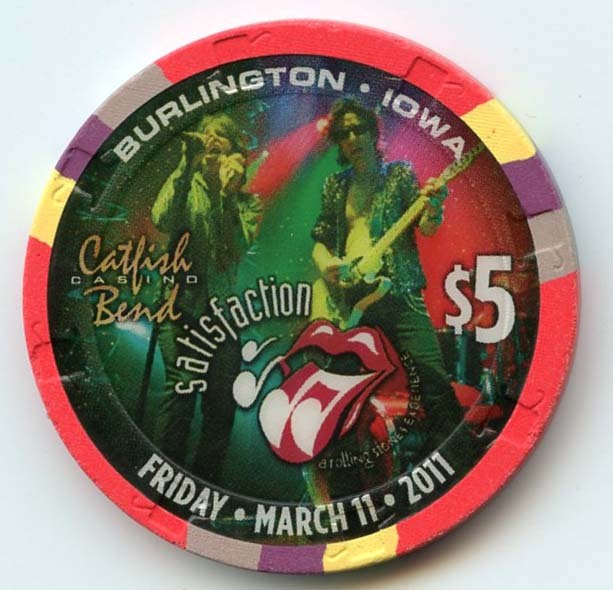 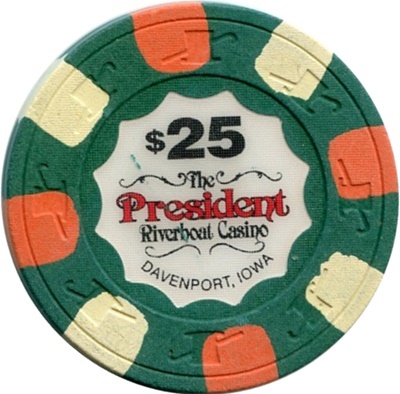 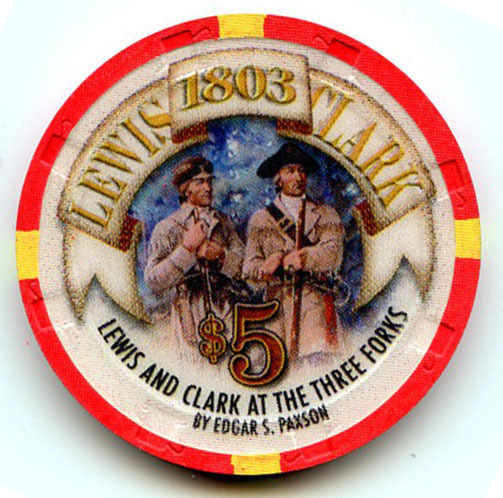 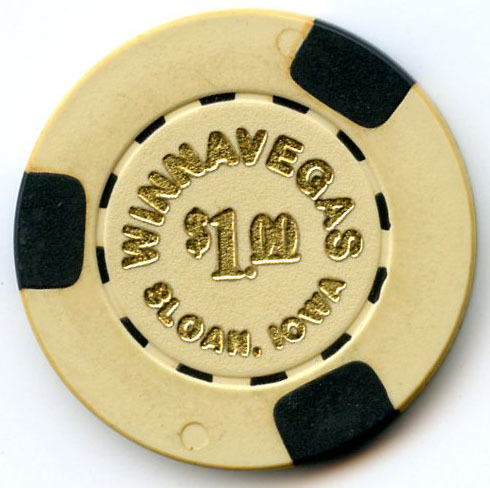 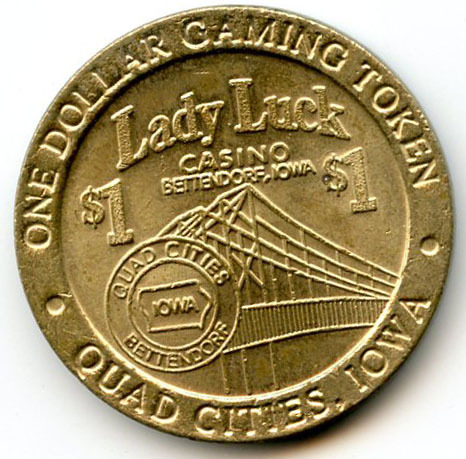 Thank You for viewing my Iowa Chip and Token Collection. 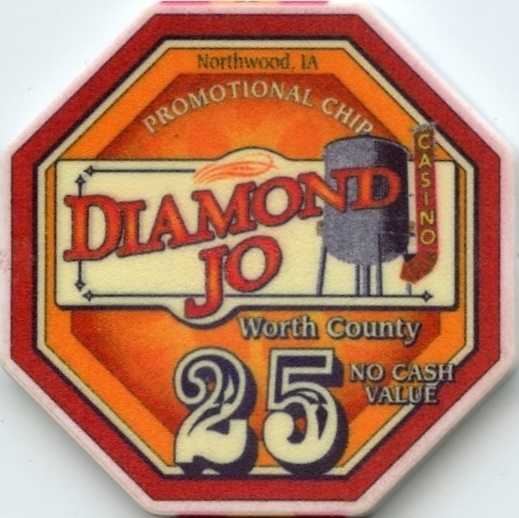 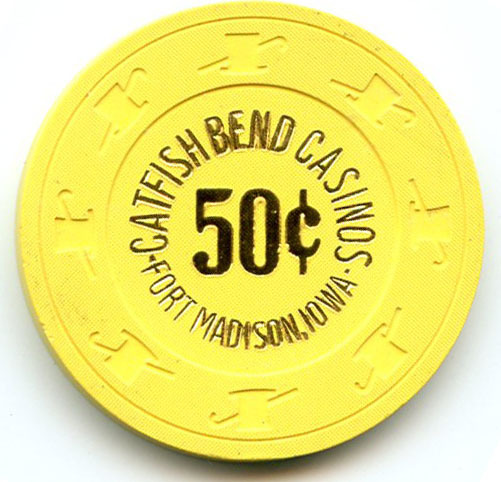 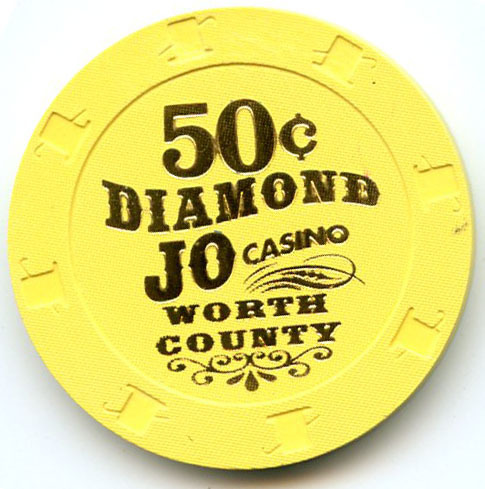 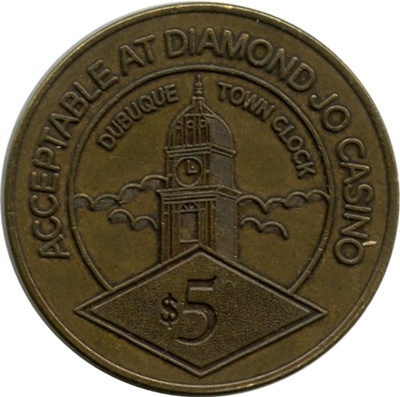 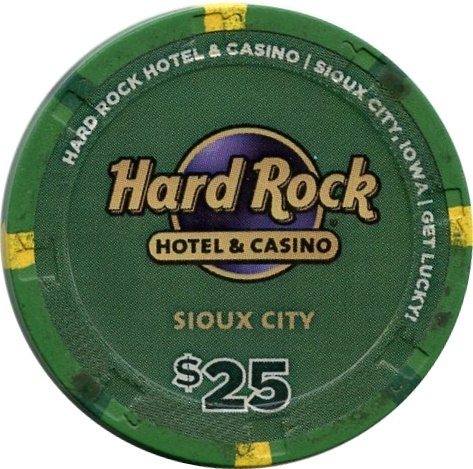 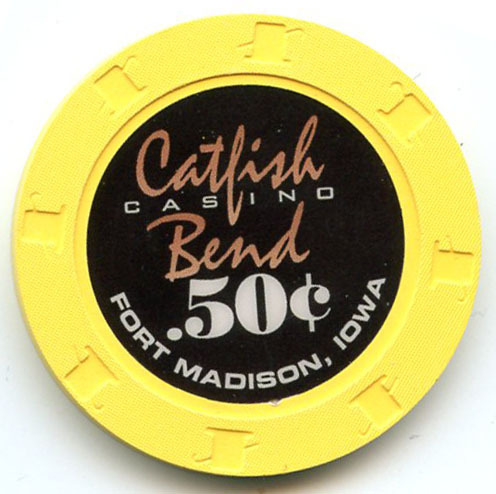 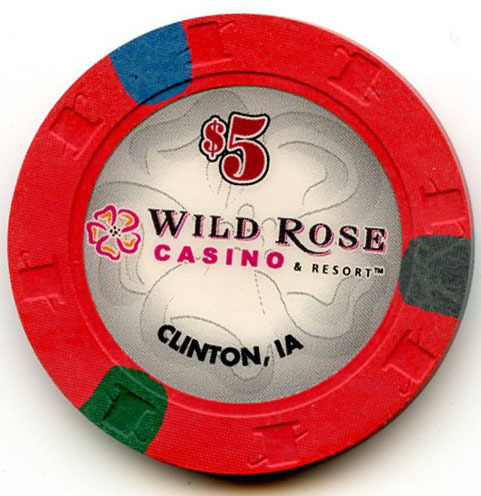 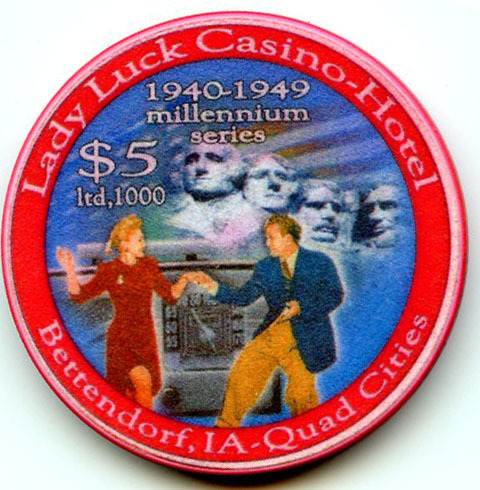 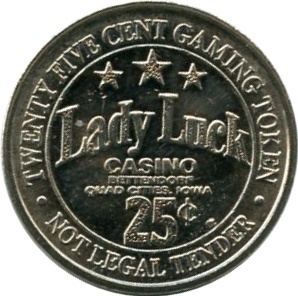 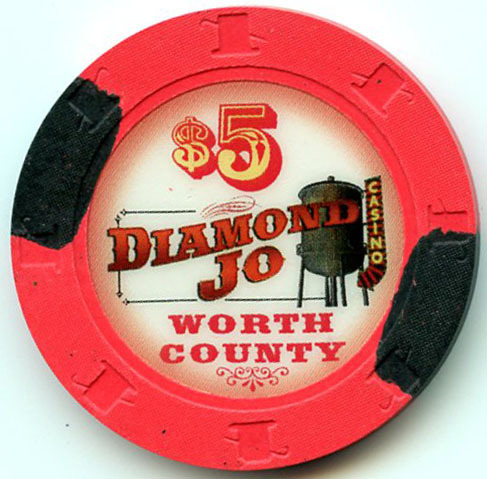 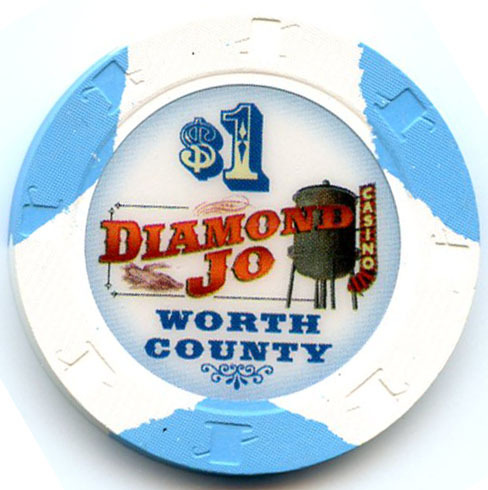 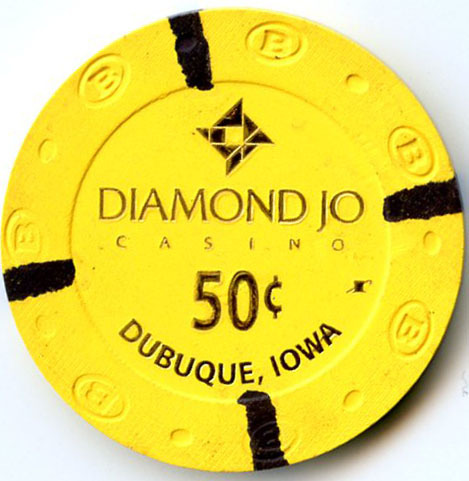 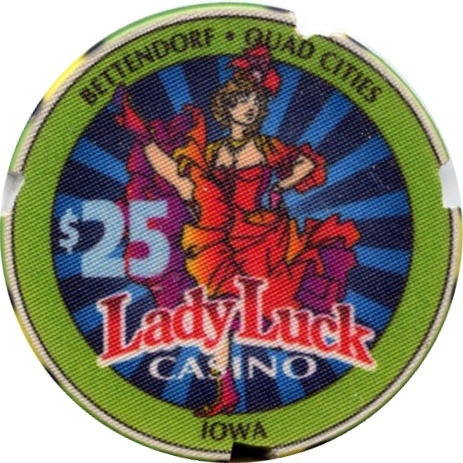 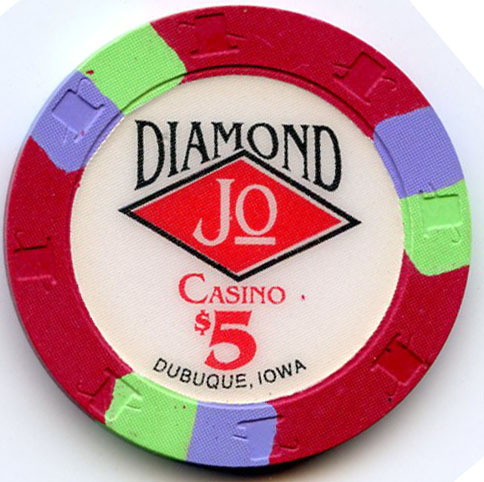 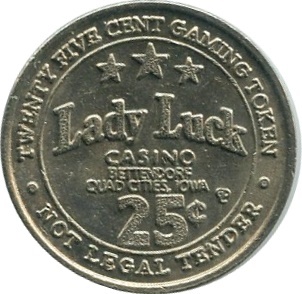 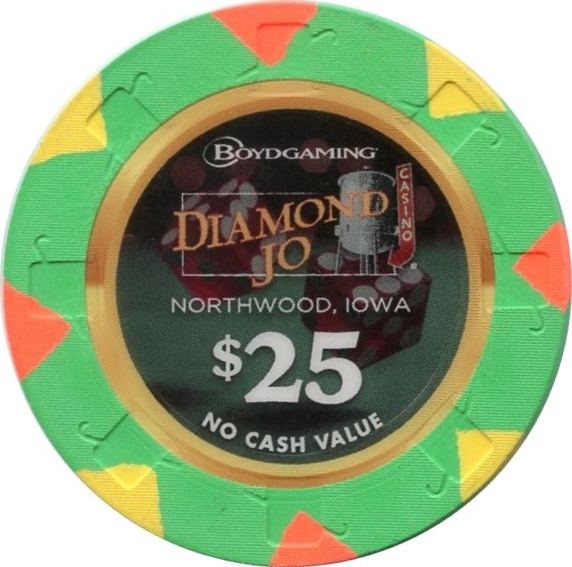 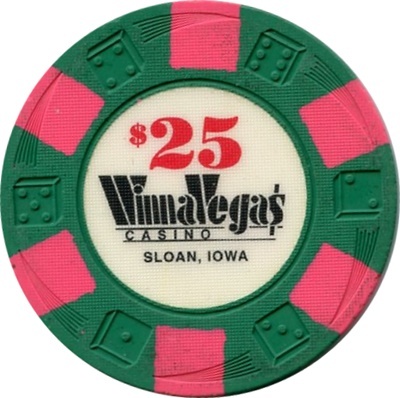 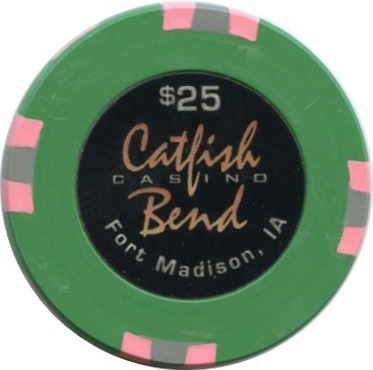 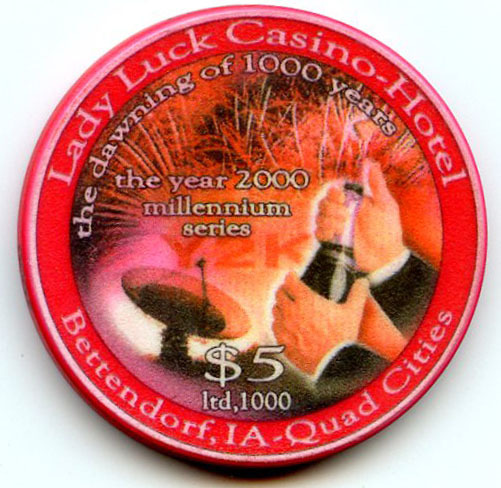 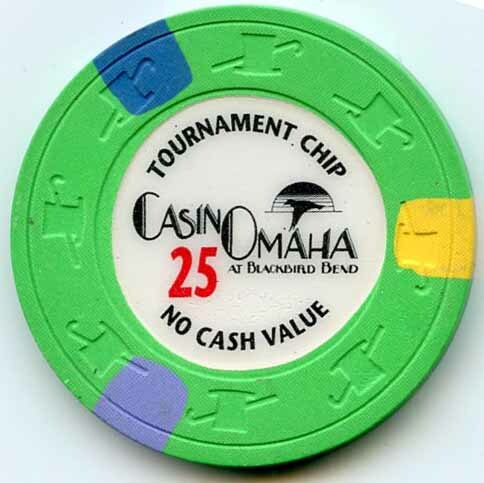 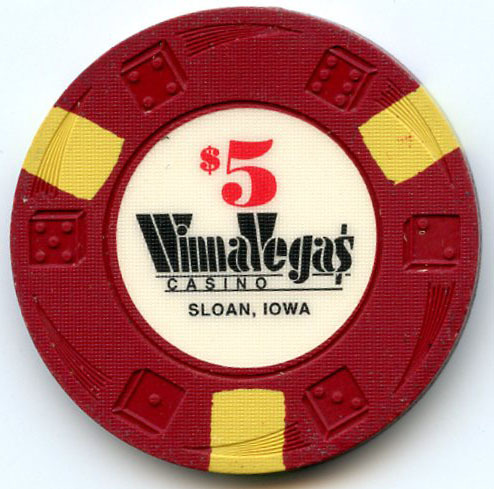 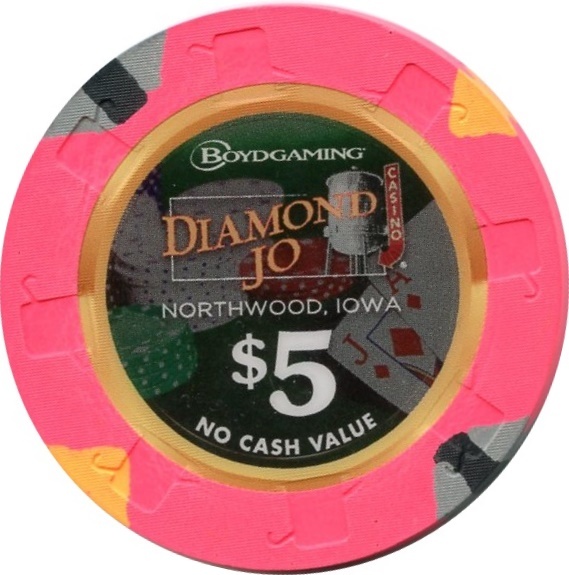 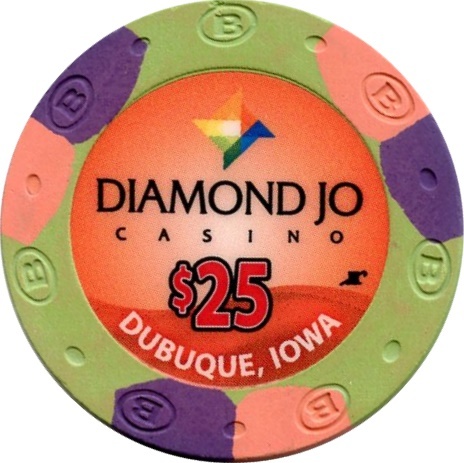 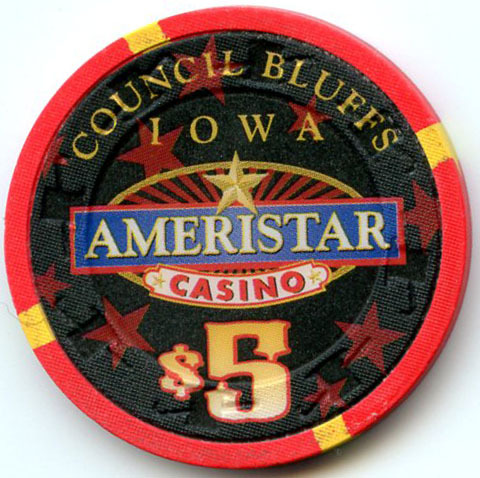 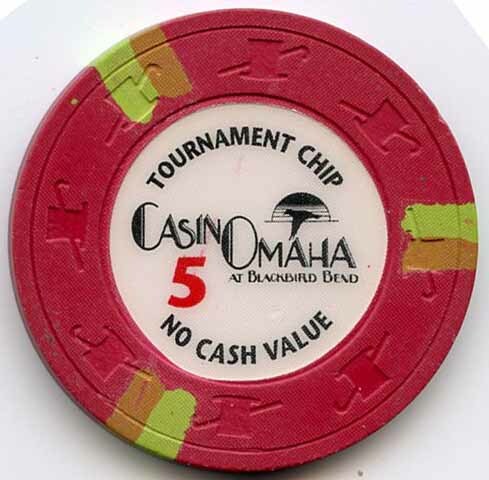 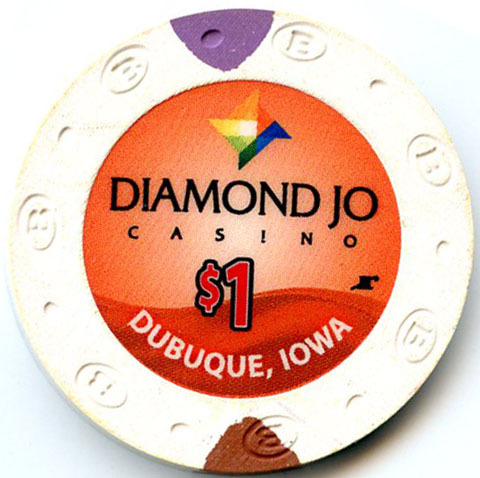 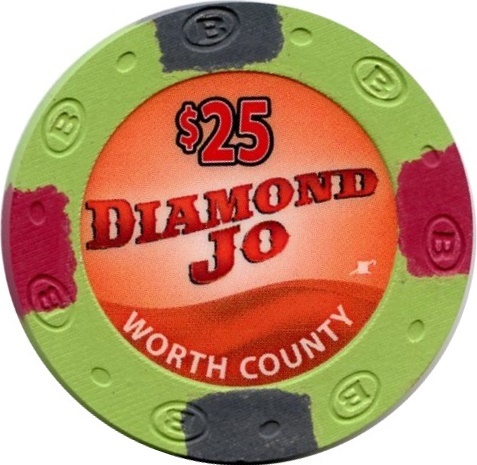 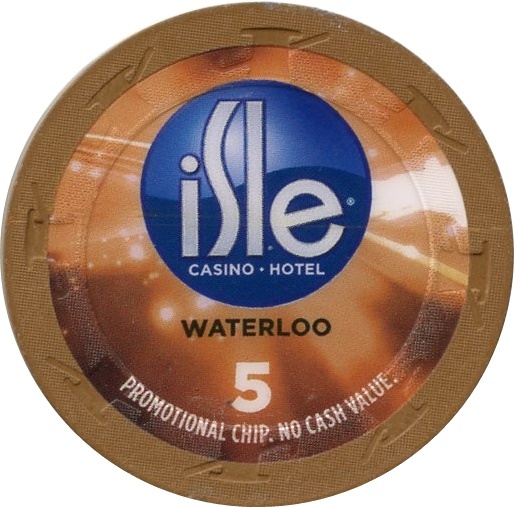 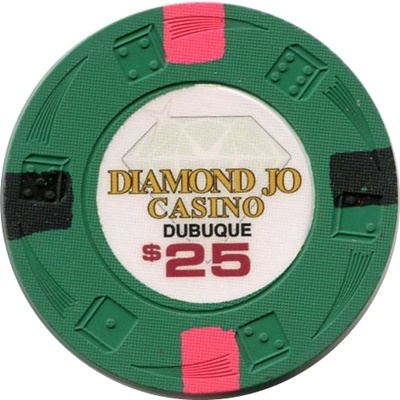 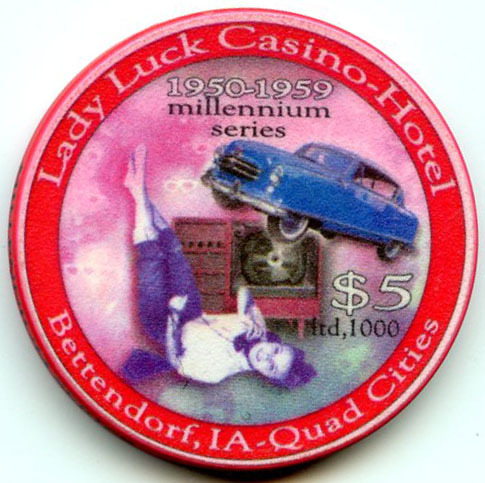 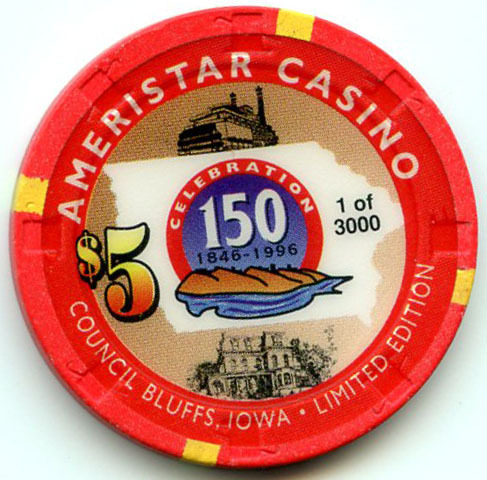 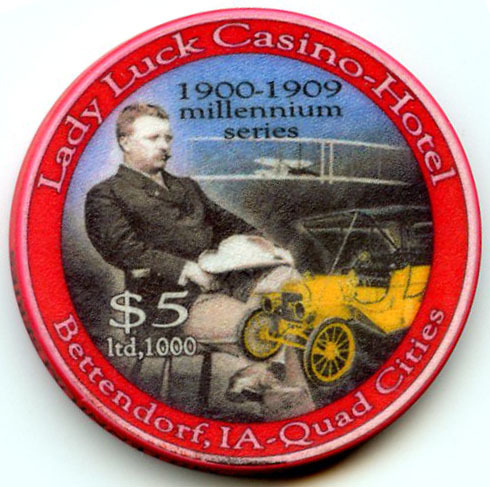 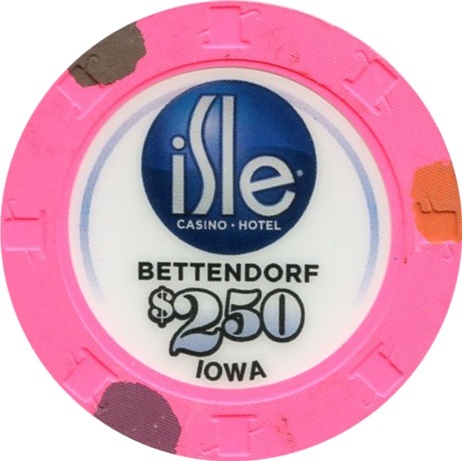 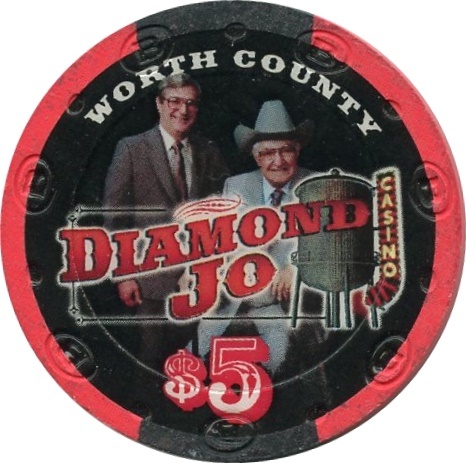 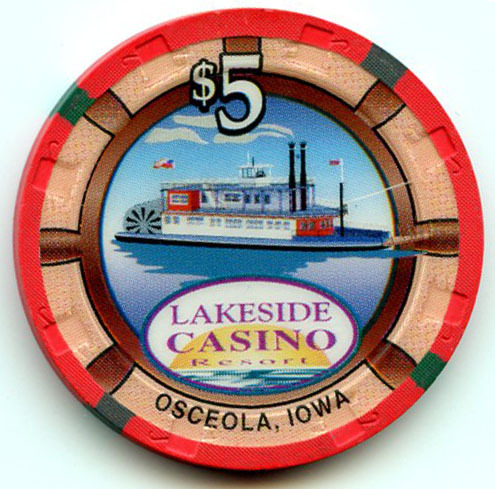 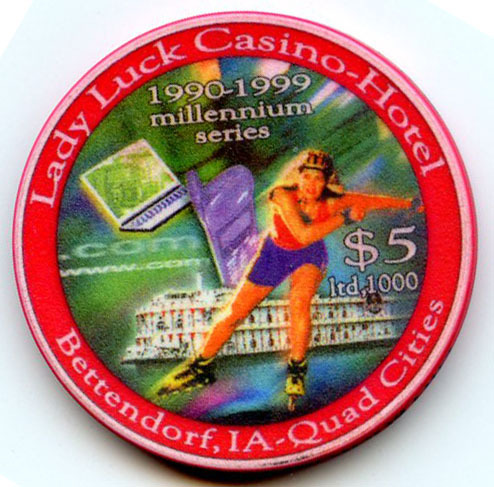 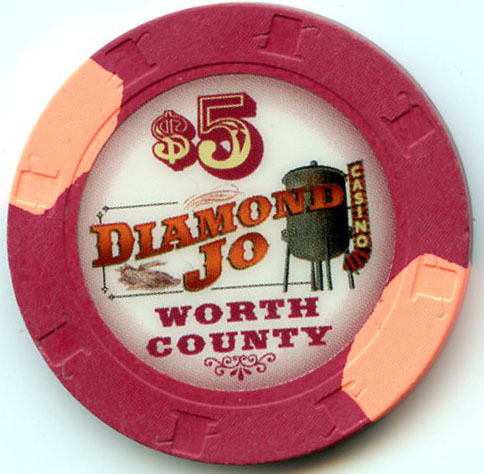 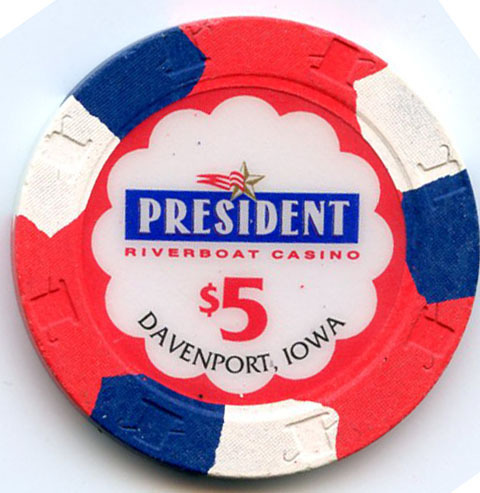 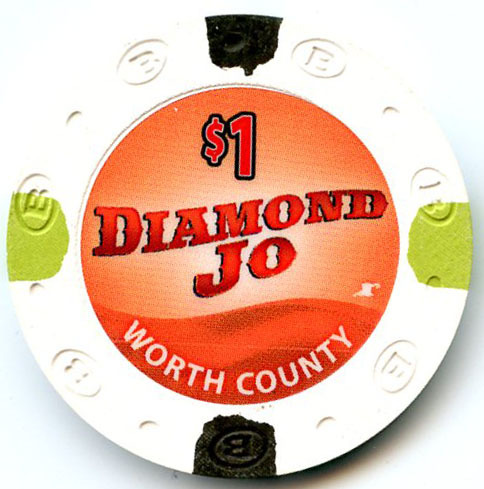 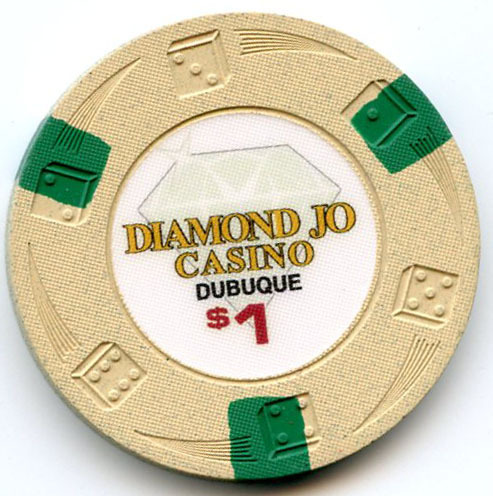 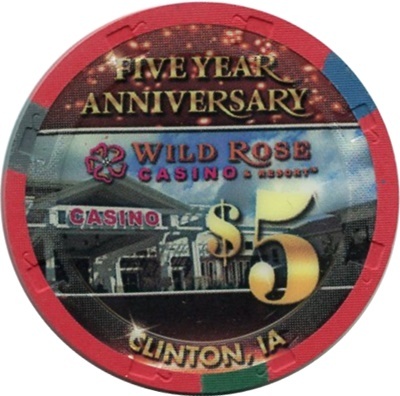 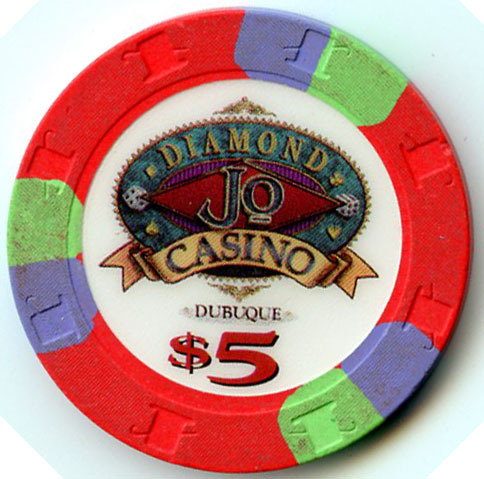 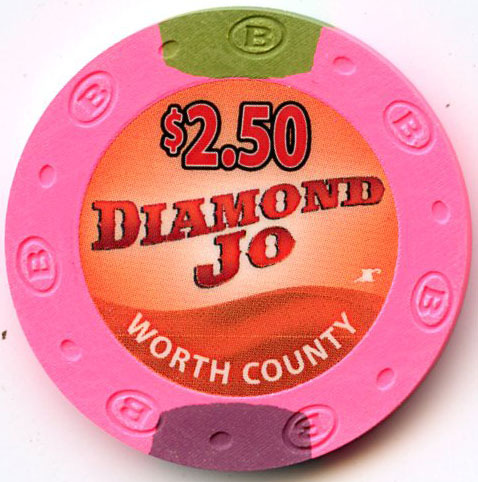 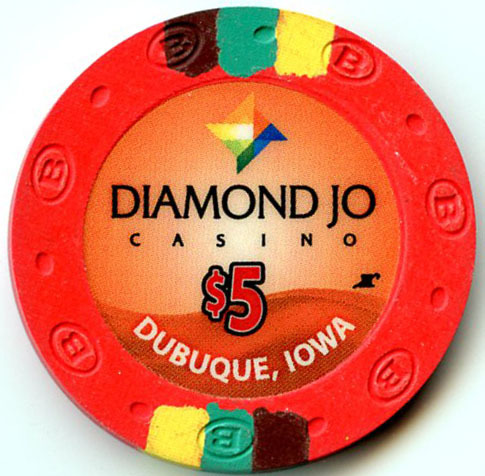 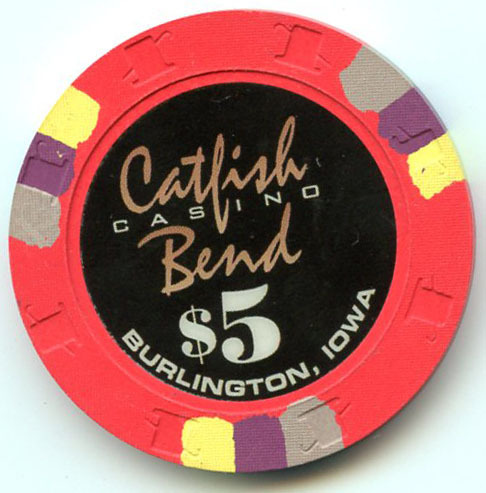 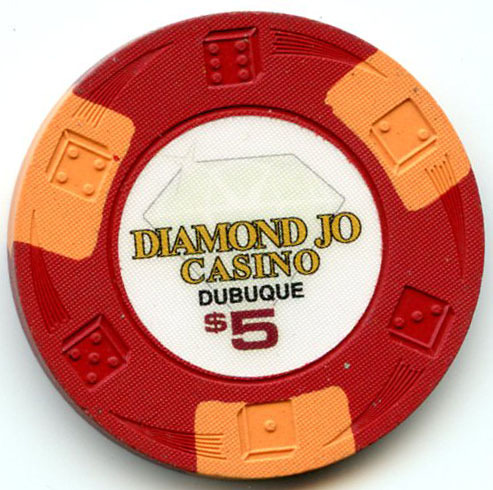 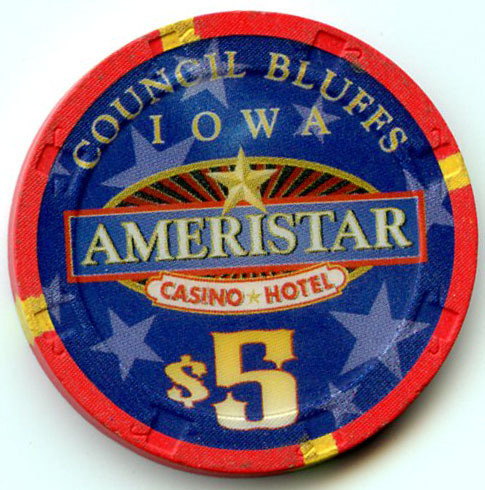 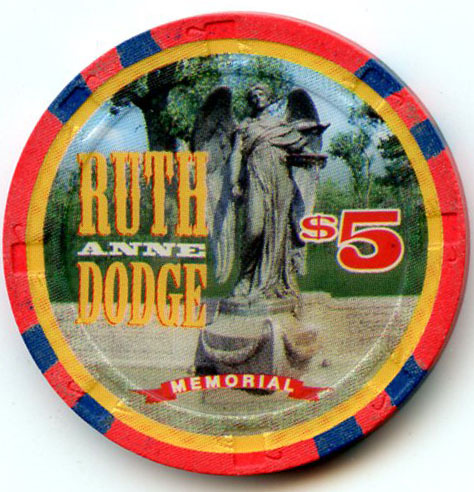 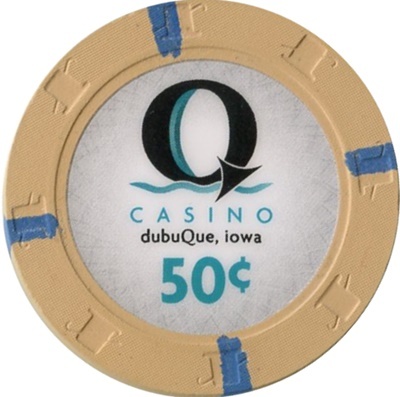 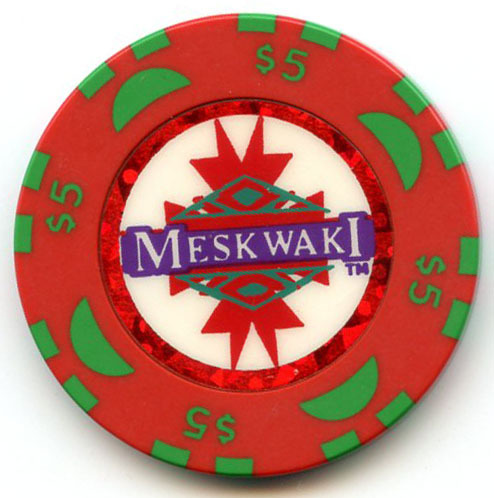 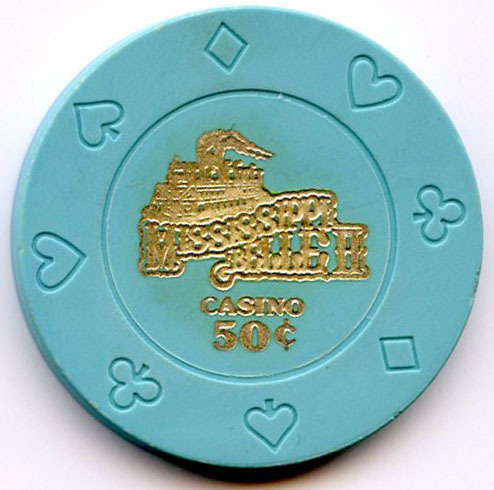 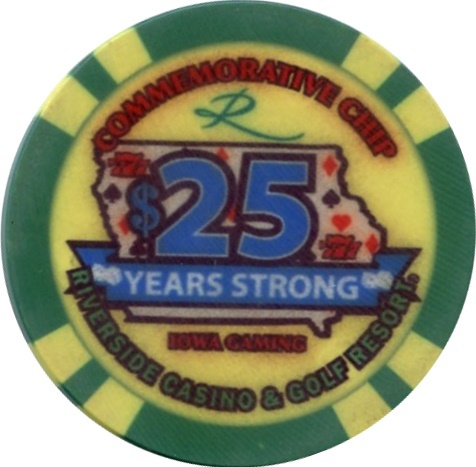 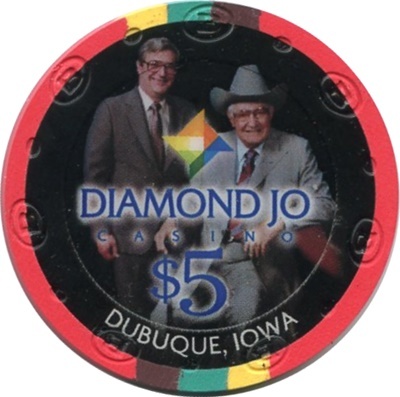 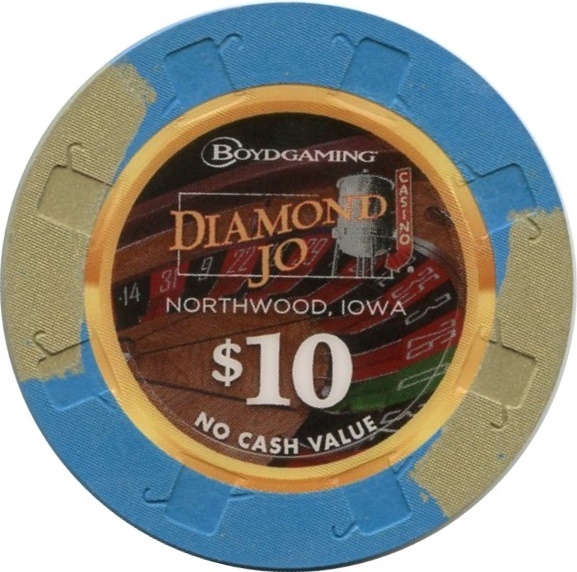 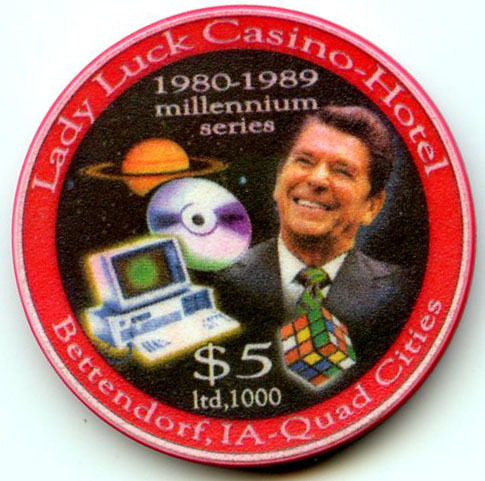 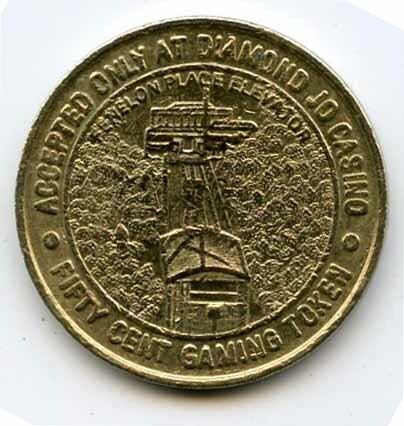 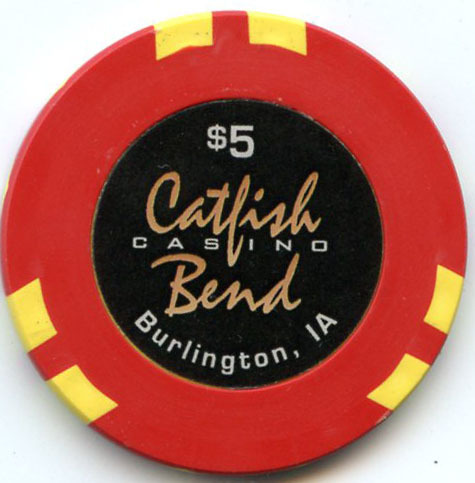 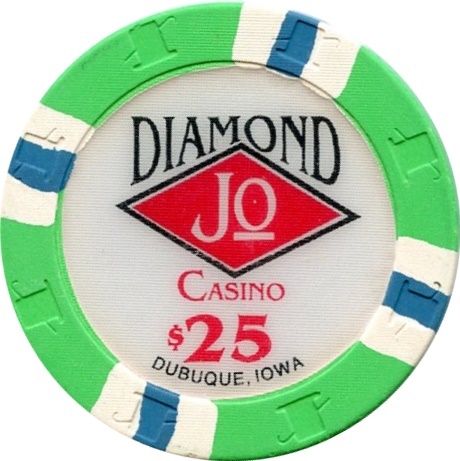 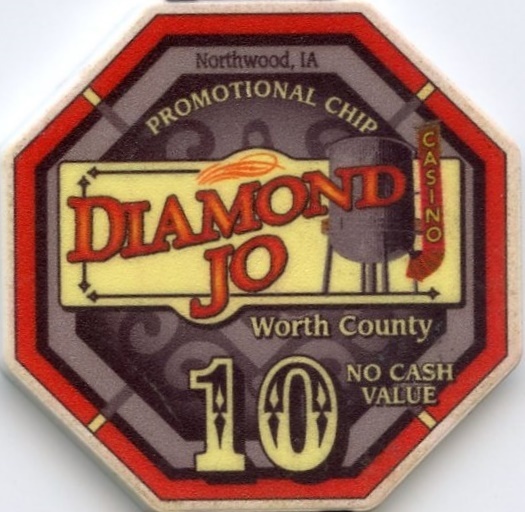 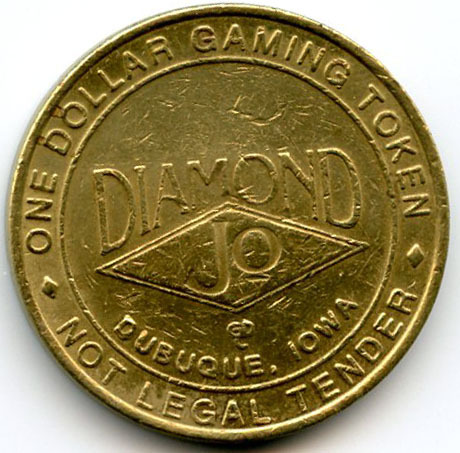 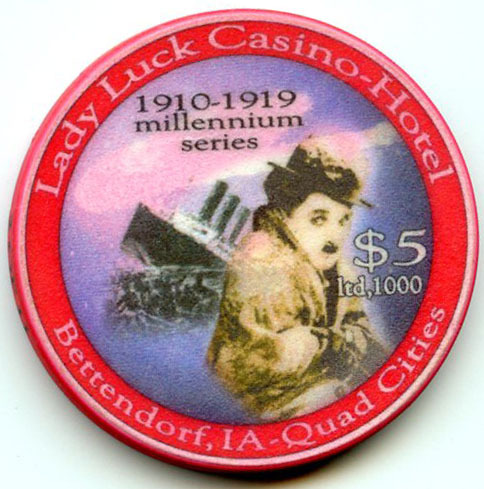 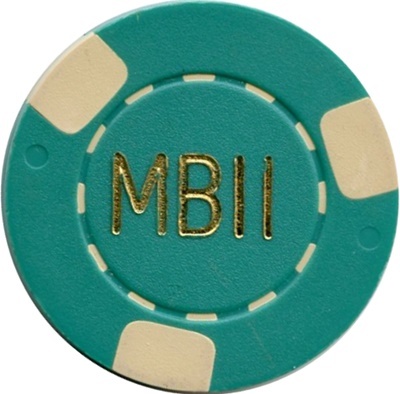 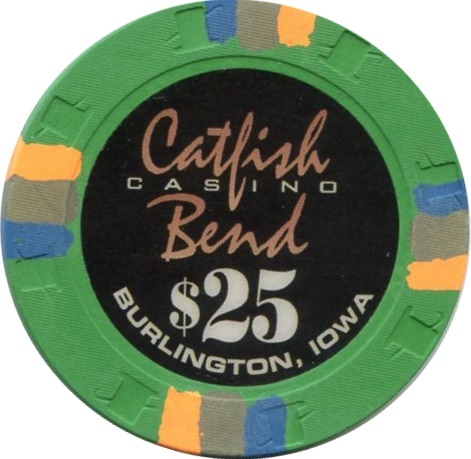 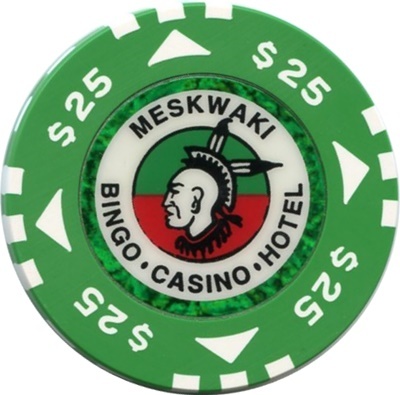 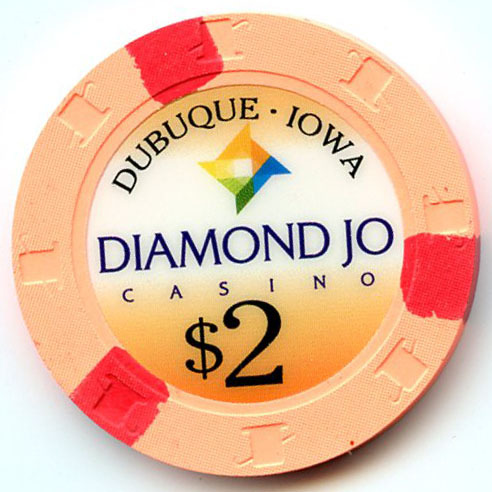 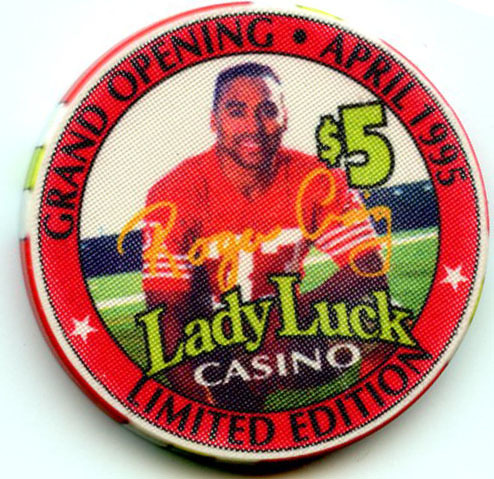 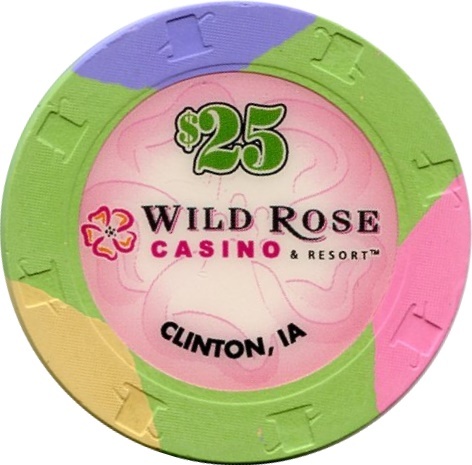 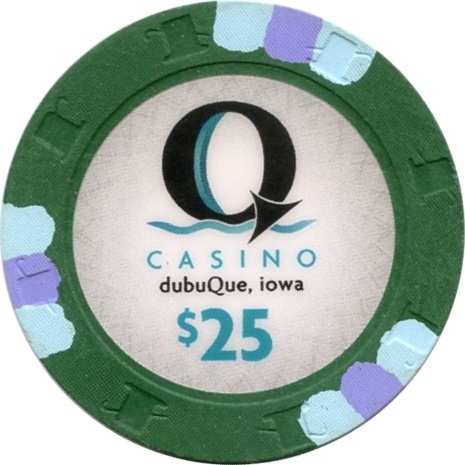 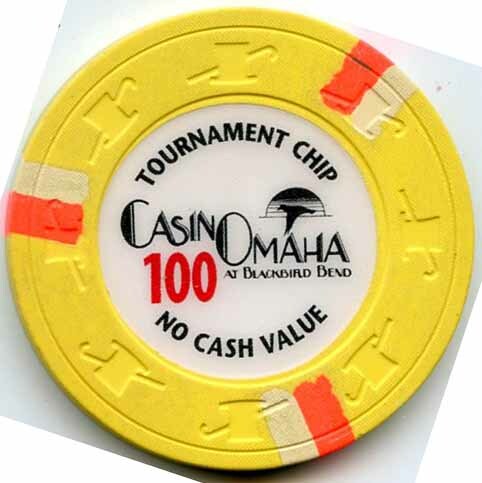 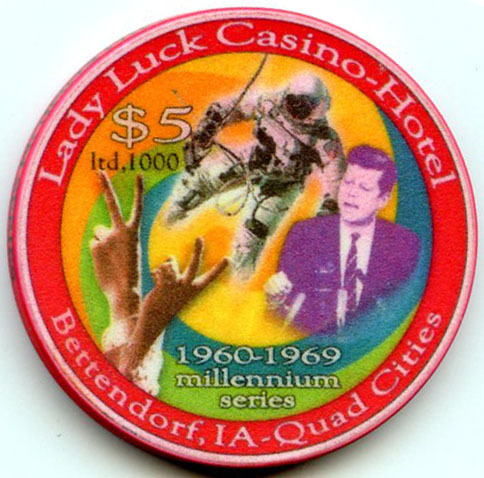 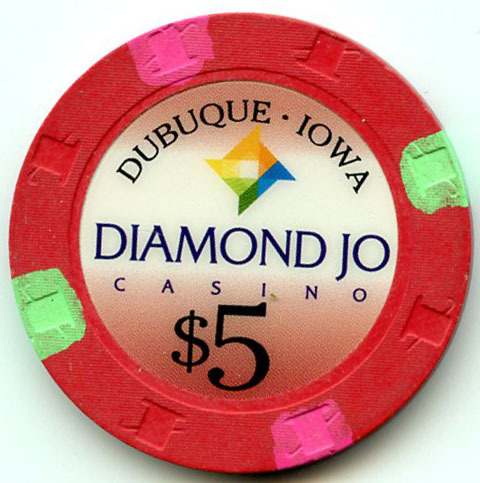 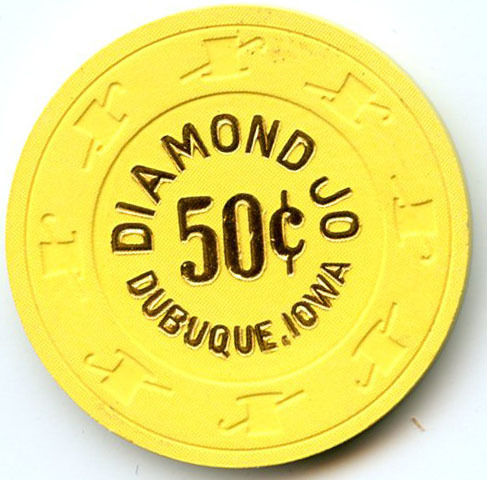 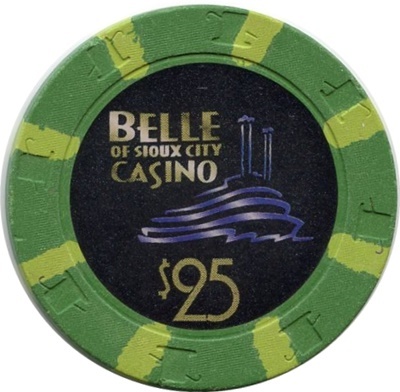 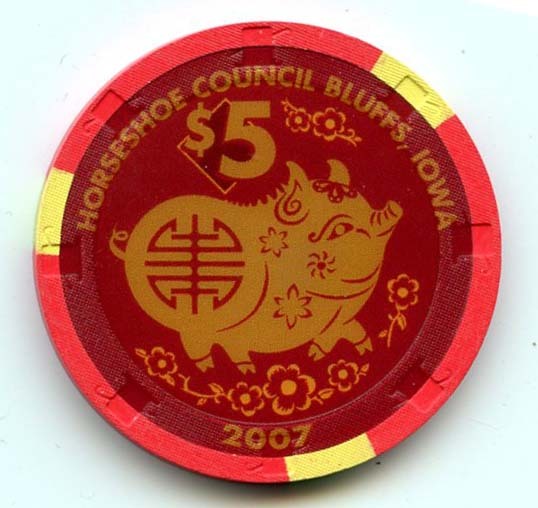 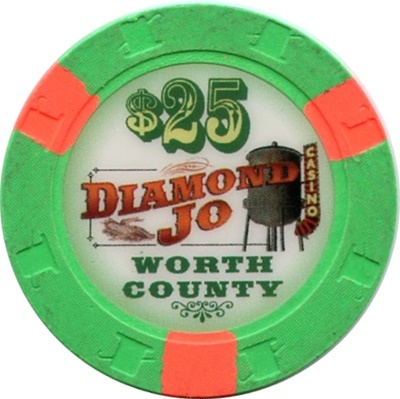 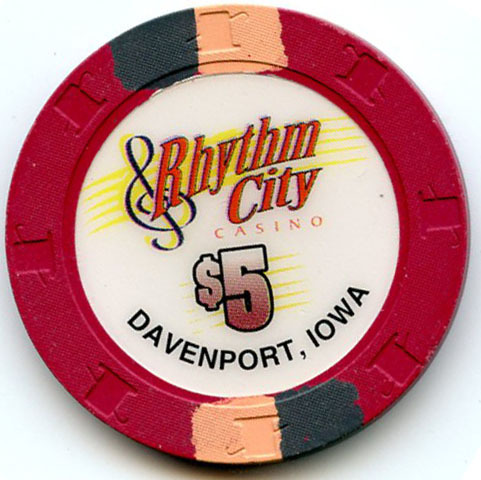 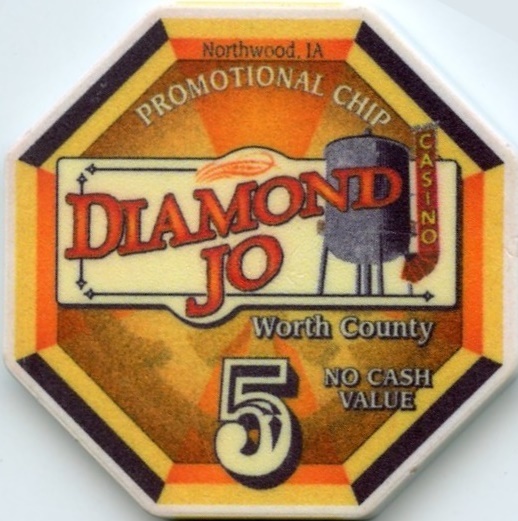 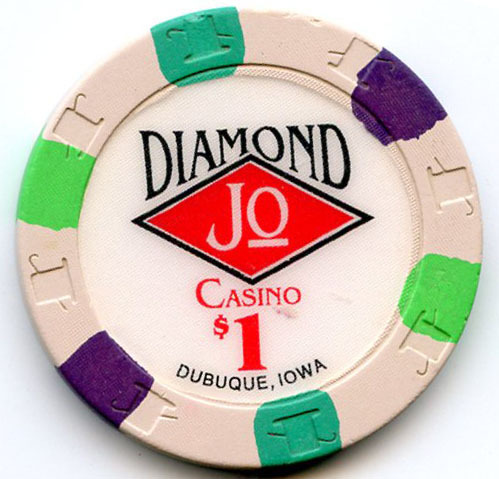 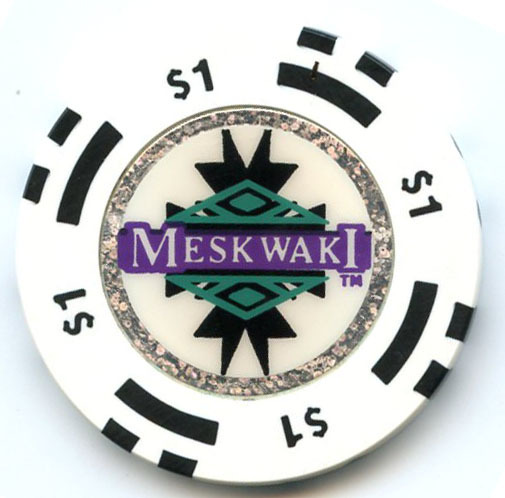 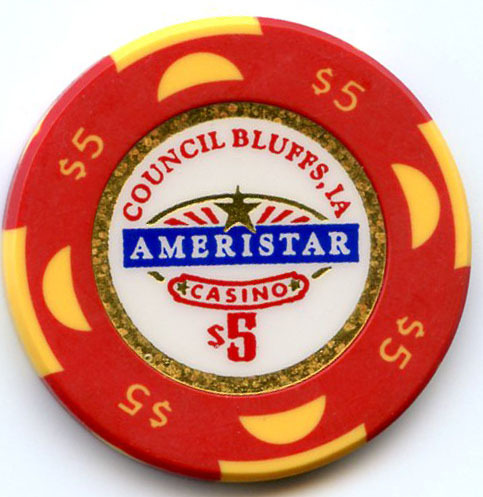 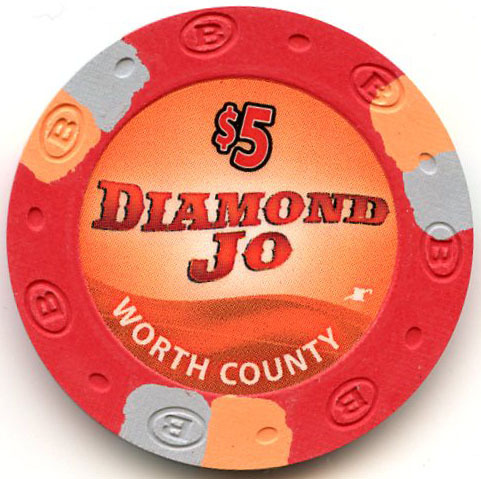 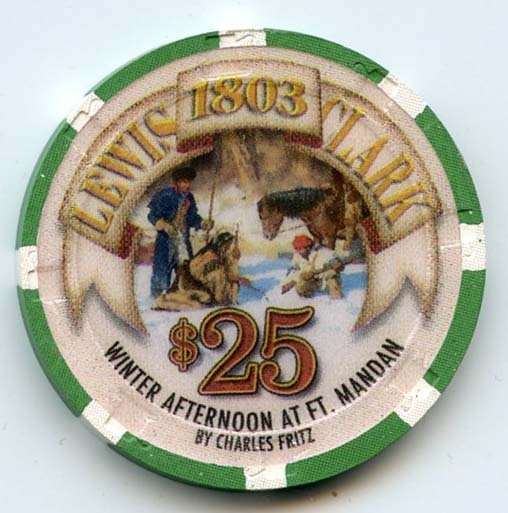 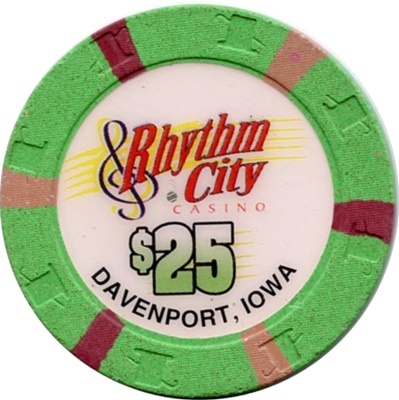 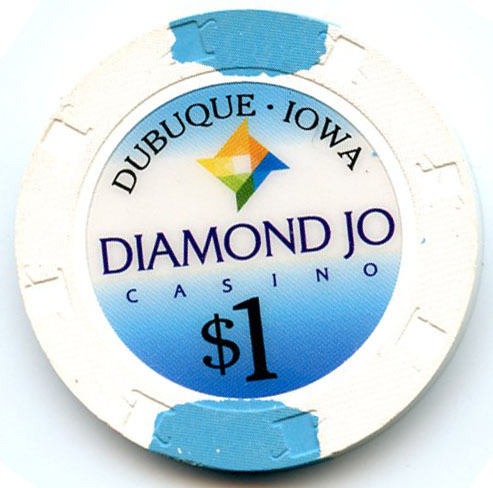 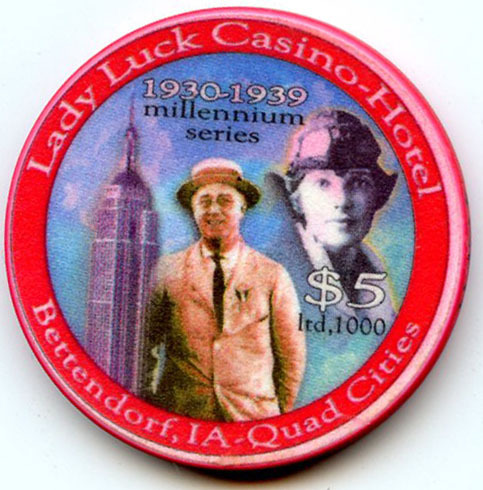 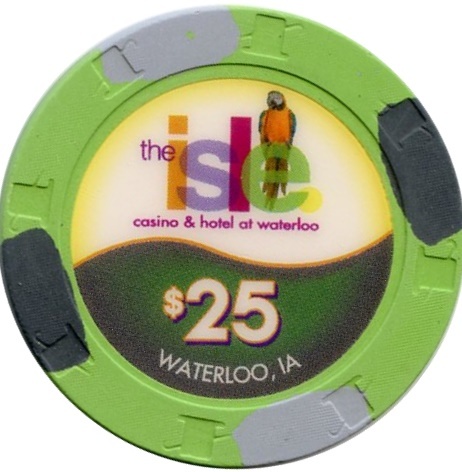 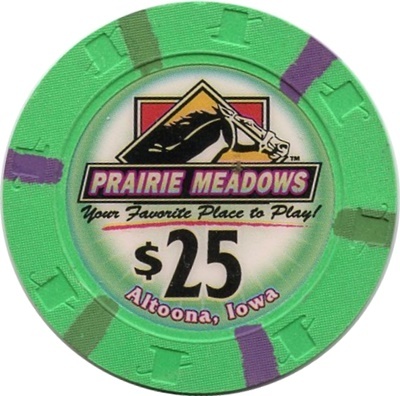 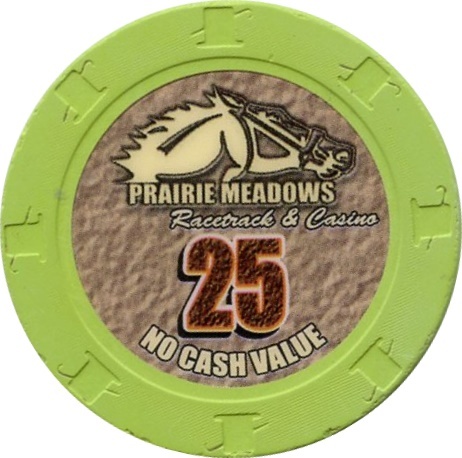 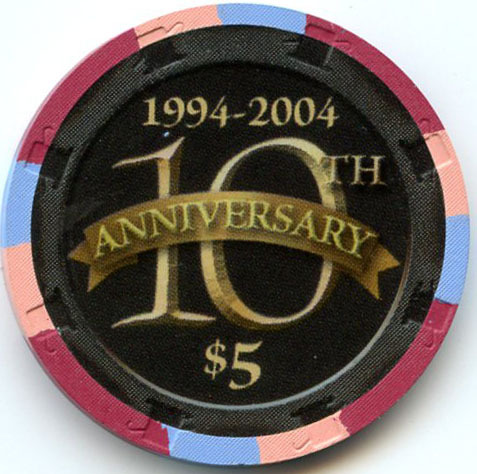 I have been collection Iowa chips for several years now and recently was able to add the very hard to find Emerald Lady 5.00 chip. 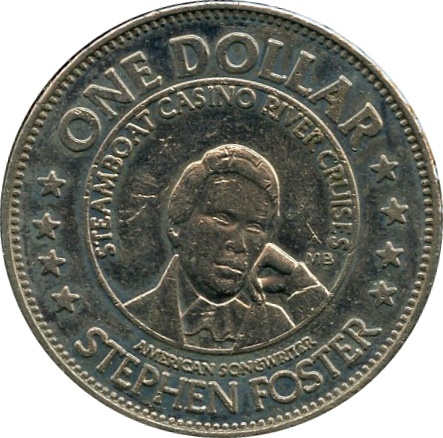 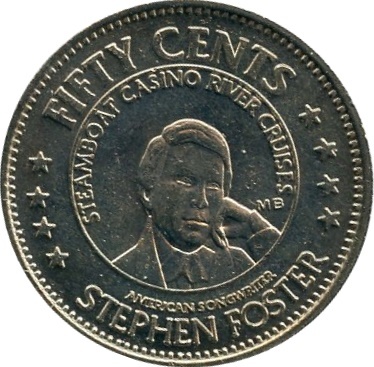 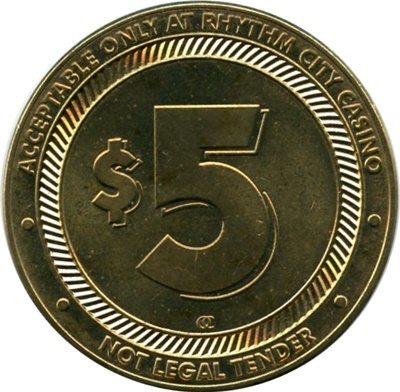 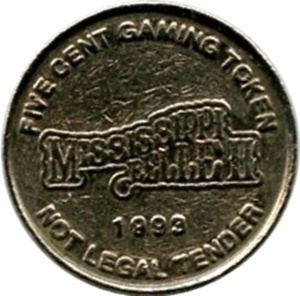 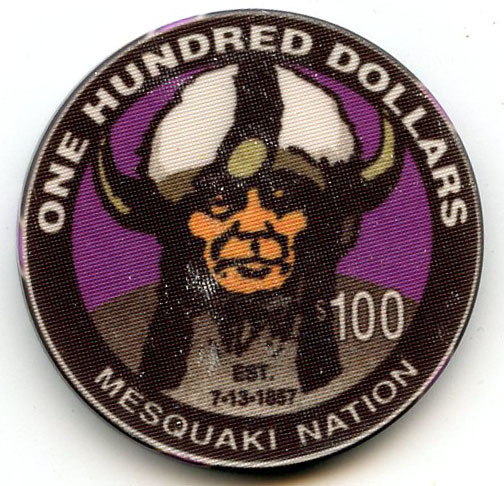 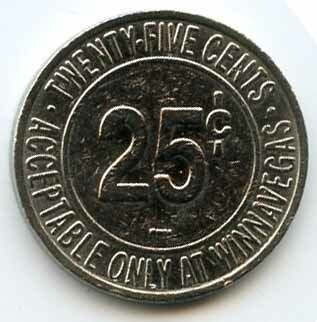 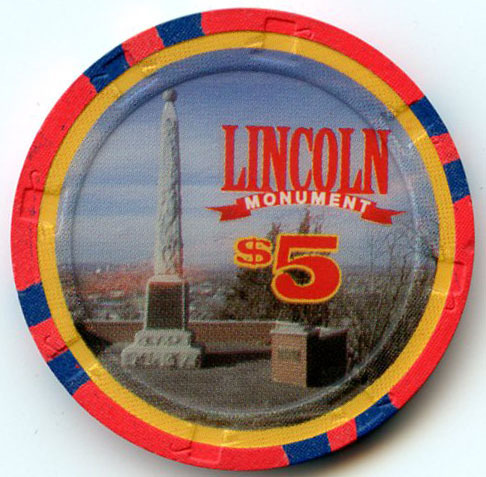 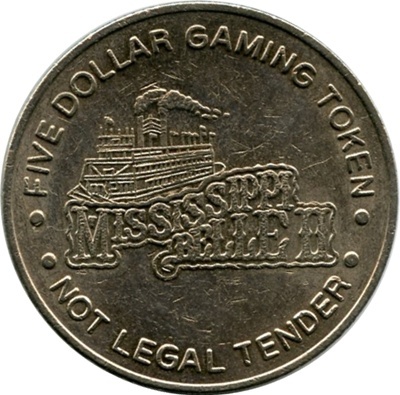 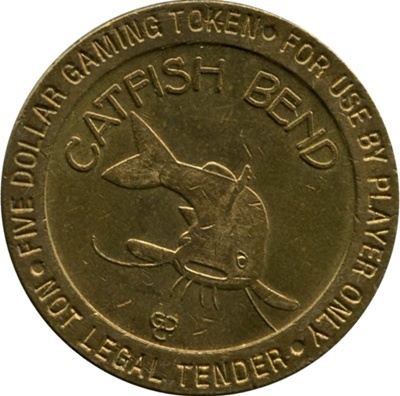 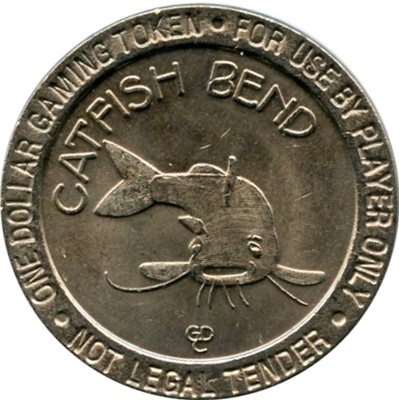 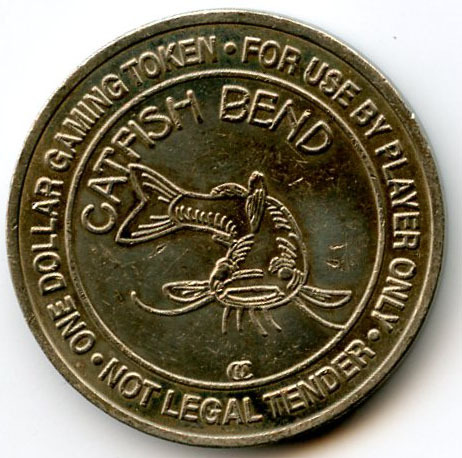 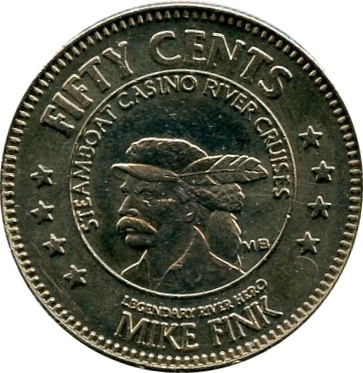 This past year I narrowed my collection down to a few states and instead of only collecting one of each denomination I have also decided to collect all chips and tokens from the 5.00 dollar and down range. 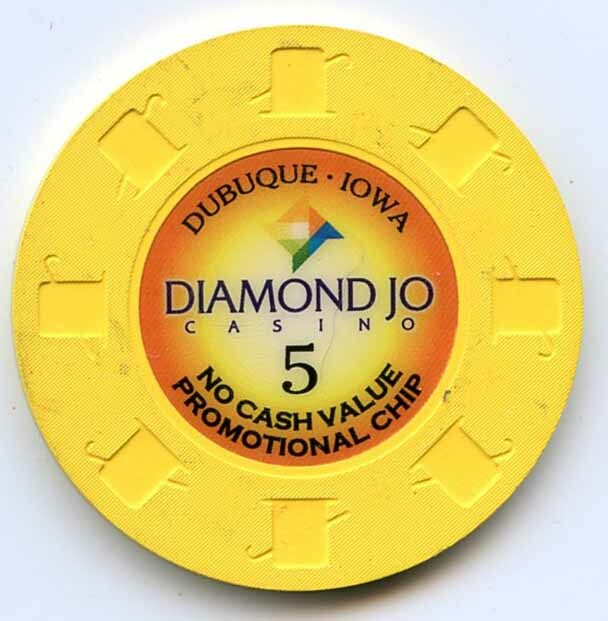 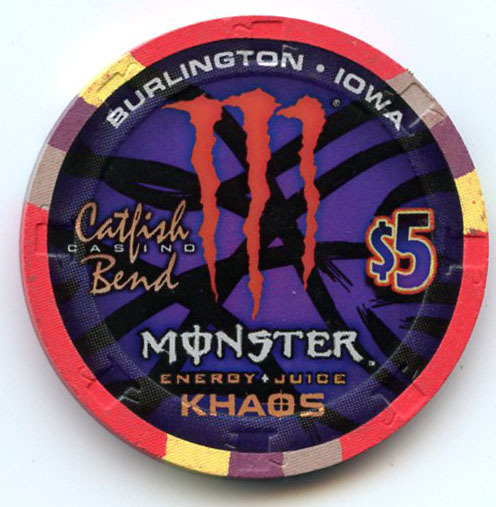 There are still many 5.00 Iowa chips that I need for this state so please see my want list and maybe we can trade. 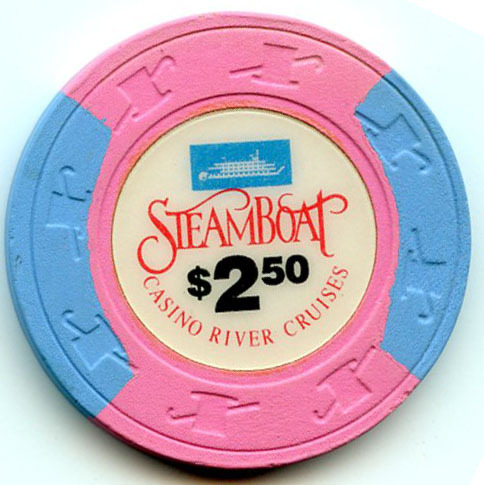 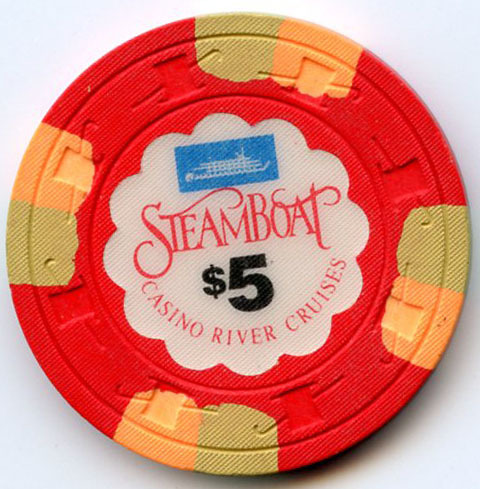 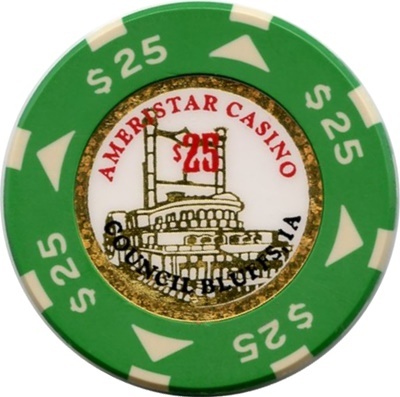 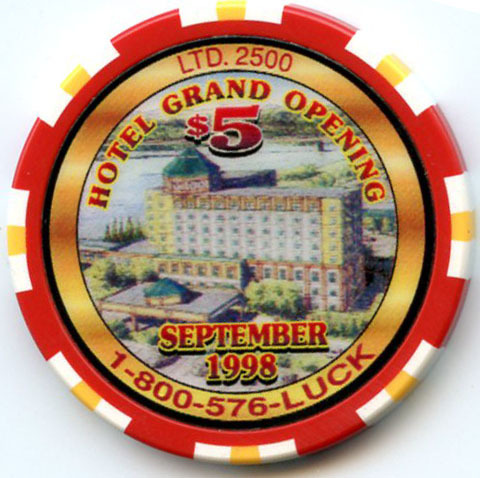 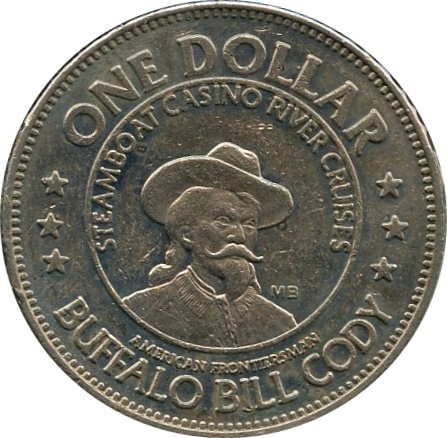 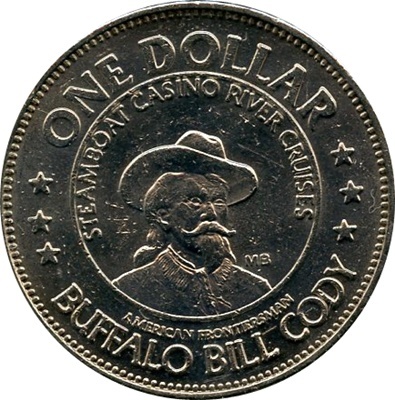 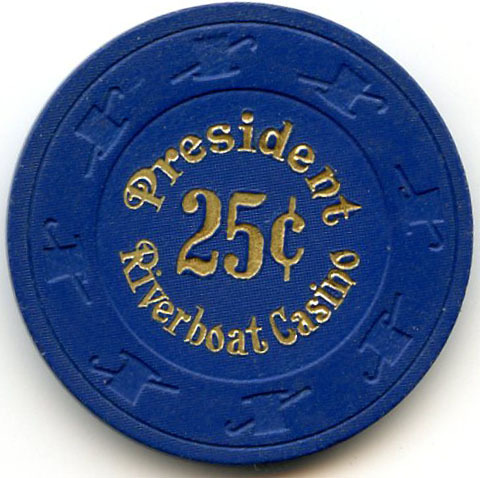 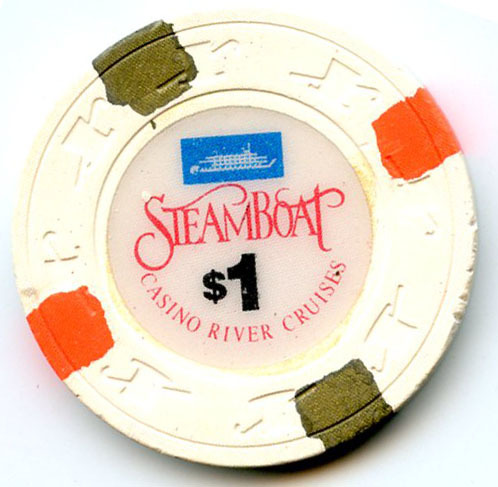 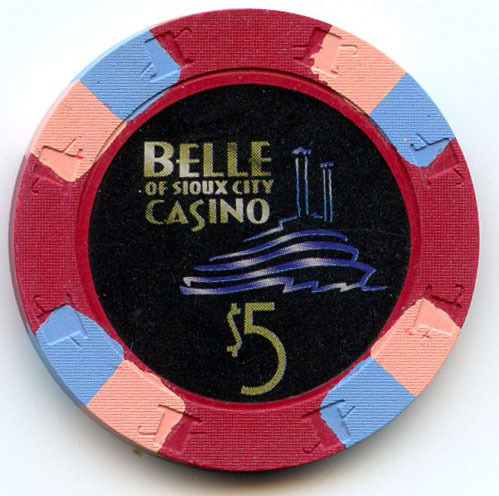 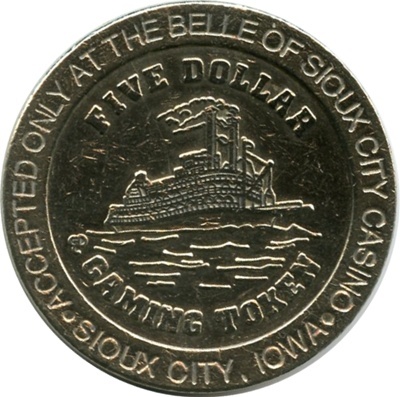 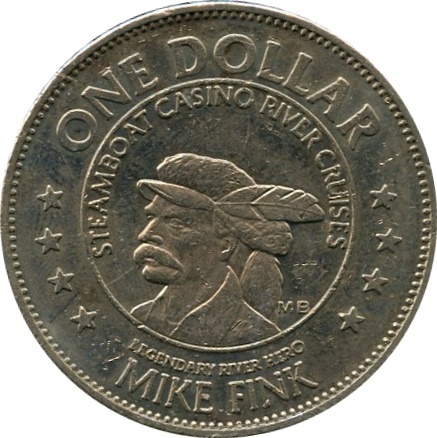 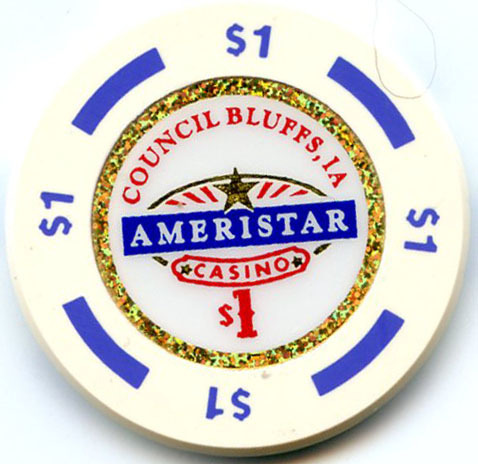 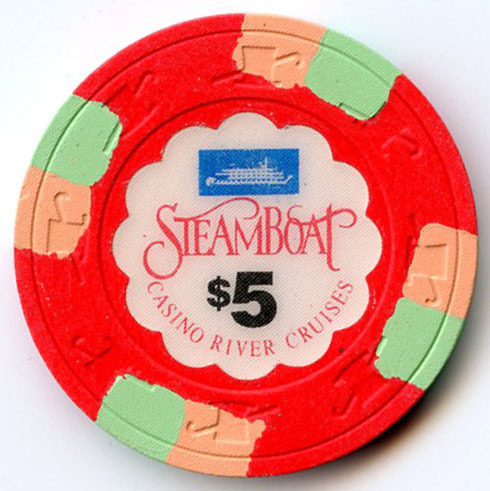 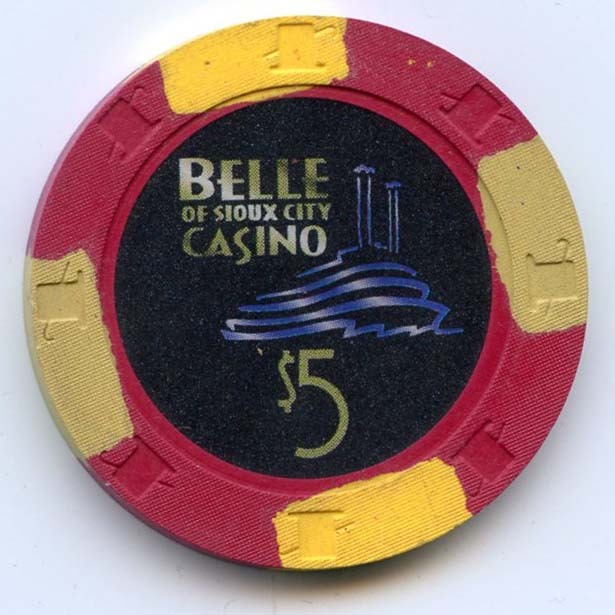 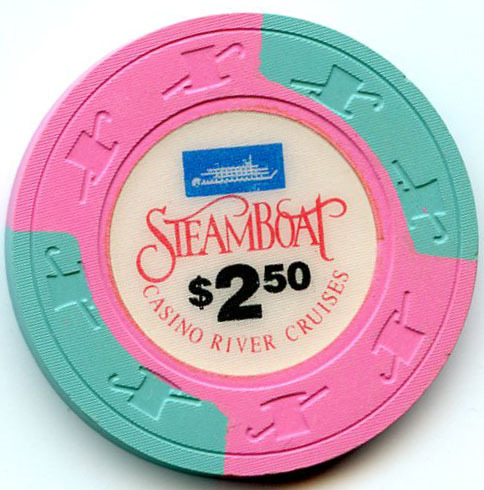 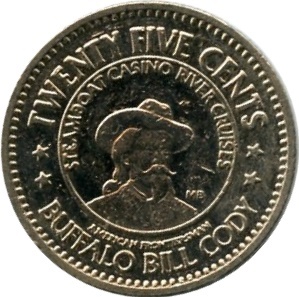 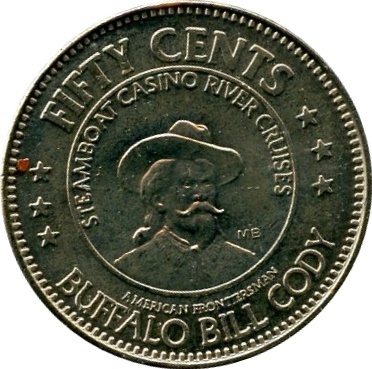 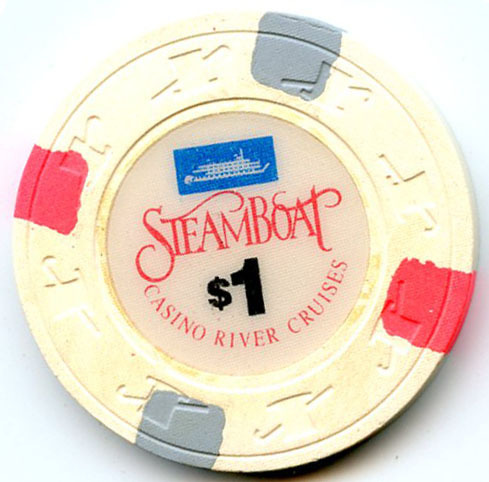 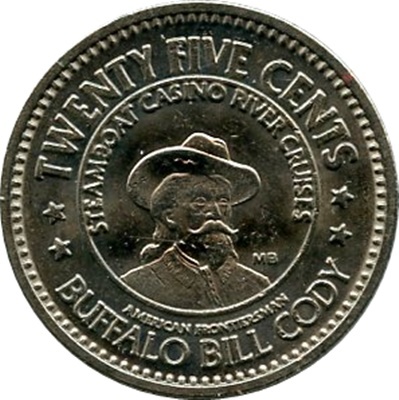 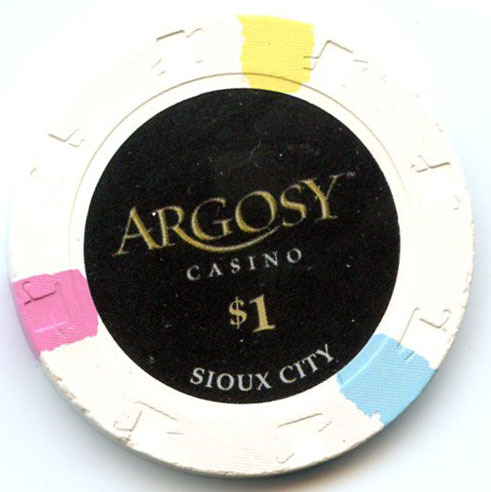 The Argosy Casino replaced the Bell of Souix City Casino in around 2004. 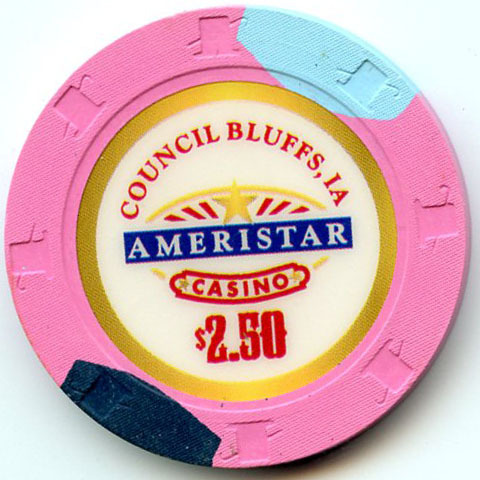 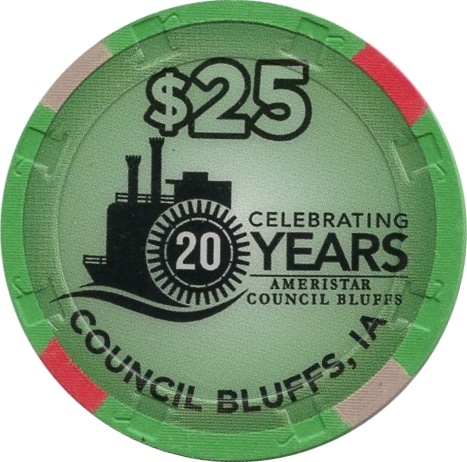 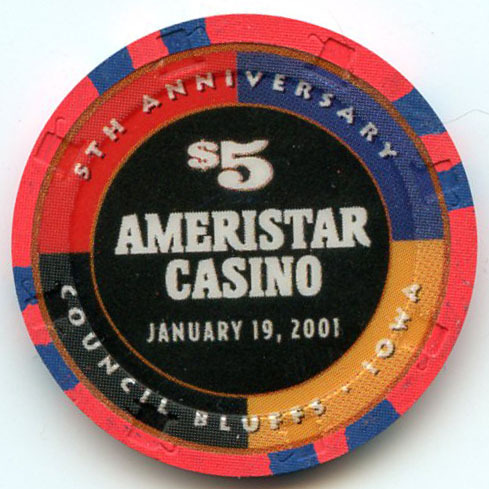 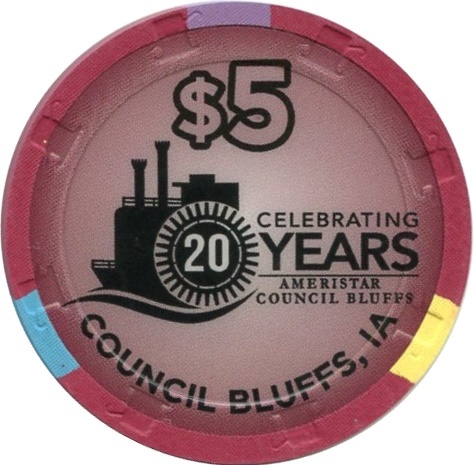 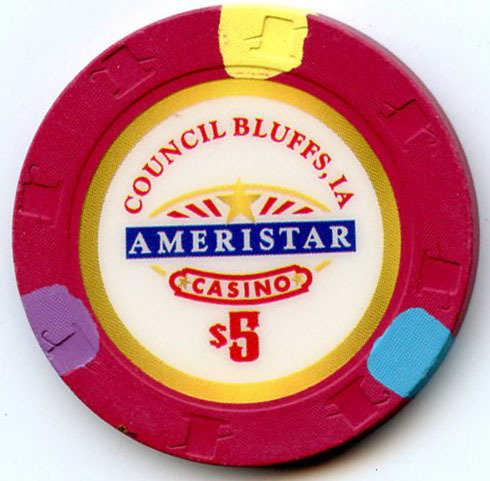 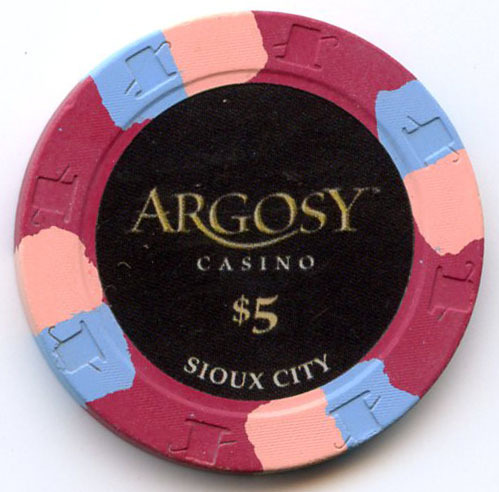 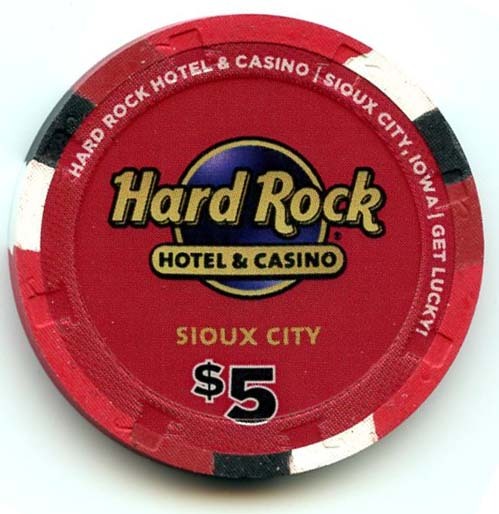 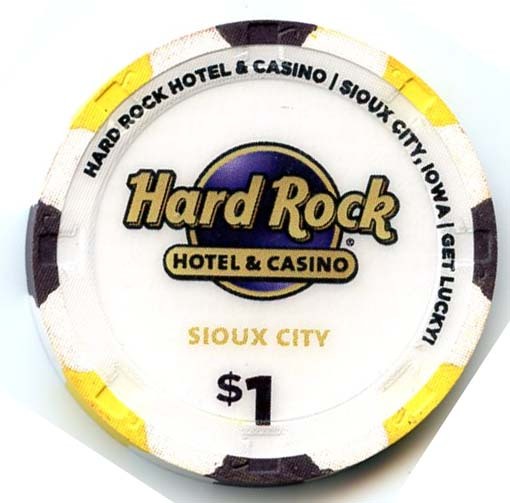 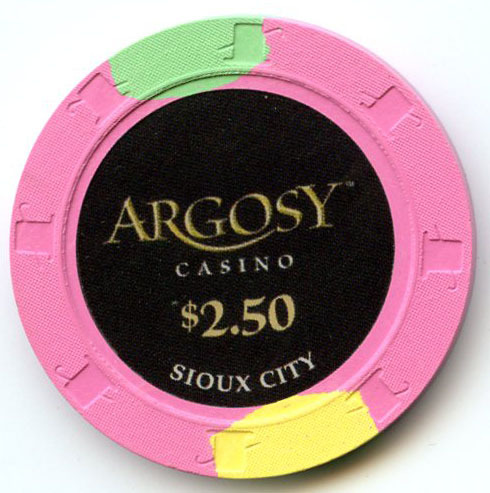 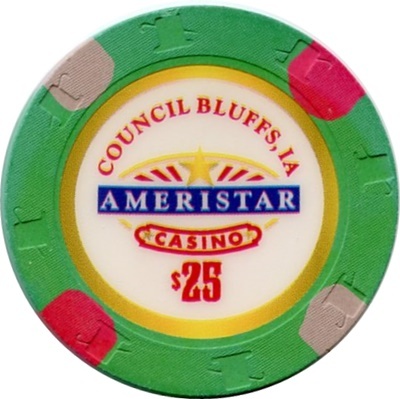 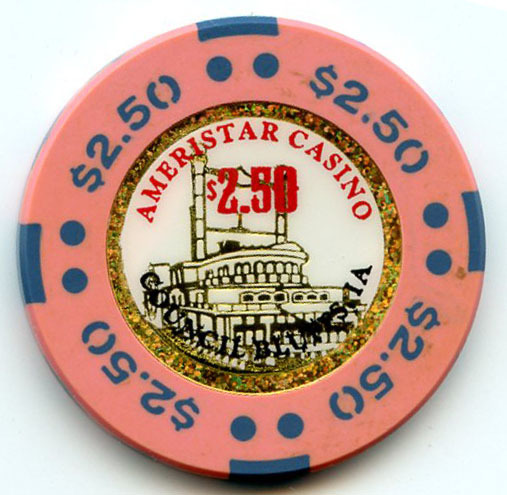 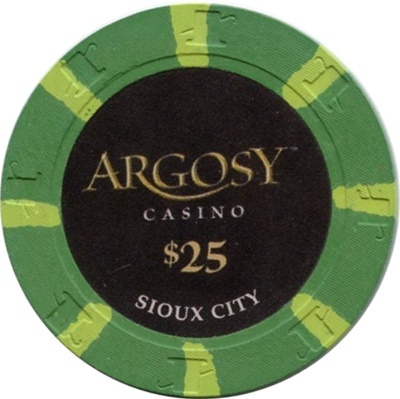 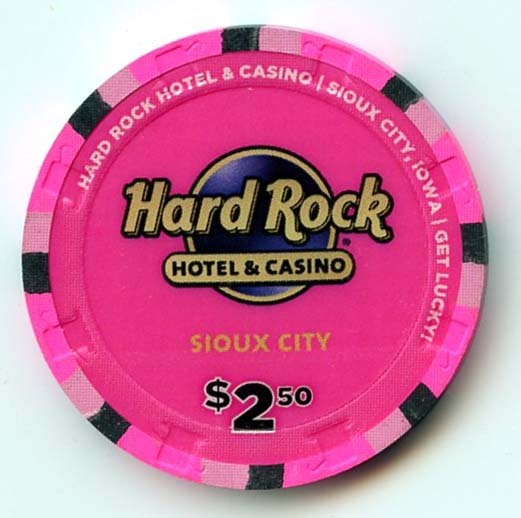 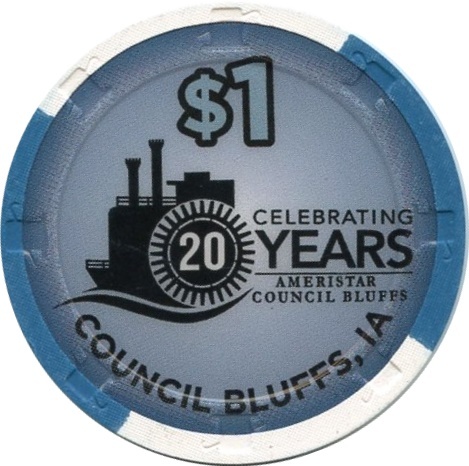 The Bell of Sioux City Casino was replaced by the Argosy casino around 2004. 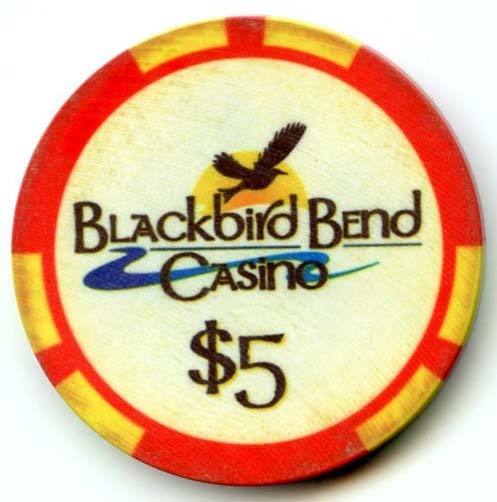 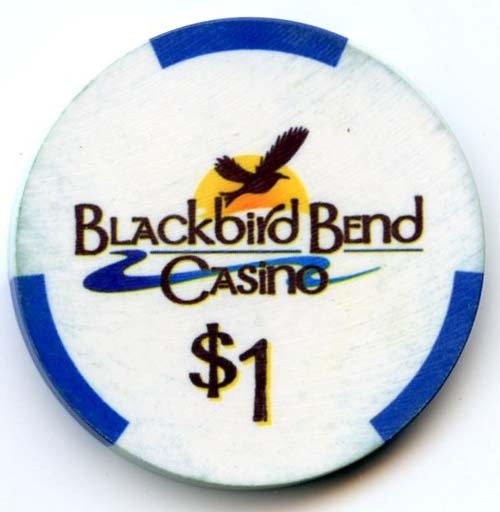 The Blackbird Casino Replaced CasinOmaha in 2013. 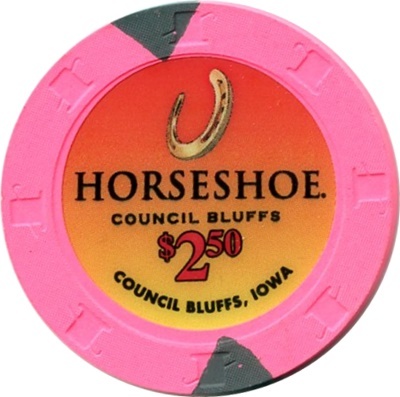 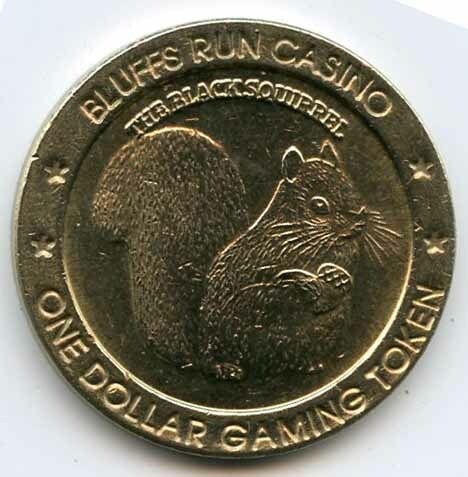 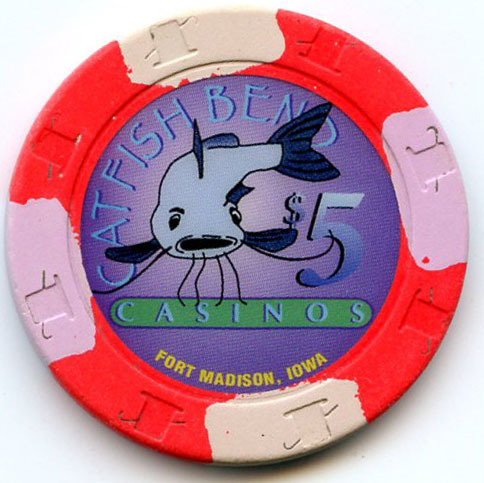 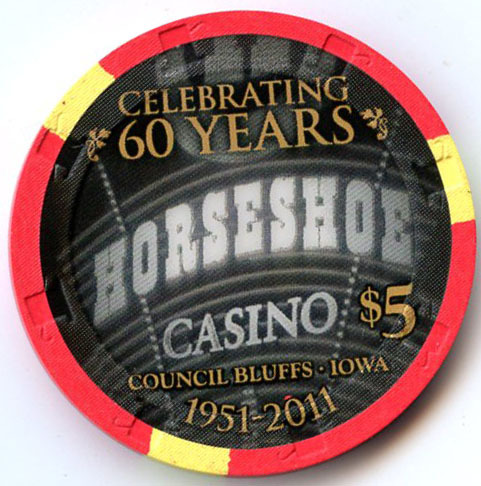 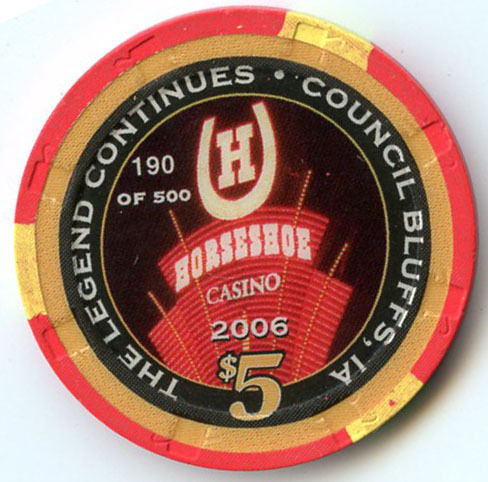 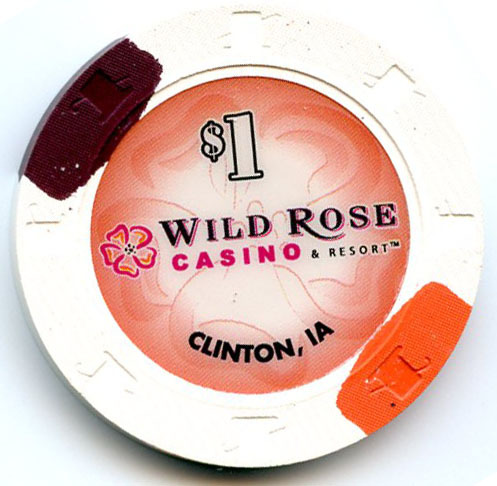 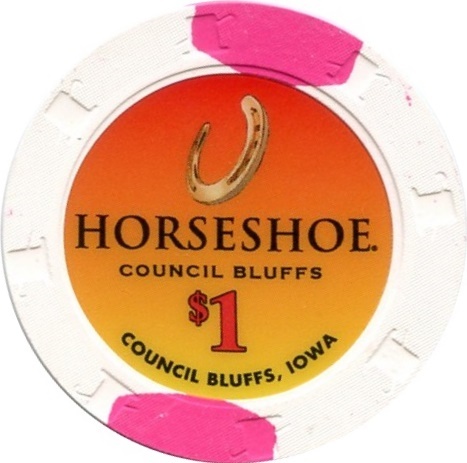 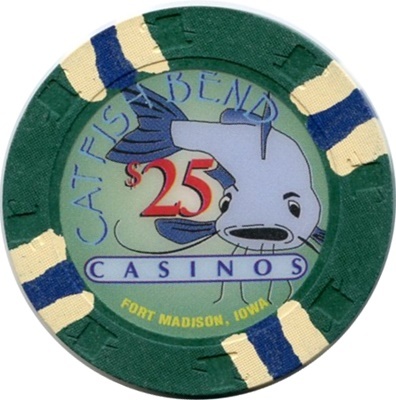 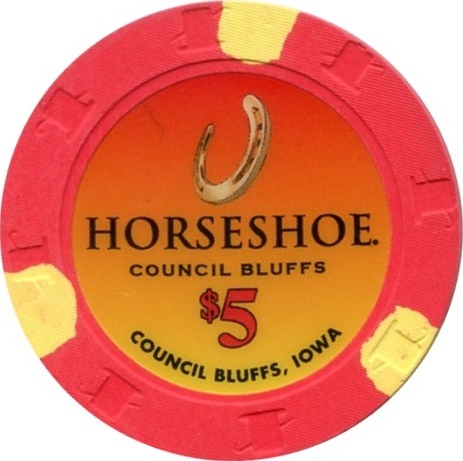 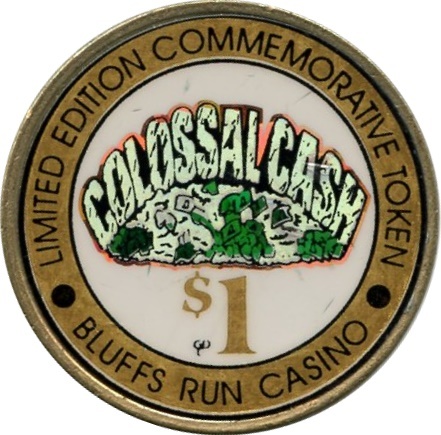 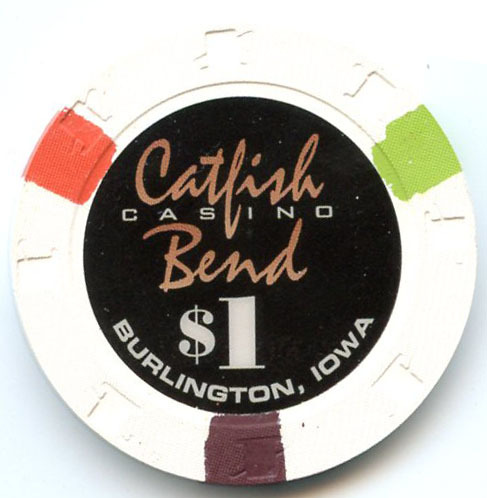 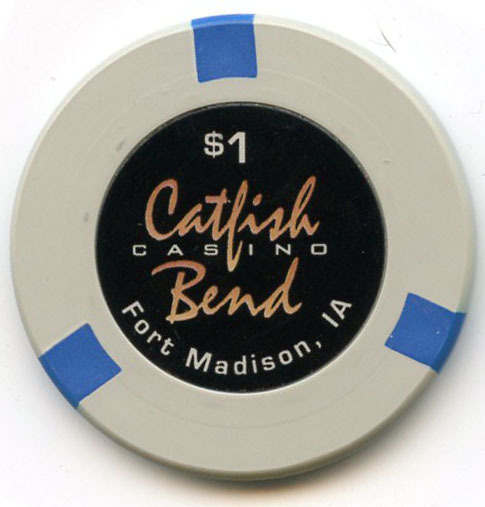 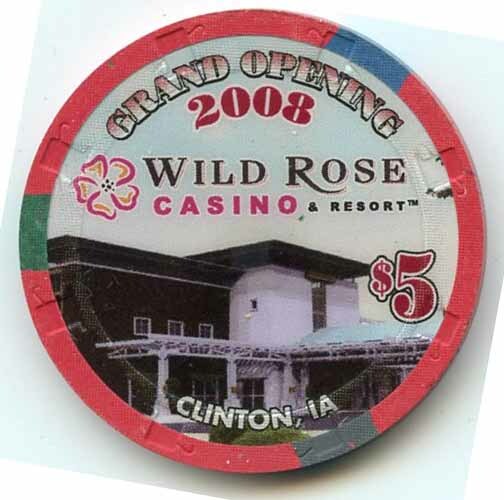 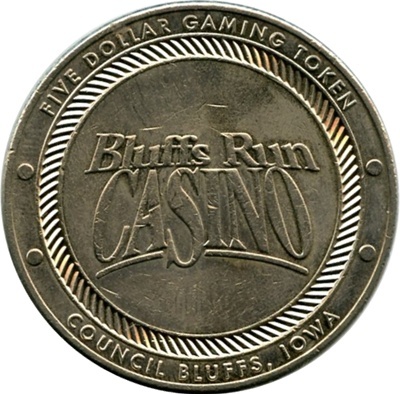 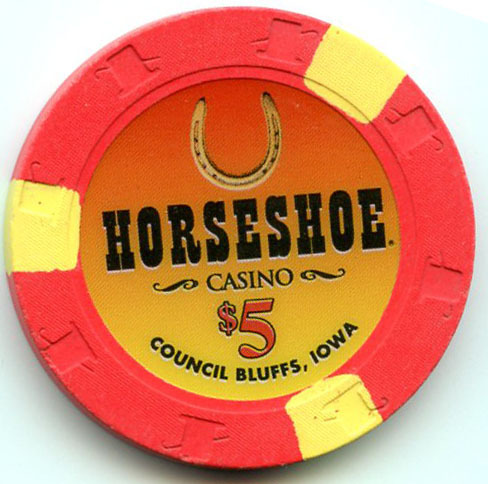 Bluffs Run Casino was replaced by the Horseshoe Casino in 2006. 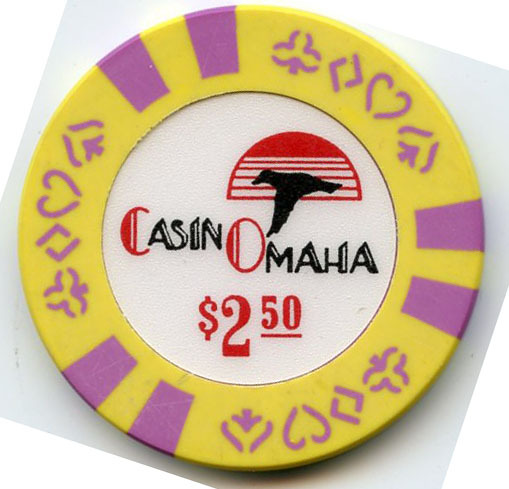 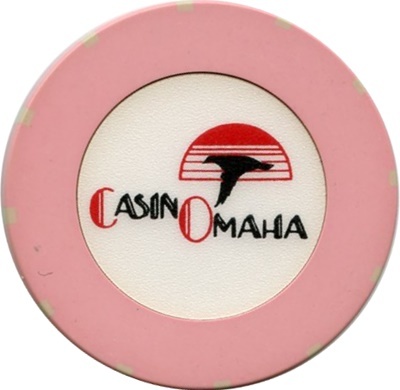 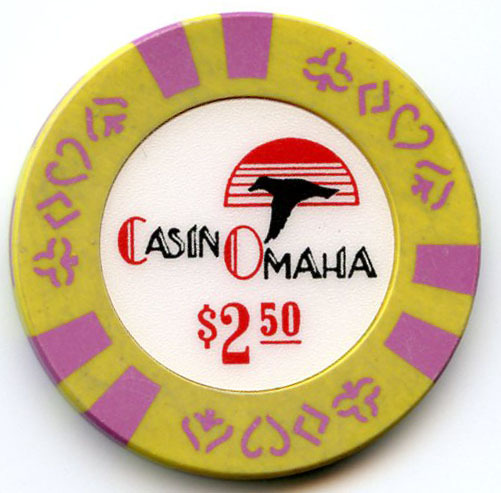 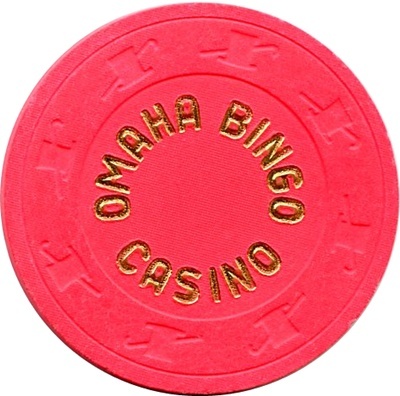 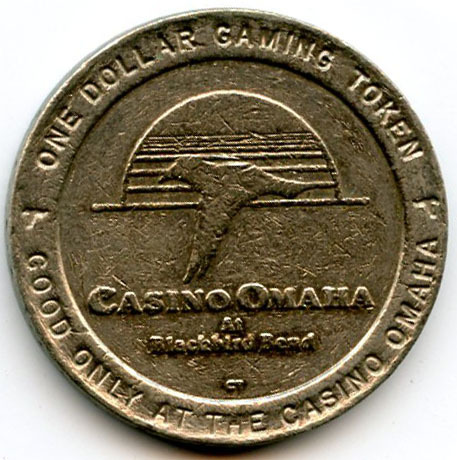 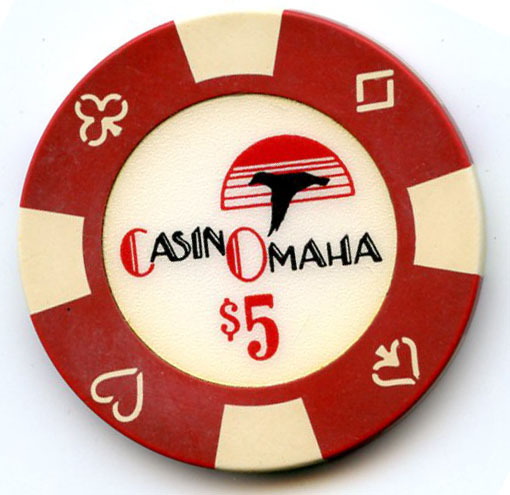 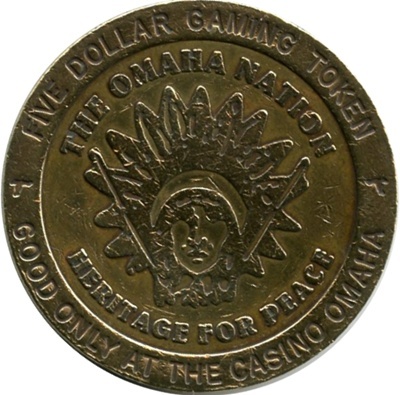 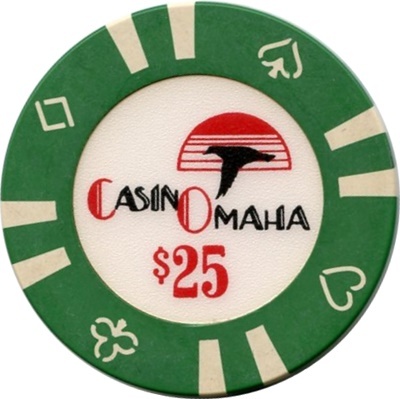 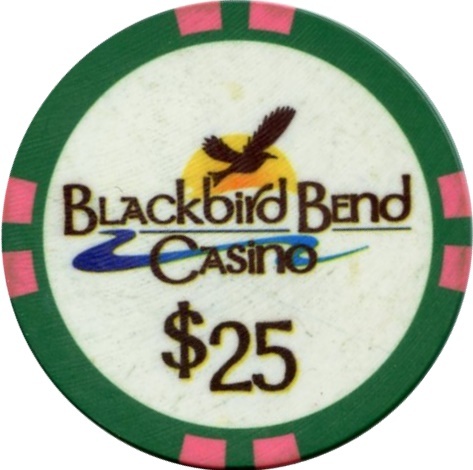 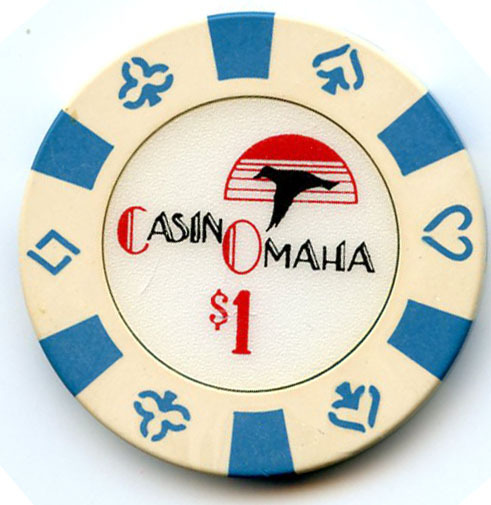 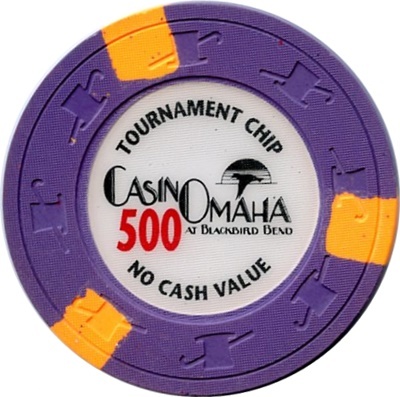 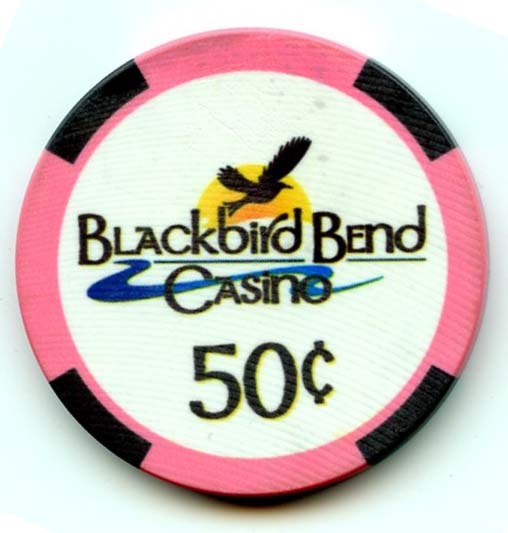 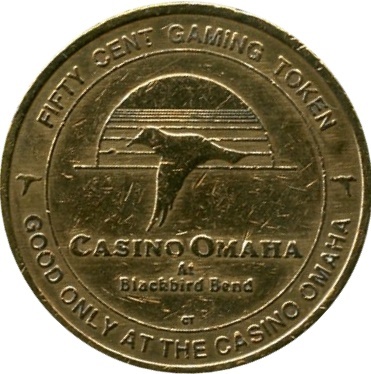 Casino Omaha was replaced by Blackbird Casino in 2013. 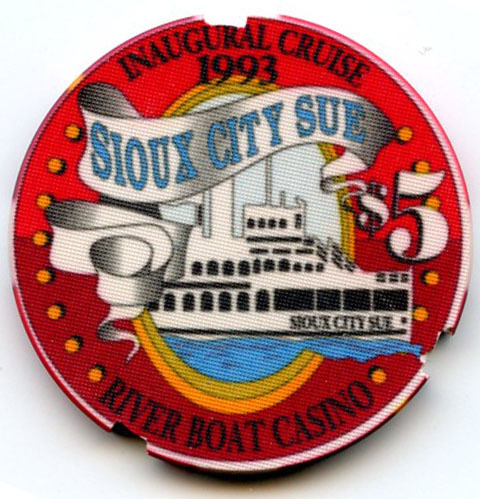 This riverboat once sailed from both Fort Madison and Burlington but now only sails from Burlington Iowa. 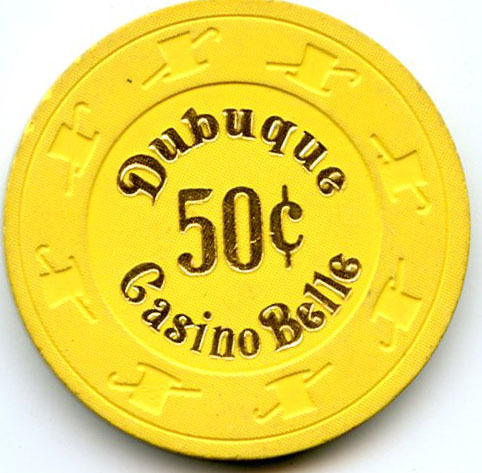 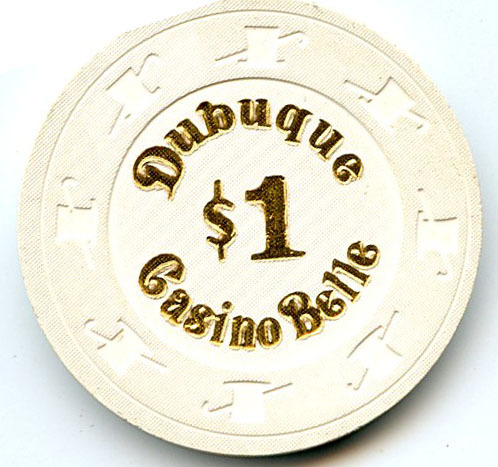 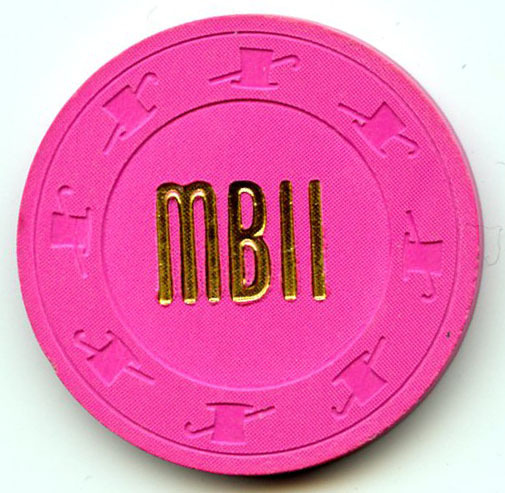 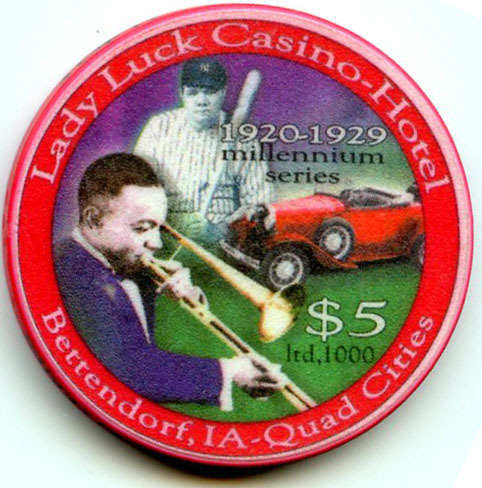 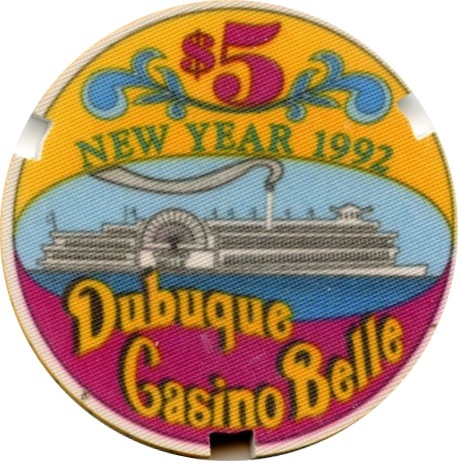 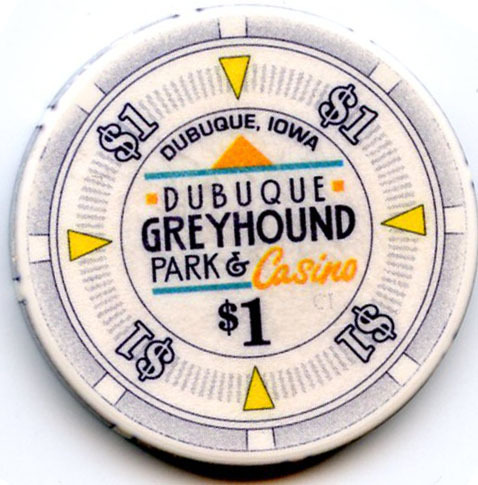 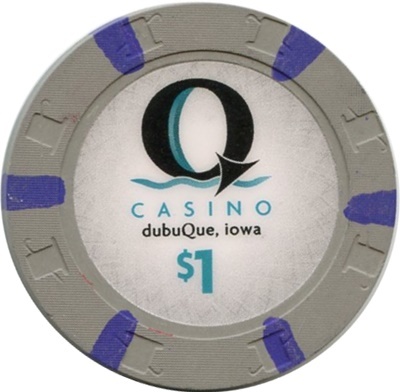 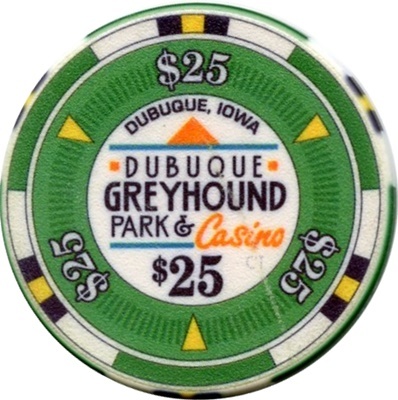 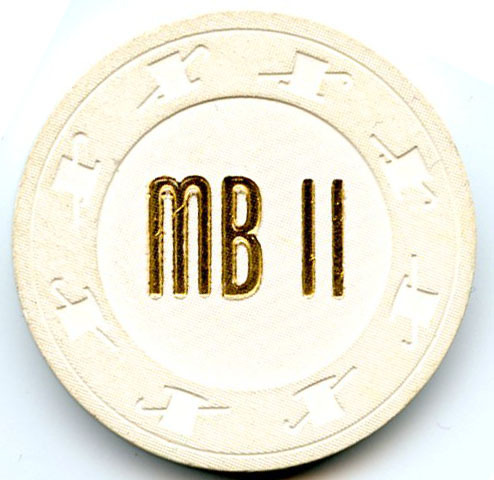 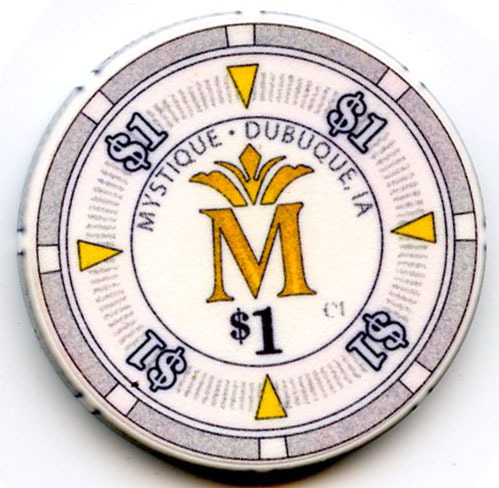 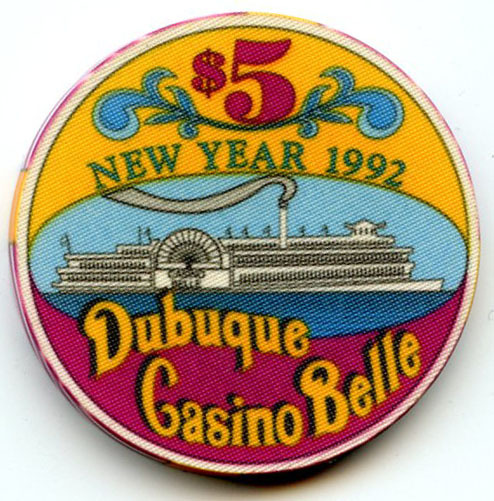 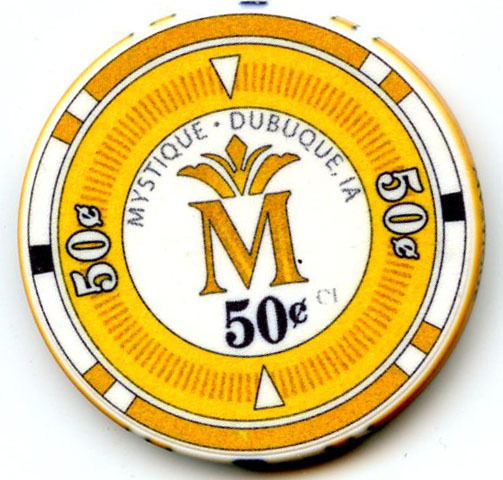 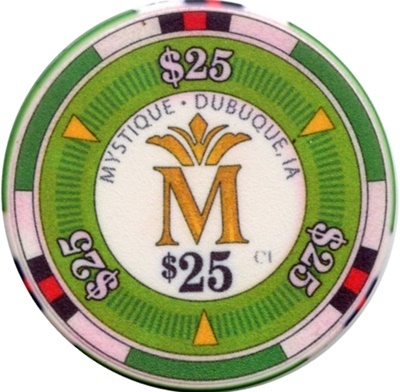 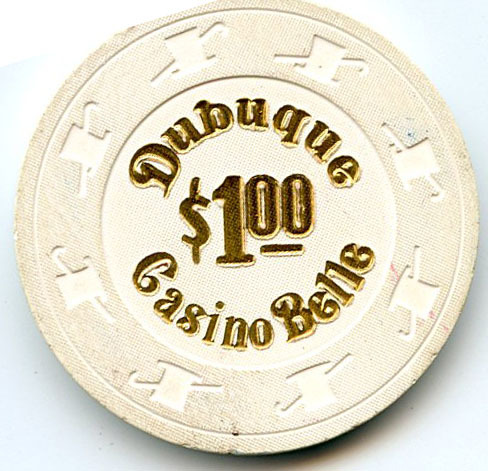 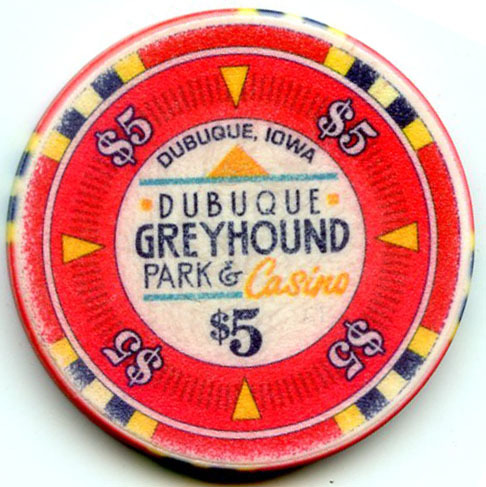 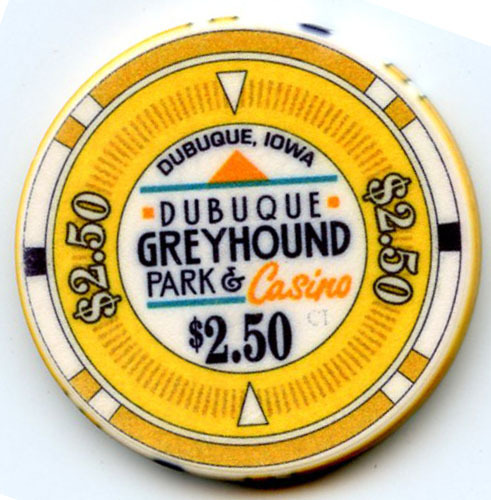 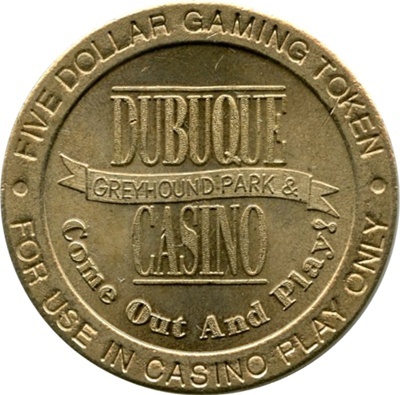 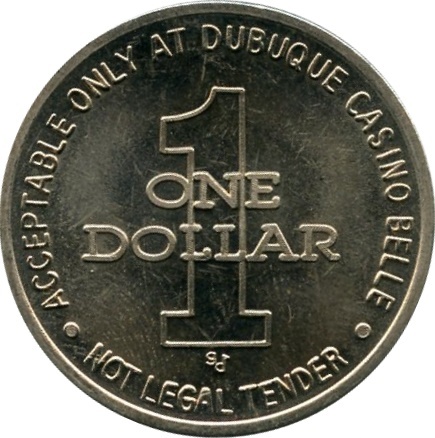 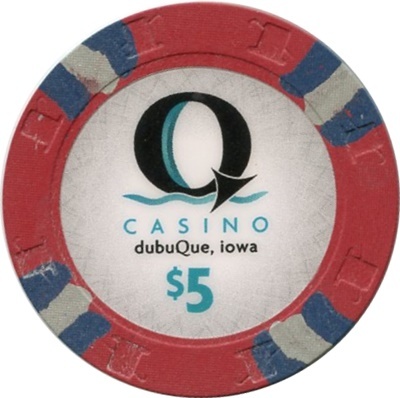 Dubuque Greyhound Park and Casino was renamed the Mystique Casino in 2009. 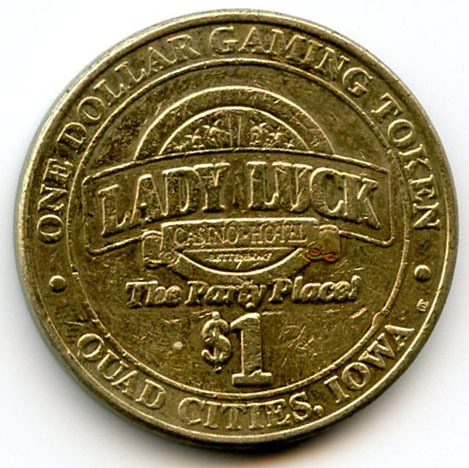 The Emerald Lady was only open for just over 1 year. 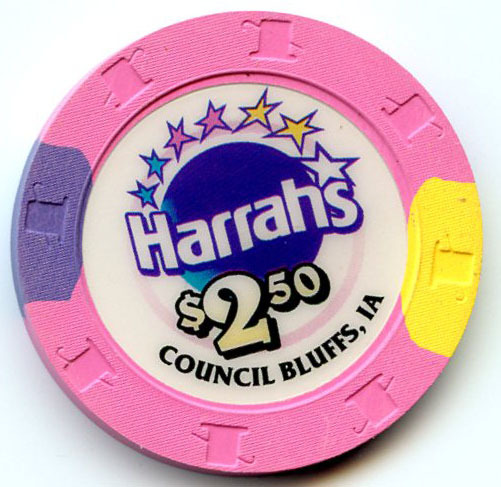 Harrah’s Casino replaced Harvey’s Casino in 2001. 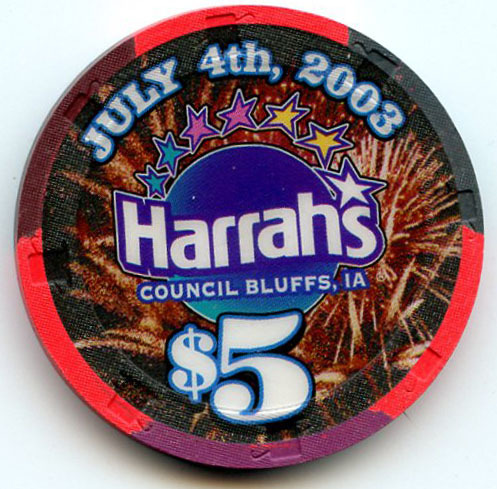 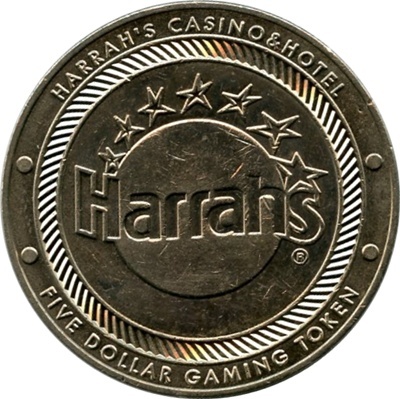 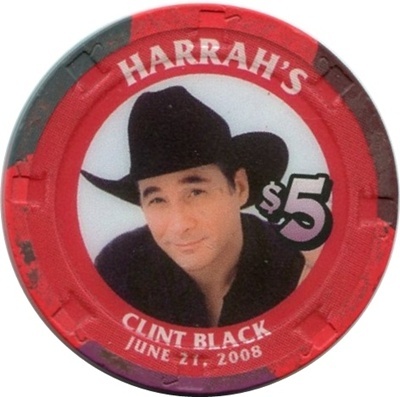 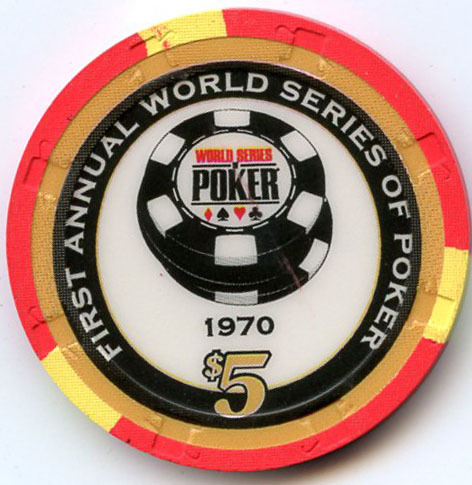 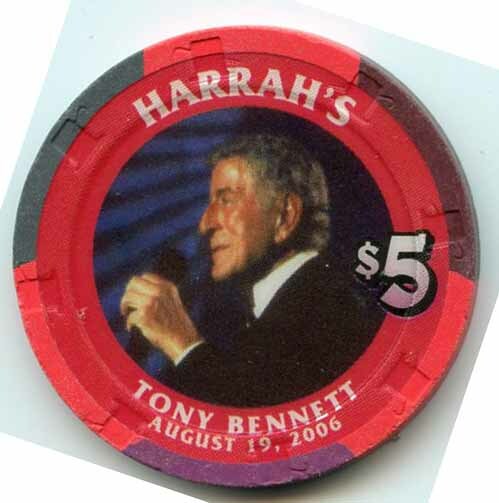 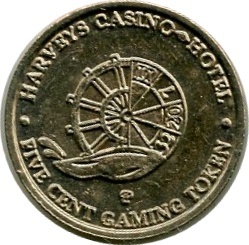 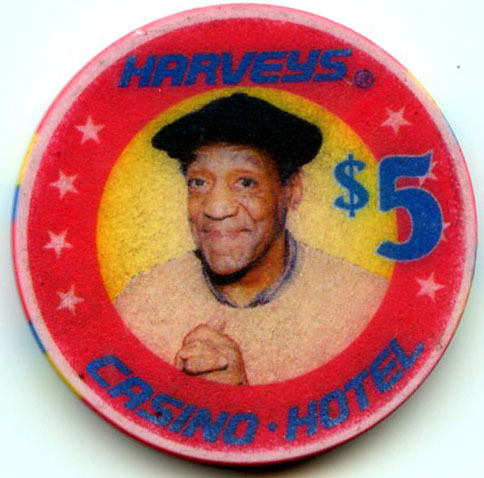 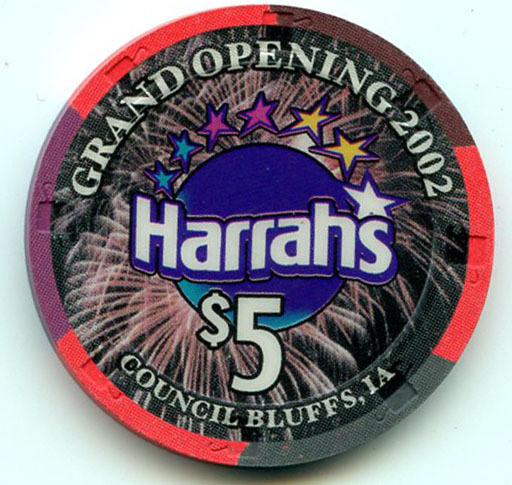 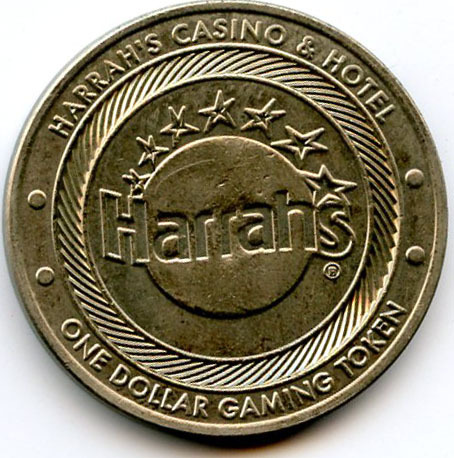 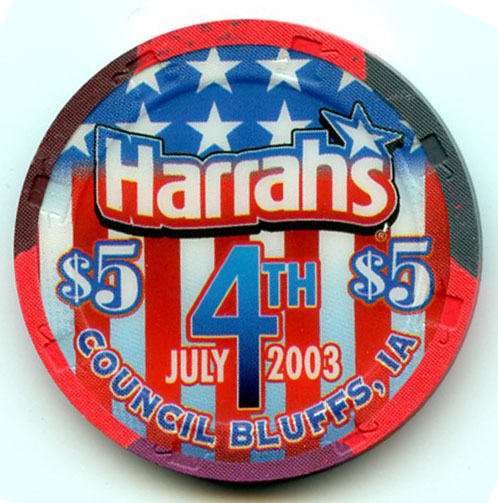 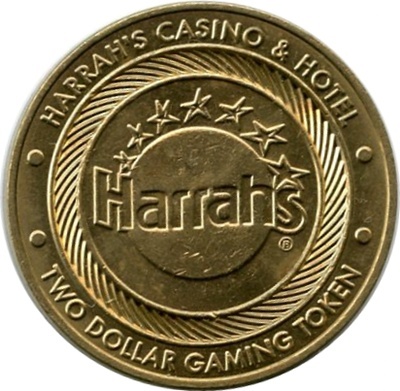 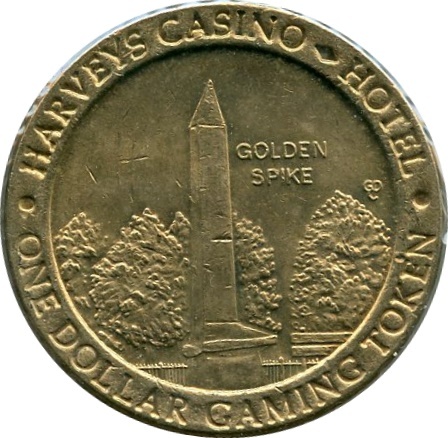 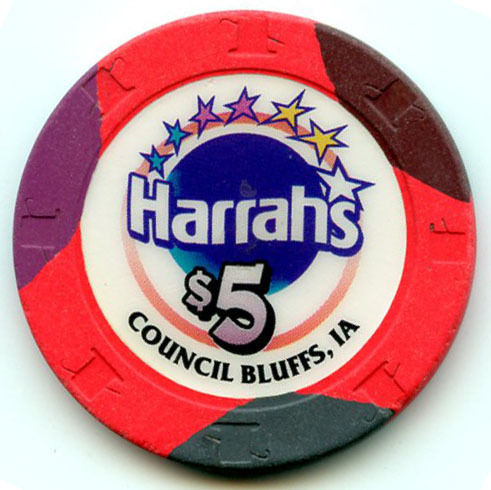 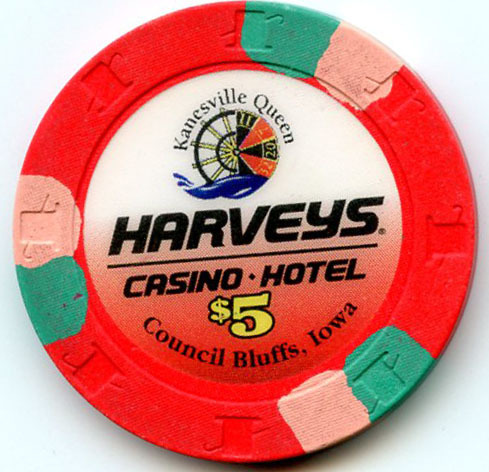 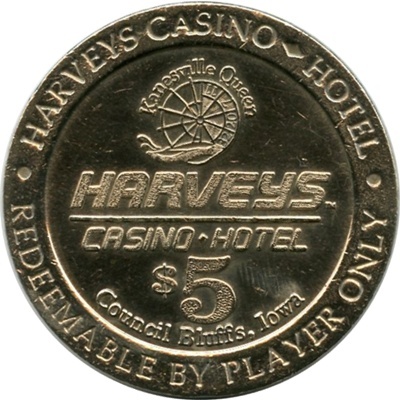 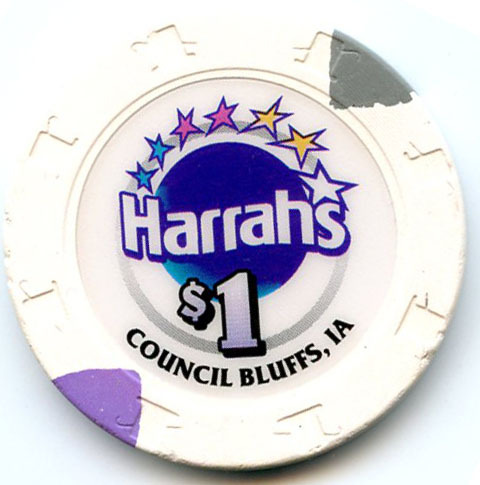 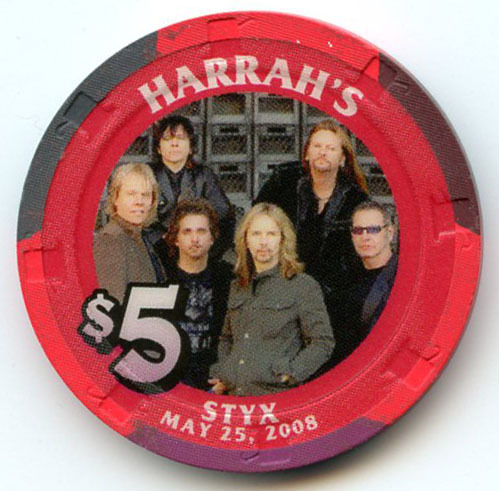 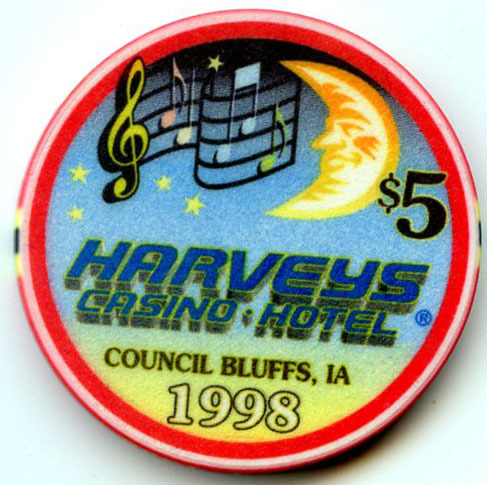 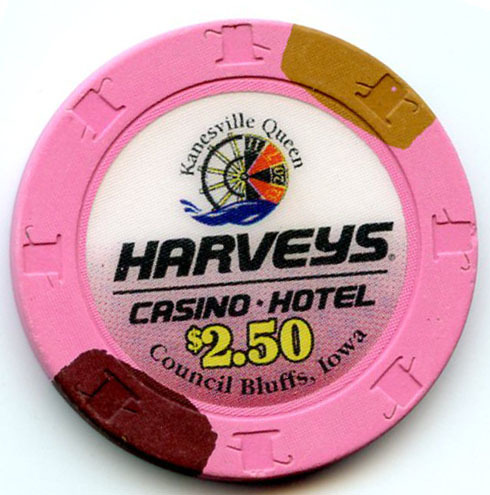 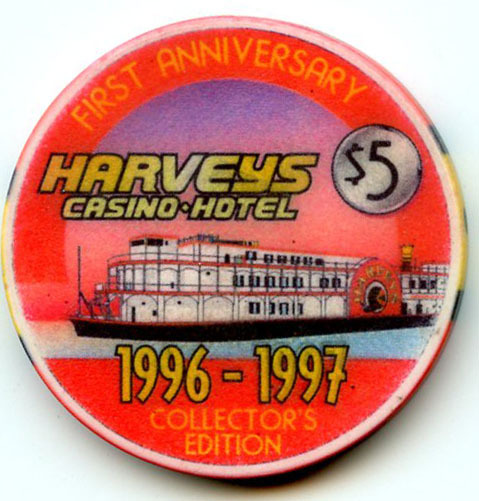 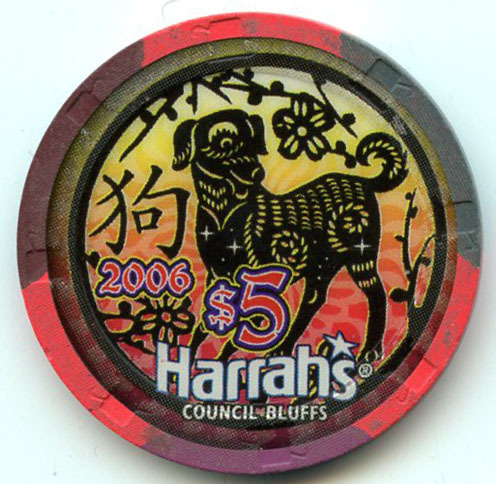 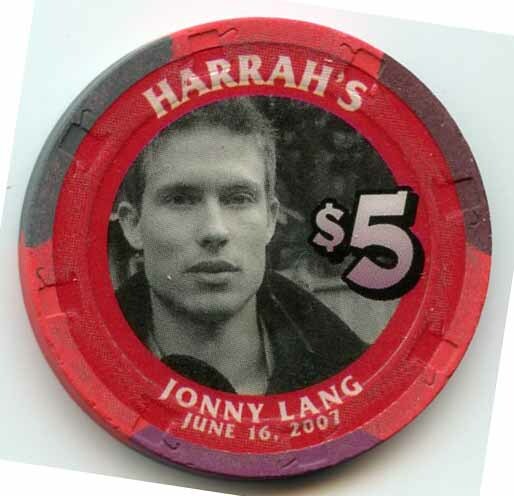 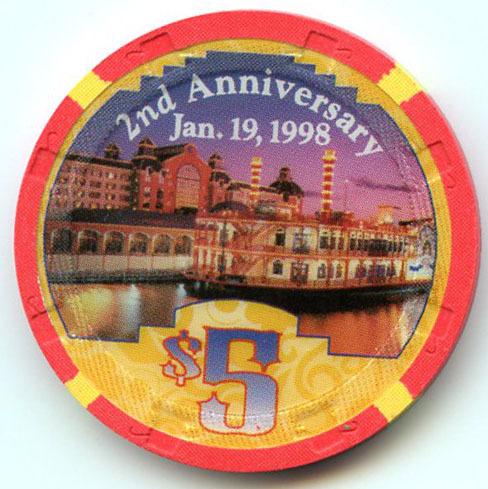 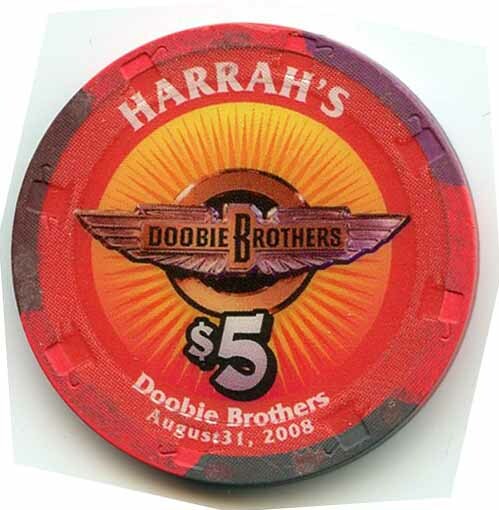 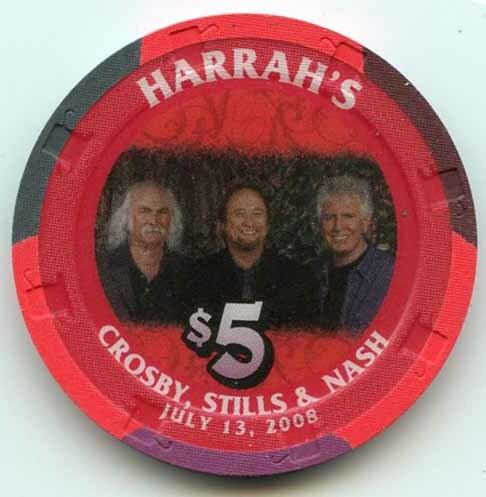 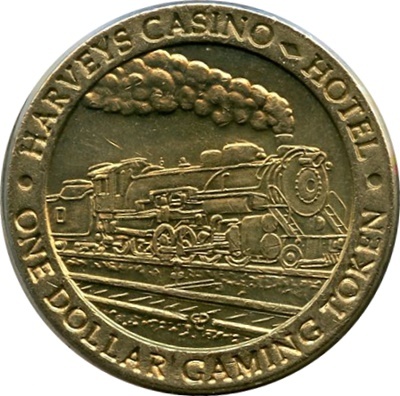 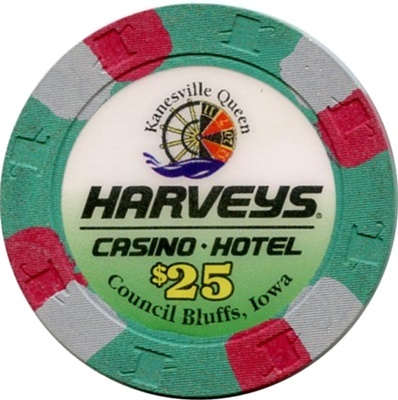 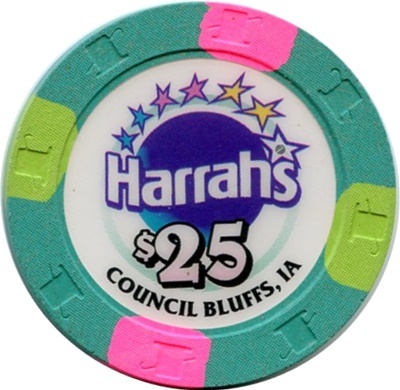 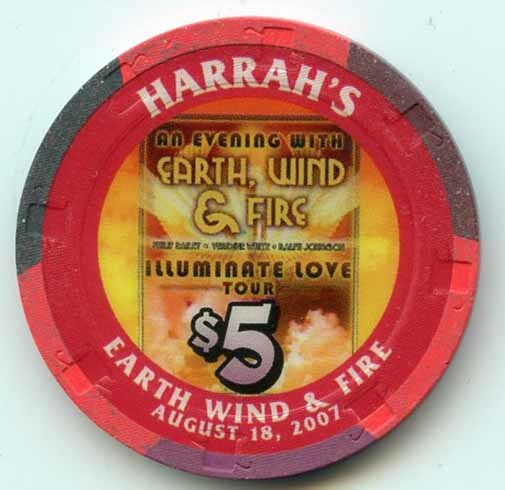 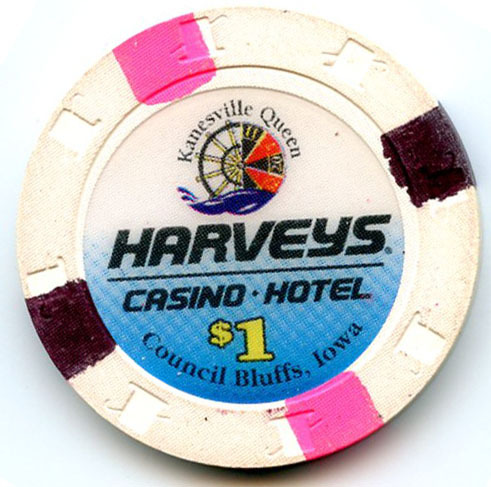 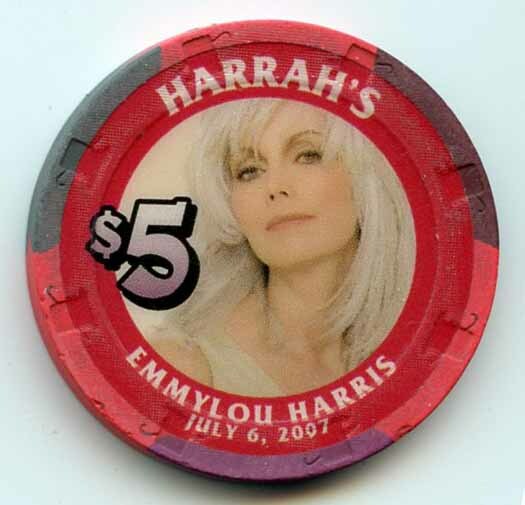 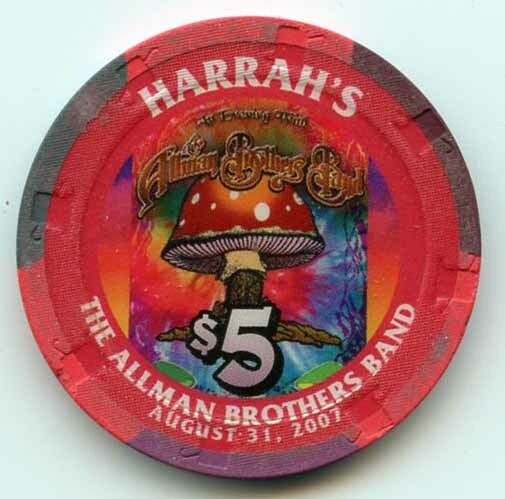 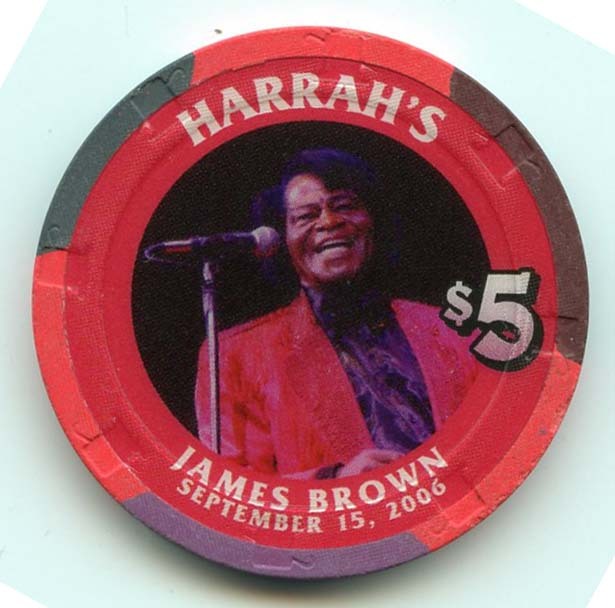 Harvey’s Casino was replaced by Harrah’s Casino in 2001. 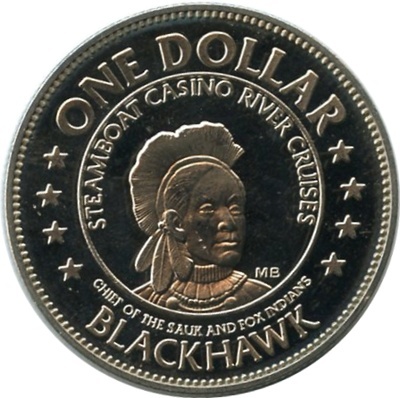 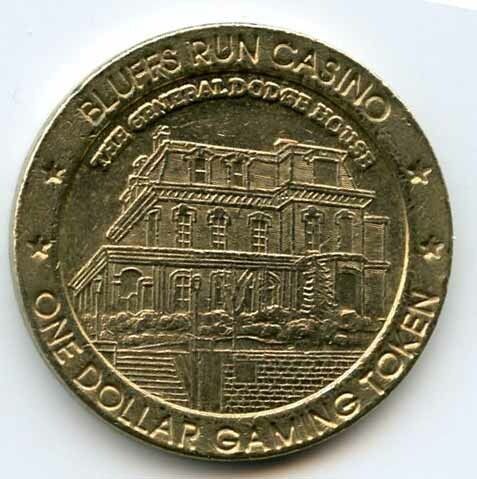 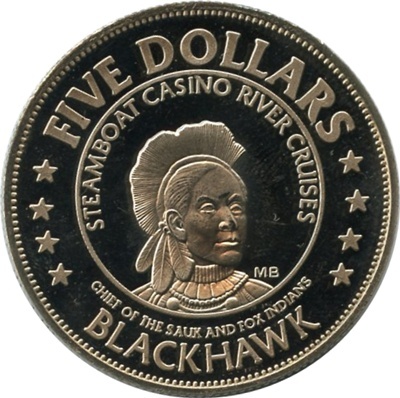 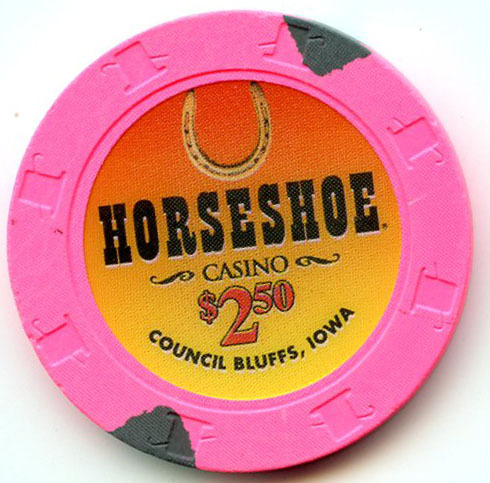 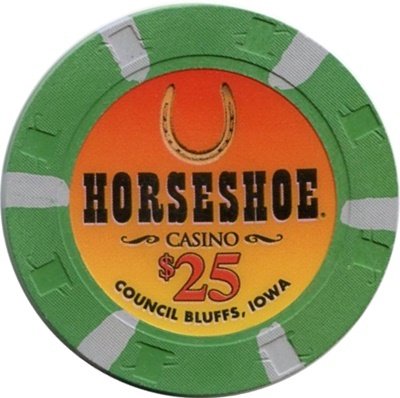 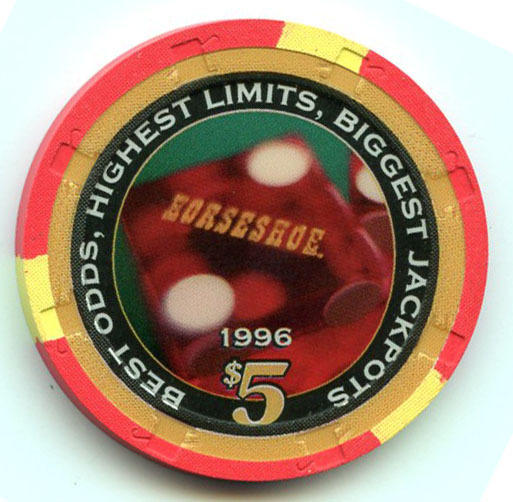 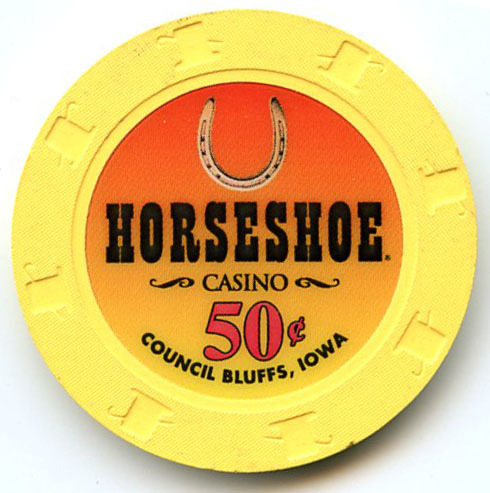 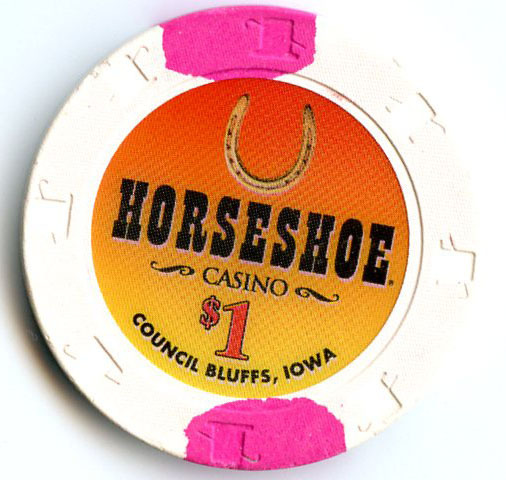 The Horseshoe Casino replaced the Bluffs Run Casino in 2006. 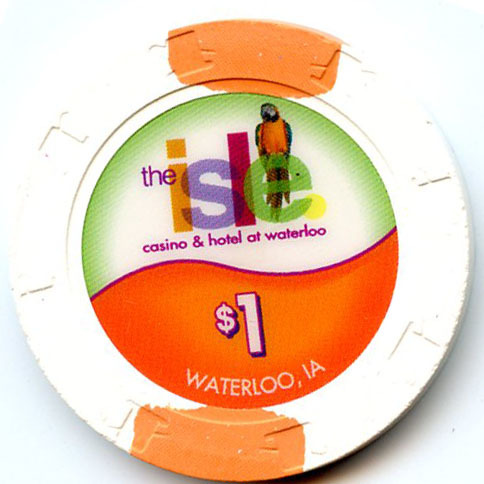 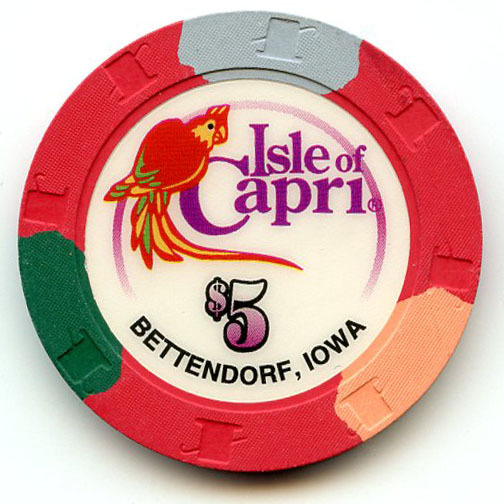 The Isle Casino replaced Isle of Capri in 2016). 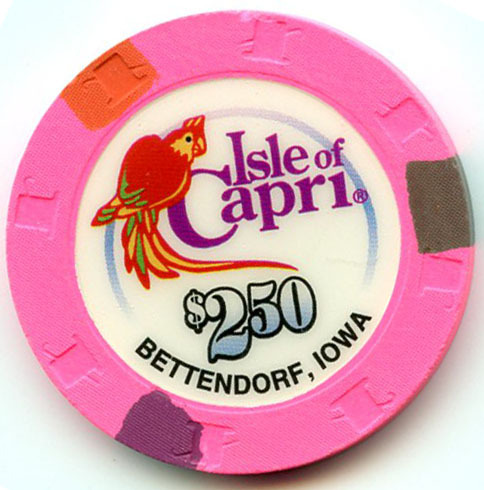 The Isle of Capri Casino replaced the Lady Luck Casino in 2000. 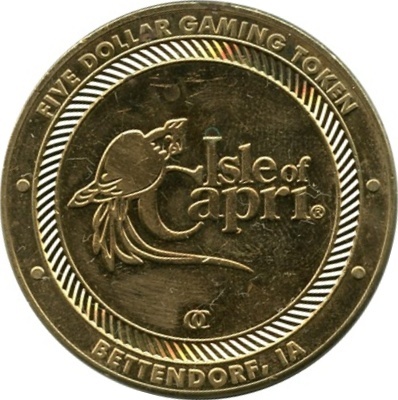 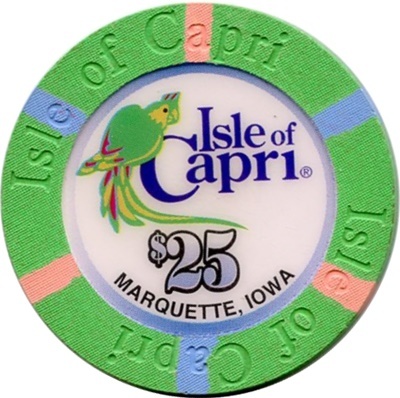 The Isle of Capri was replaced by Isle Casino in 2016. 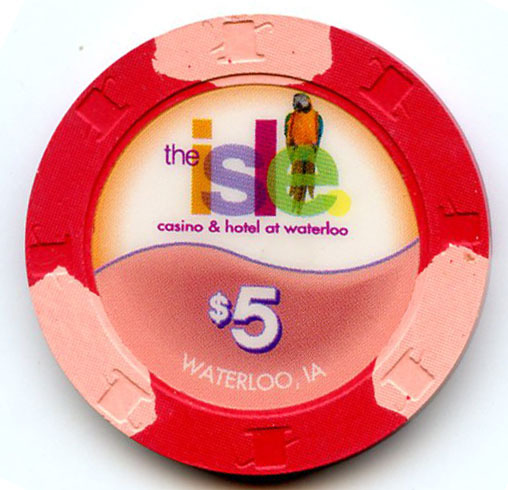 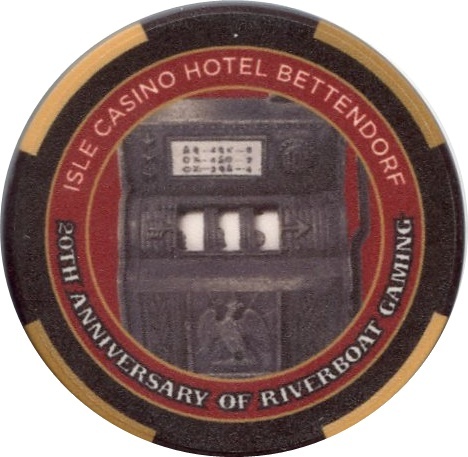 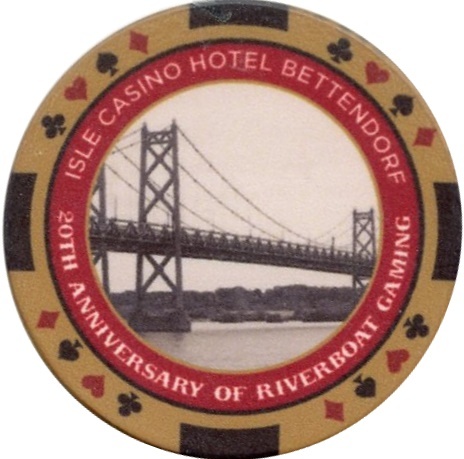 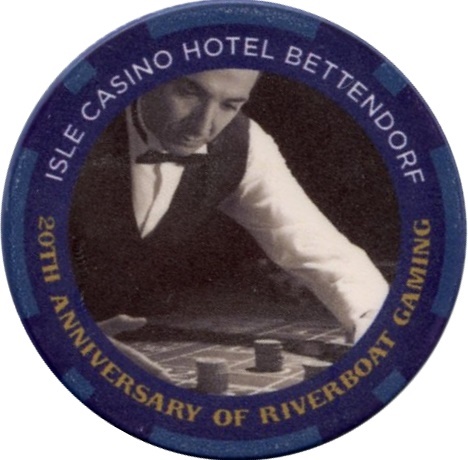 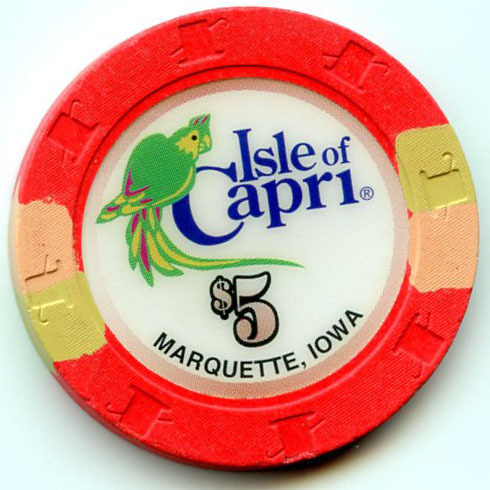 The Isle of Capri Casino replaced the Miss Marquette Casino in 2000. 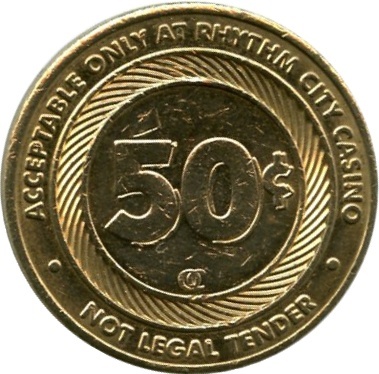 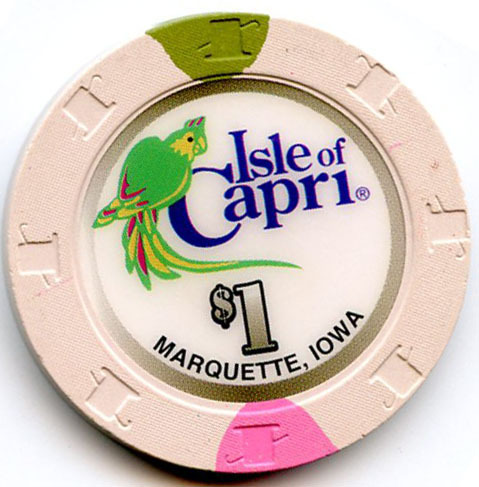 The Isle of Capri Casino was replaced by the Lady Luck Casino in 2008. 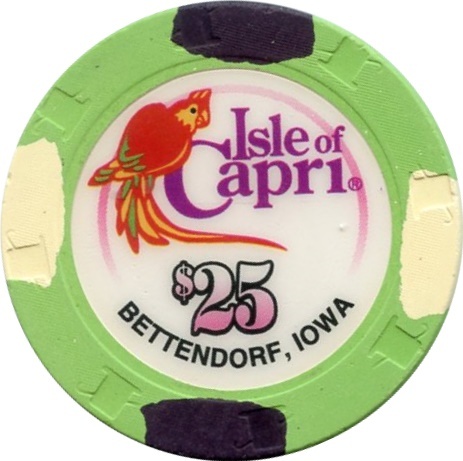 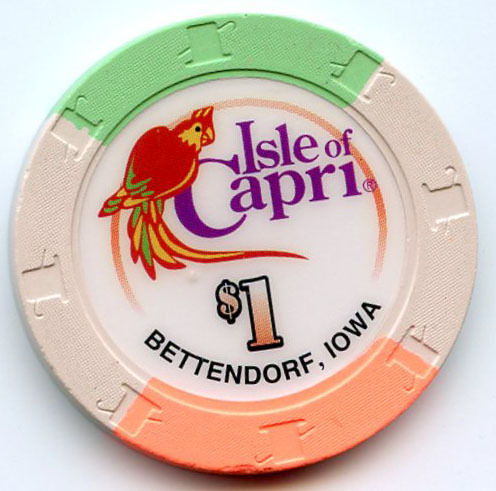 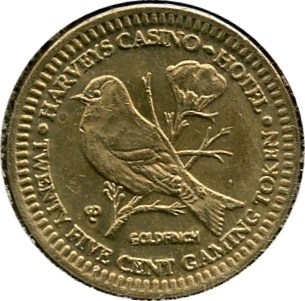 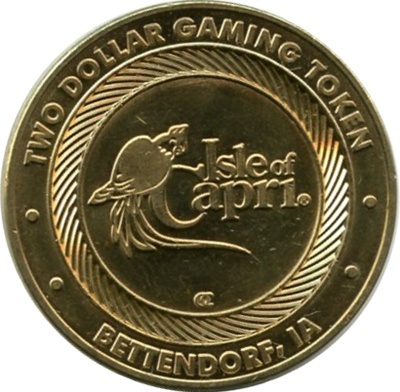 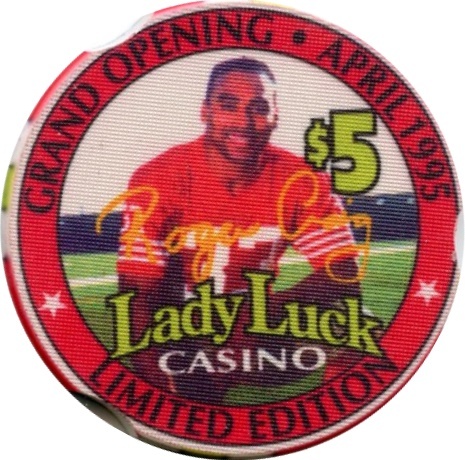 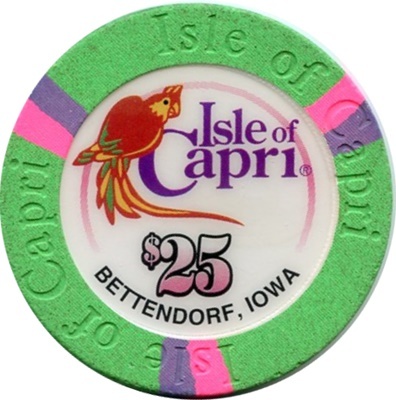 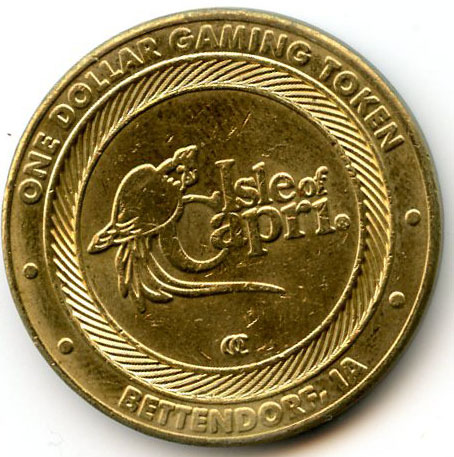 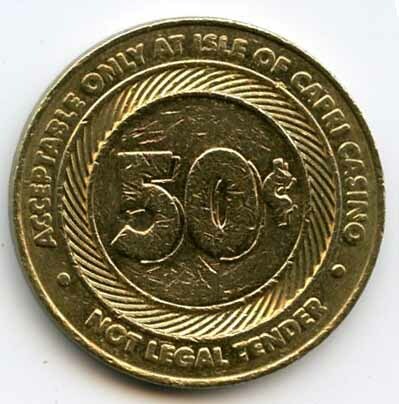 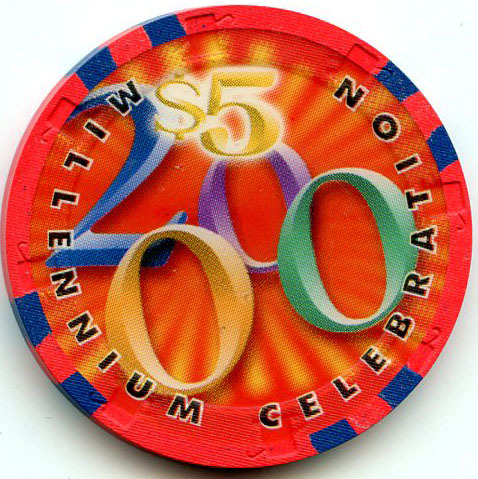 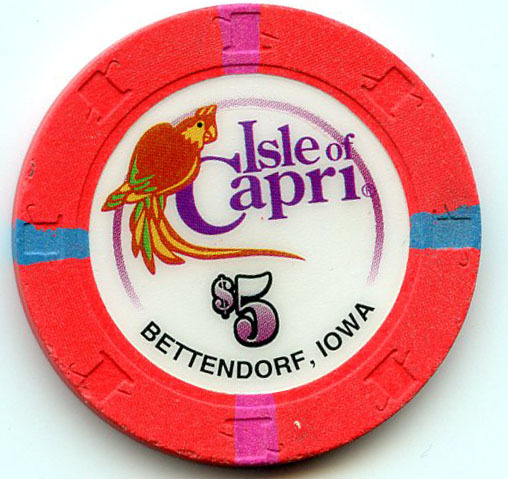 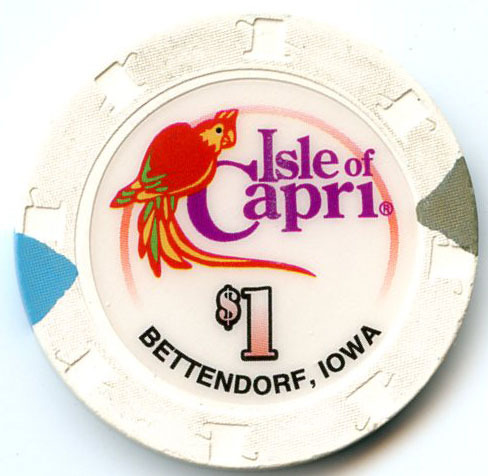 The Lady Luck Casino was replaced by the Isle of Capri Casino in 2000. 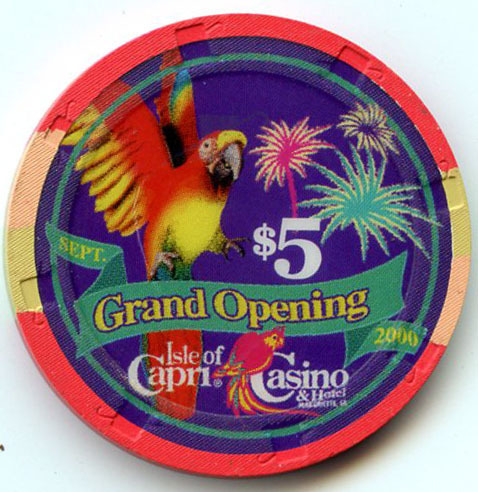 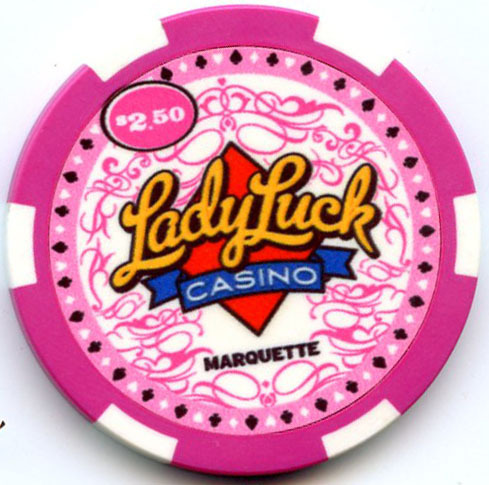 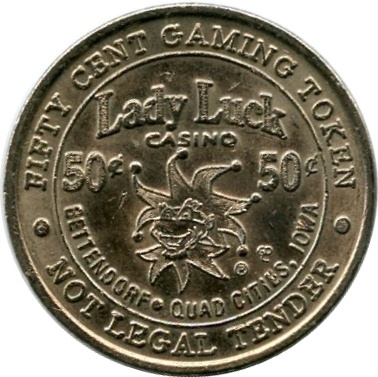 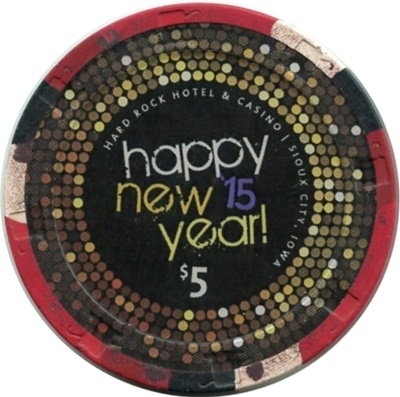 The Lady Luck Casino replaced the Isle of Capri Casino in 2008. 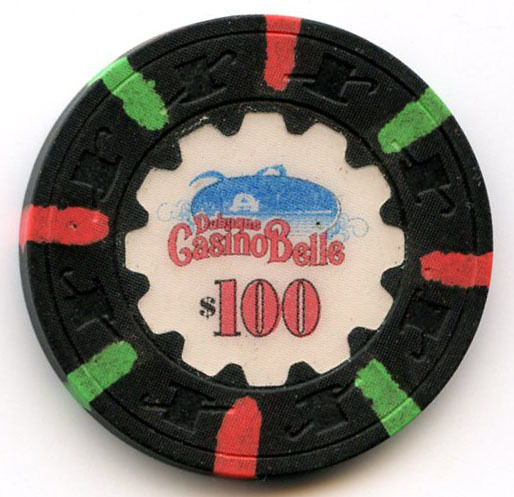 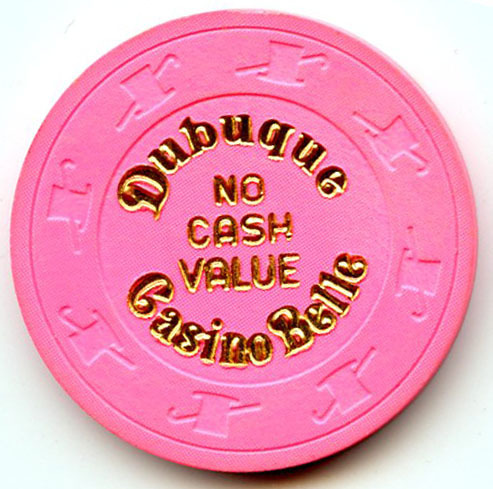 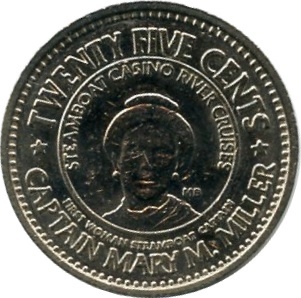 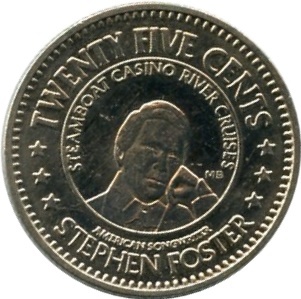 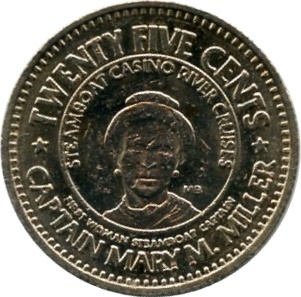 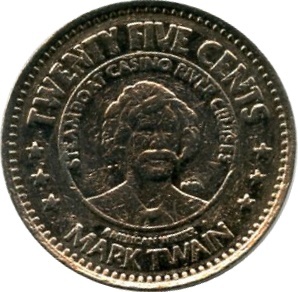 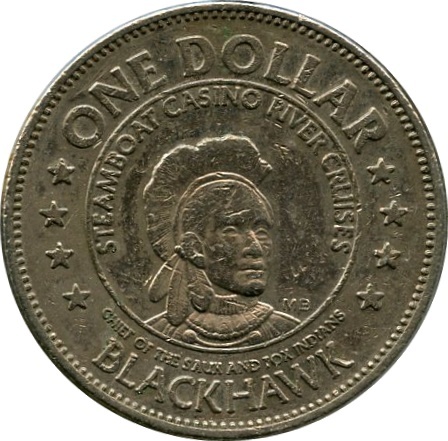 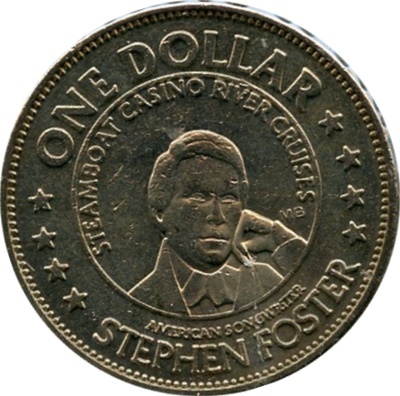 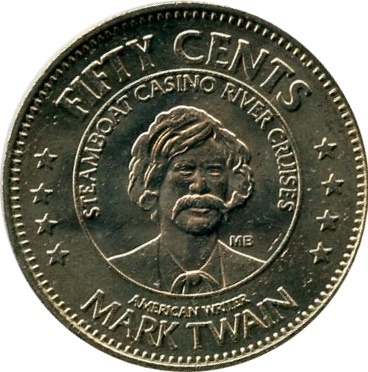 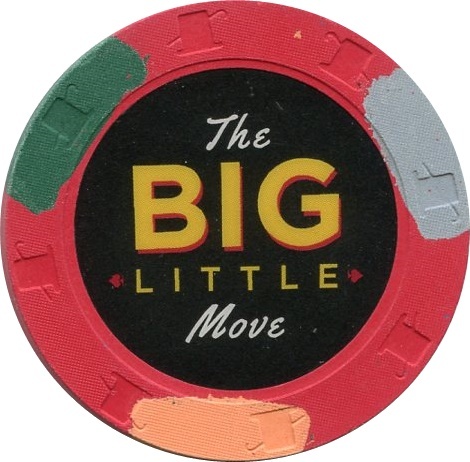 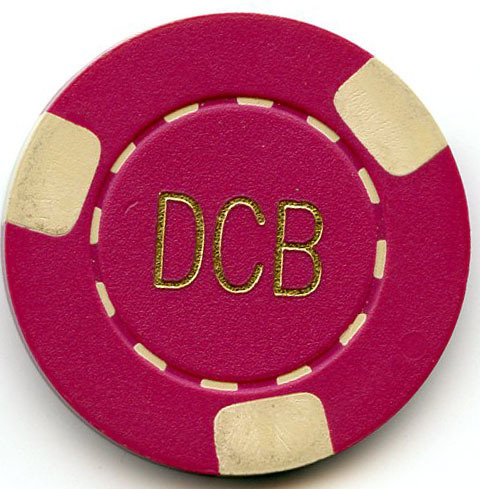 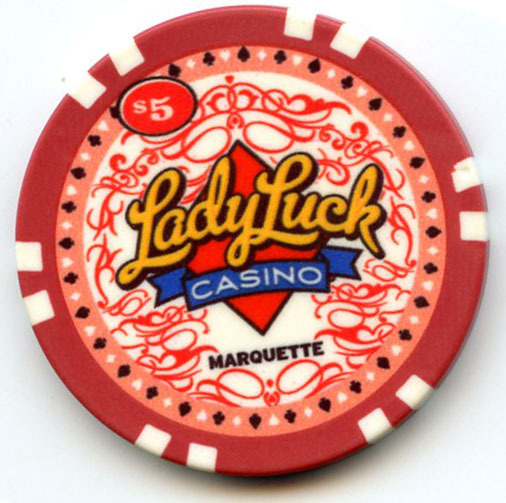 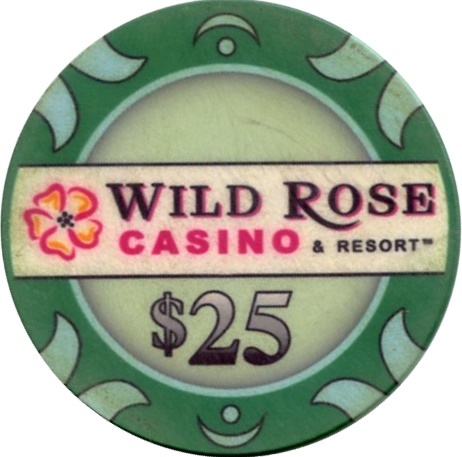 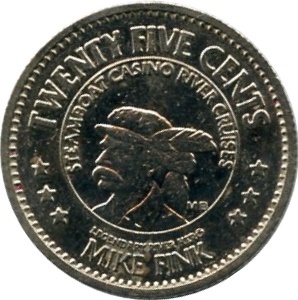 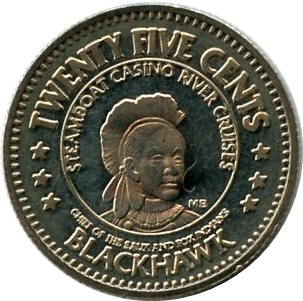 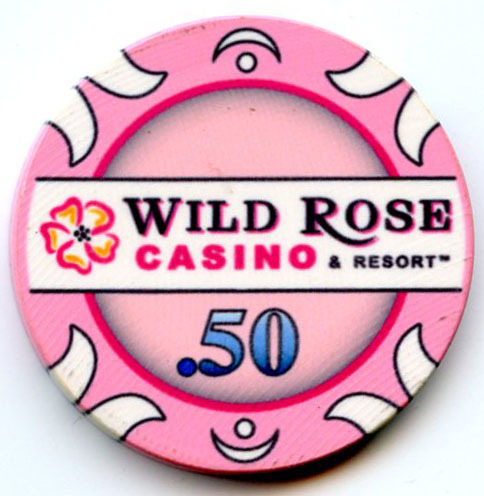 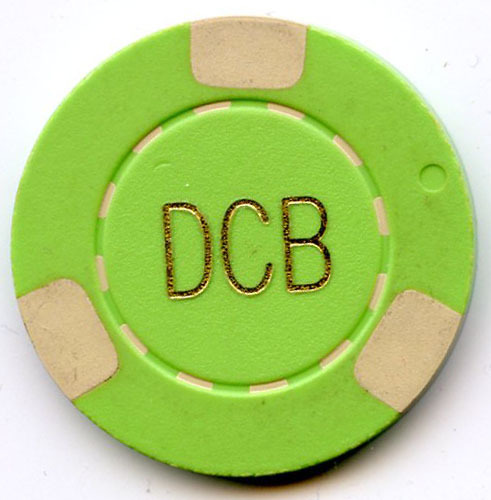 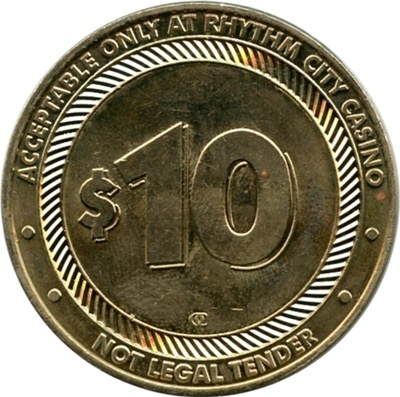 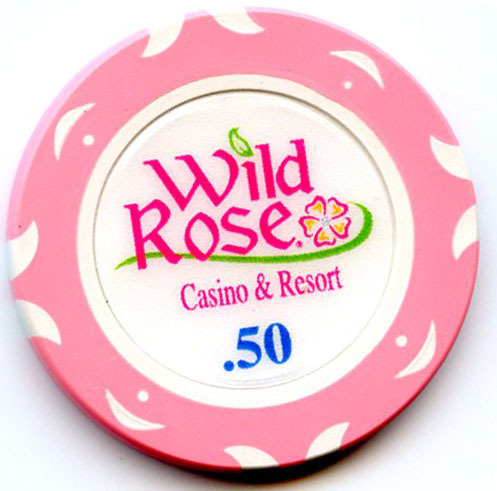 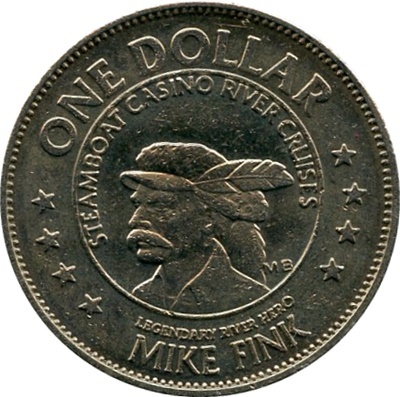 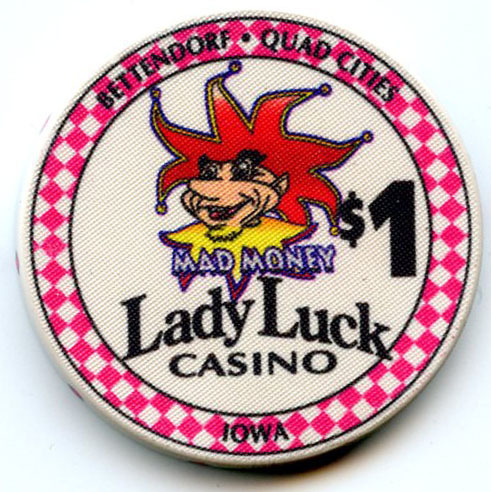 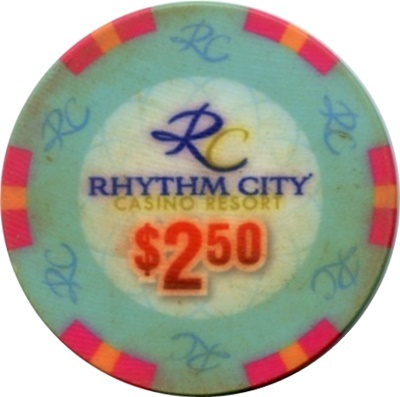 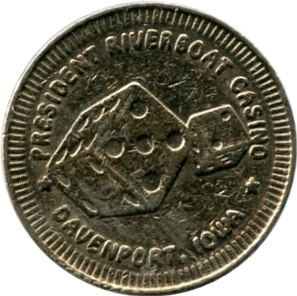 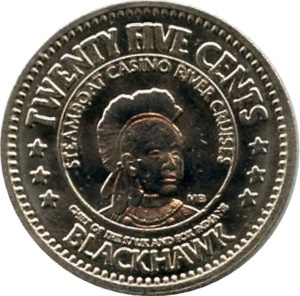 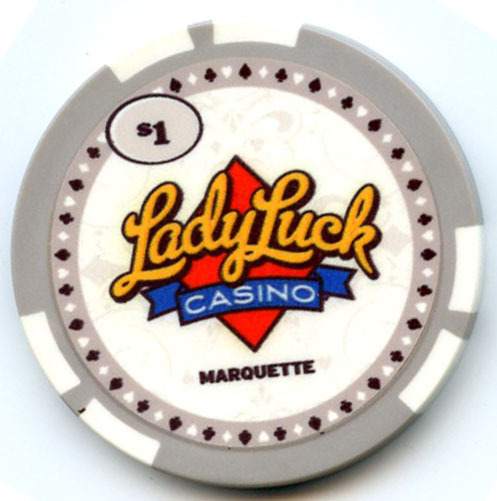 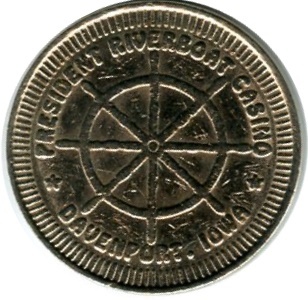 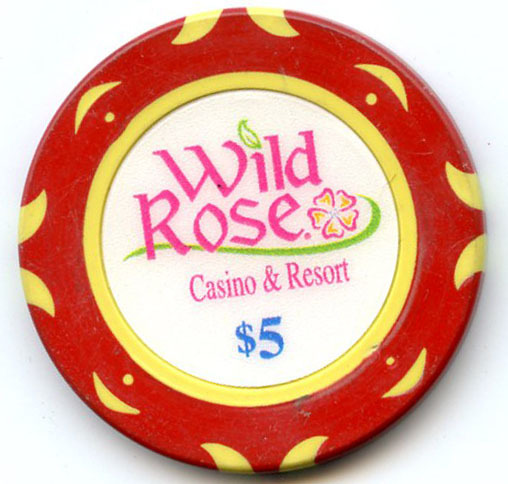 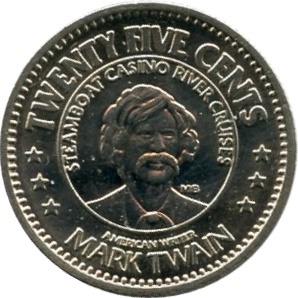 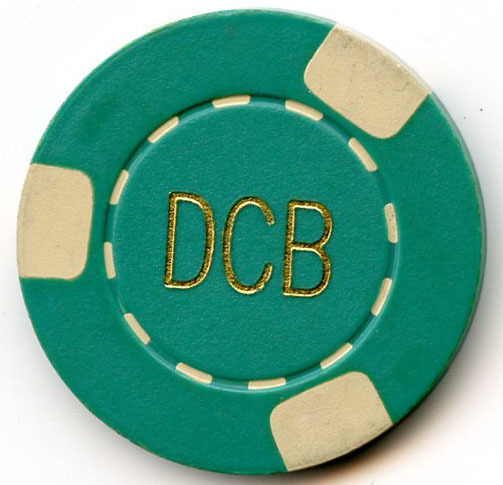 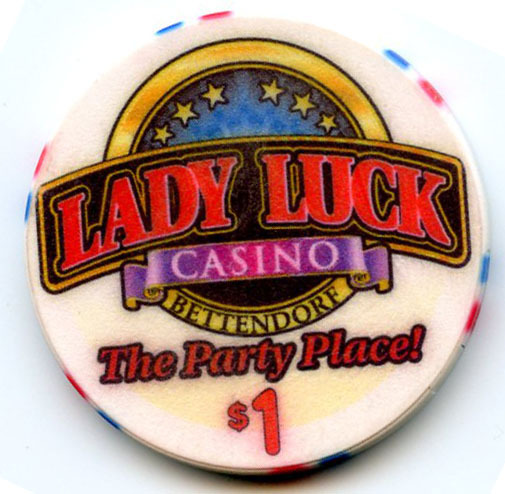 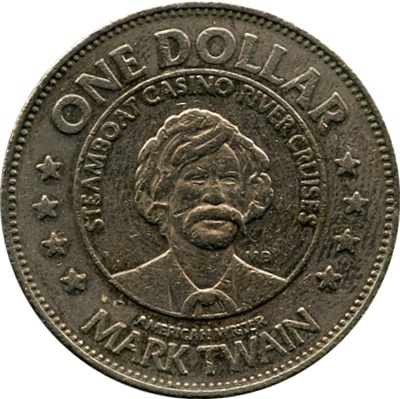 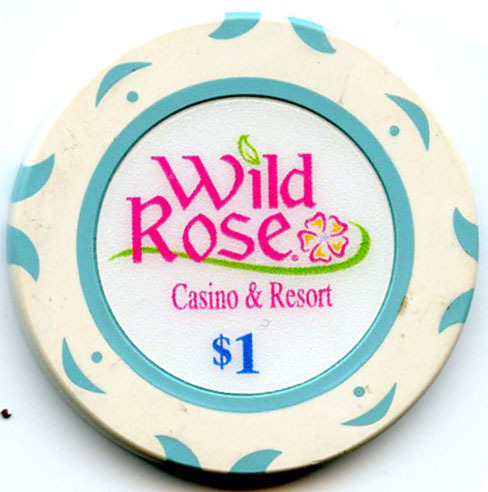 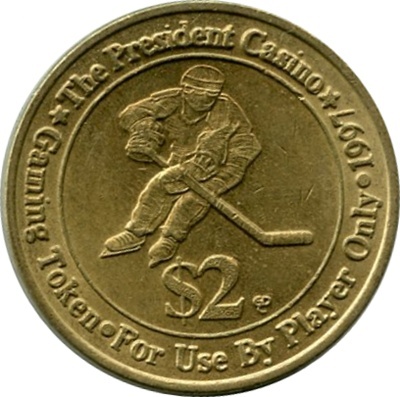 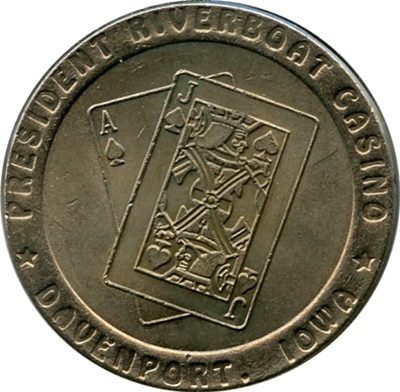 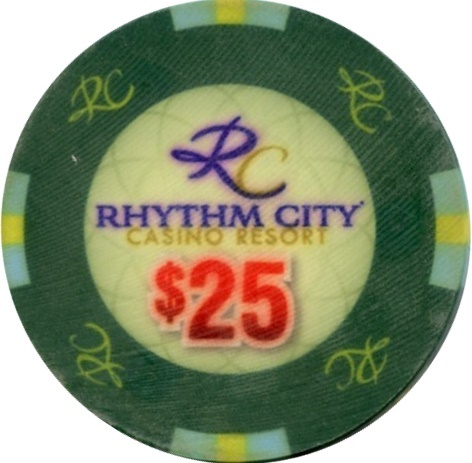 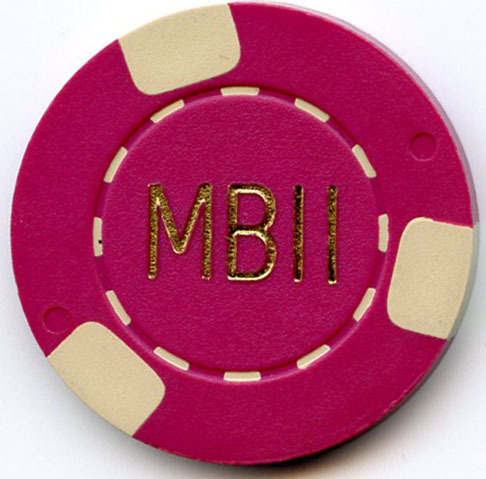 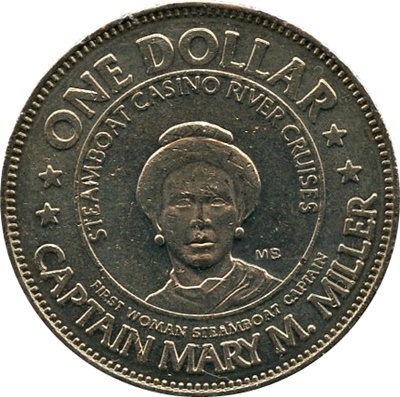 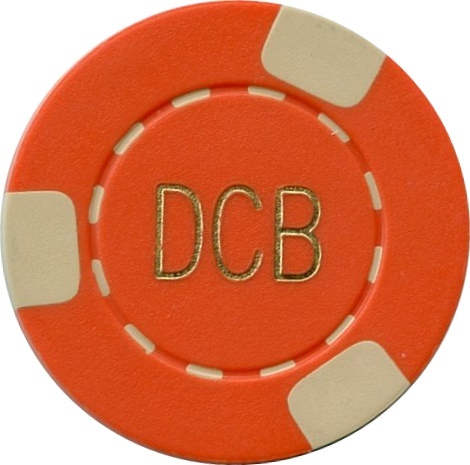 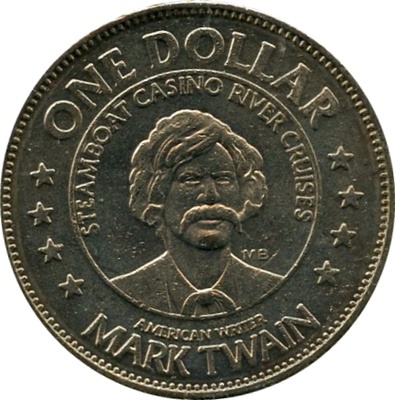 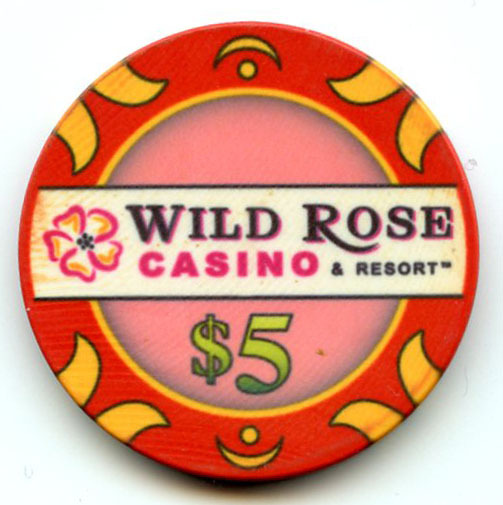 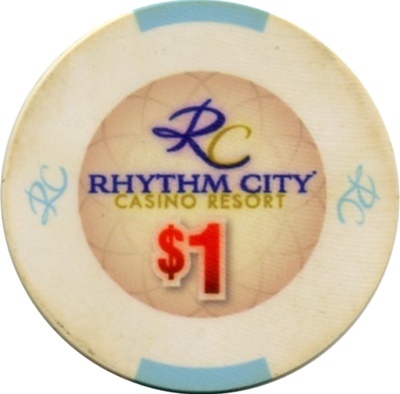 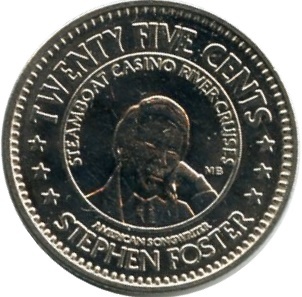 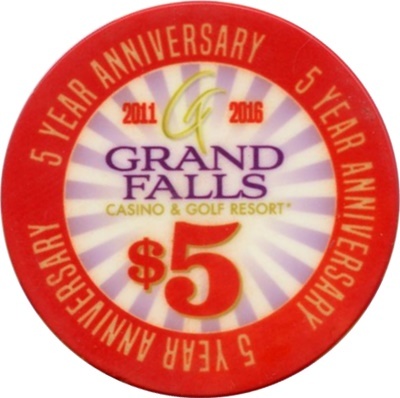 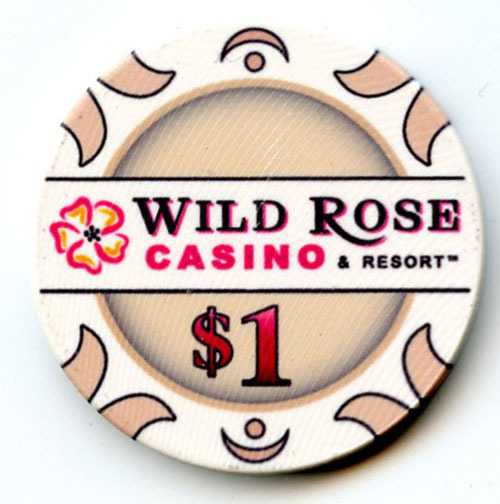 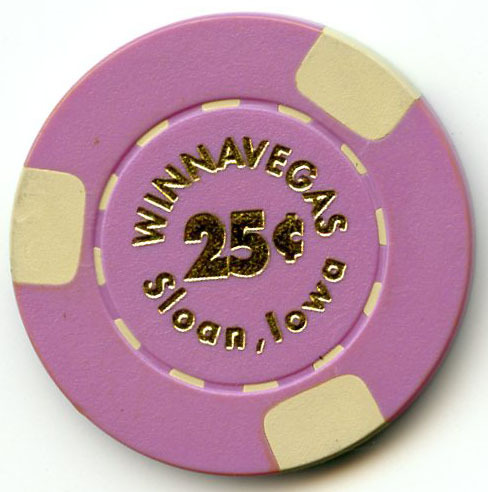 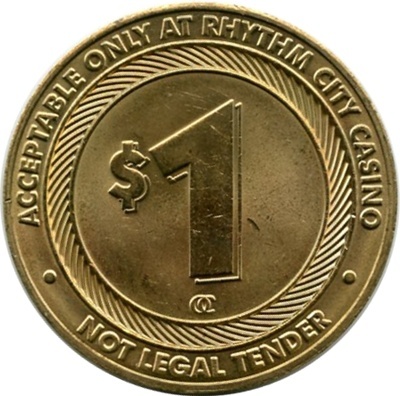 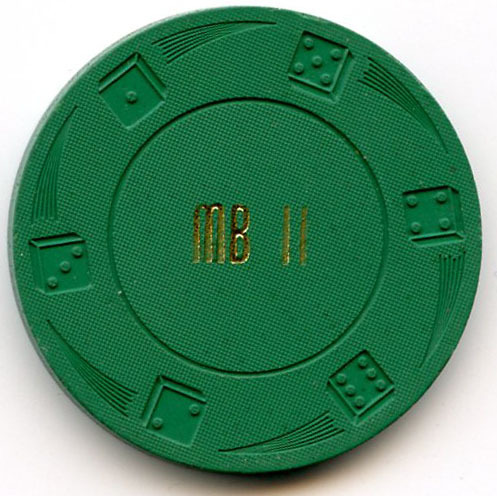 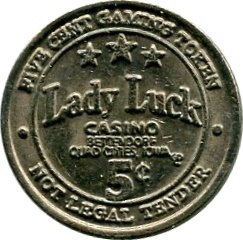 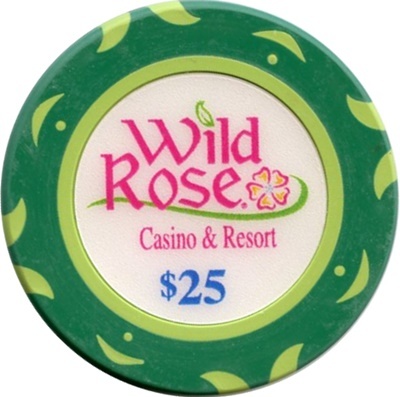 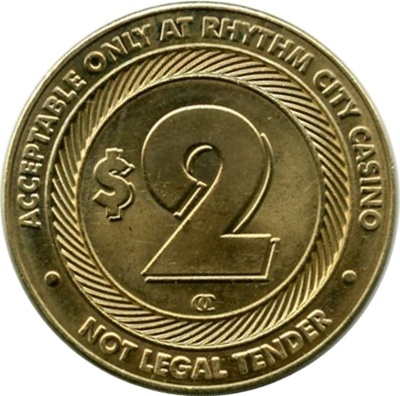 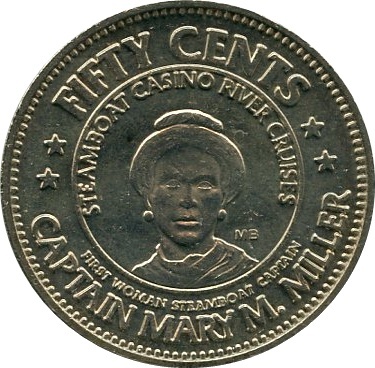 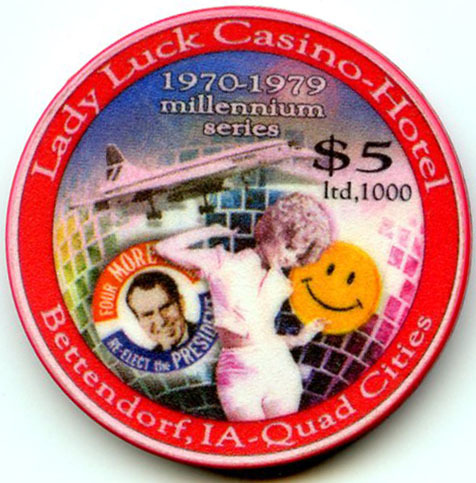 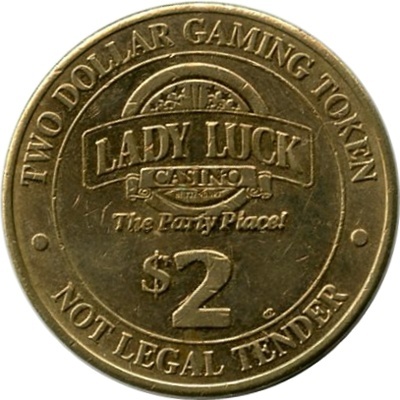 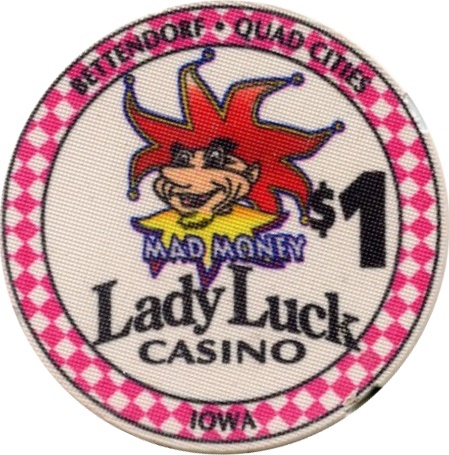 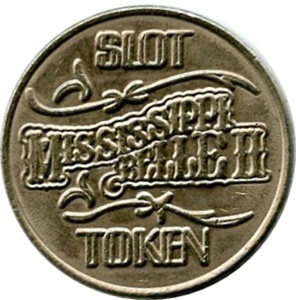 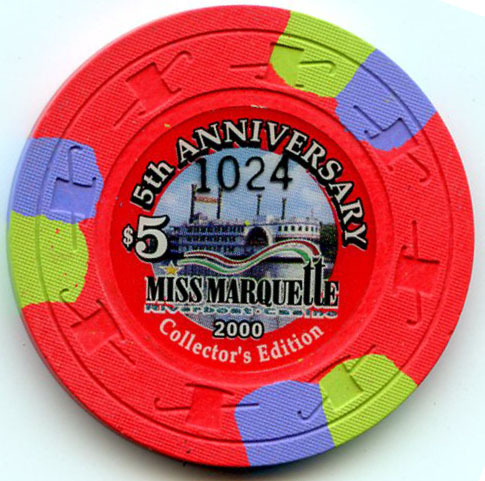 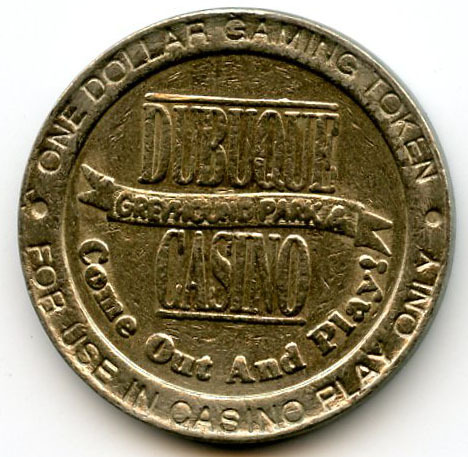 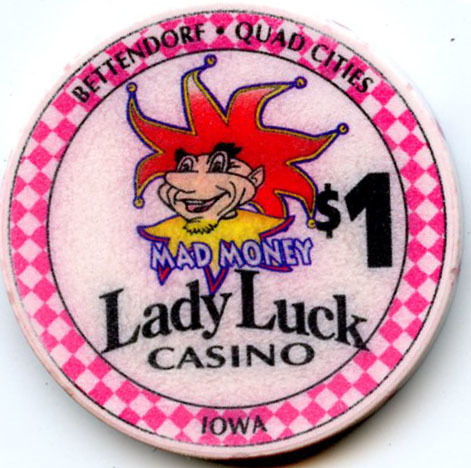 The Lady Luck was replaced by the Casino Queen in 2017. 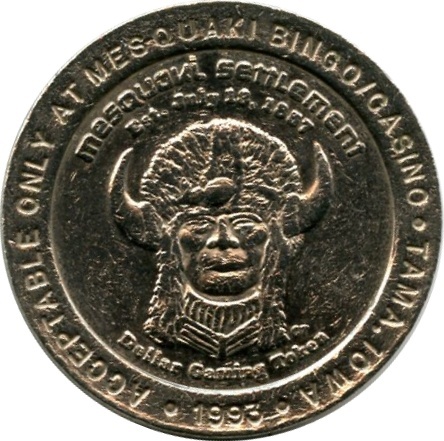 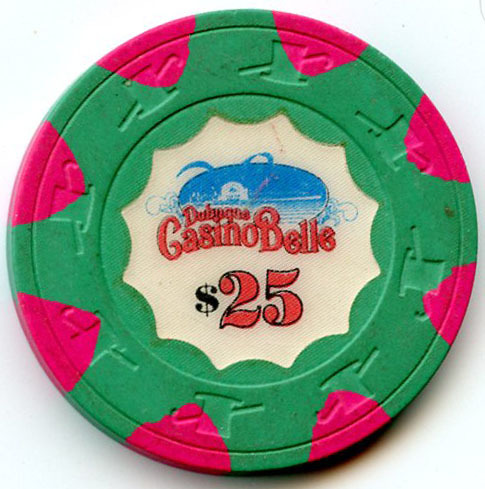 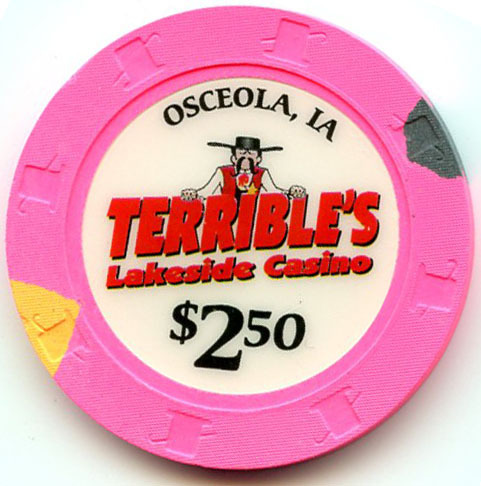 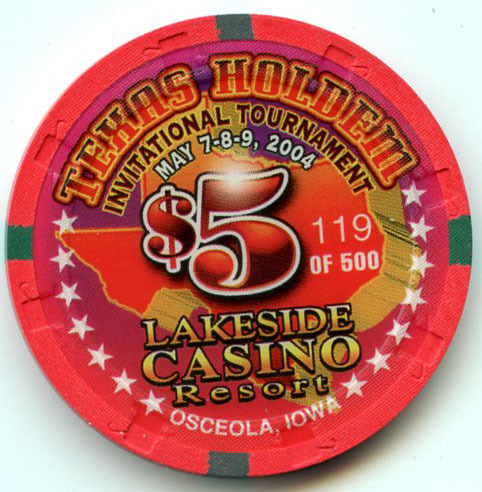 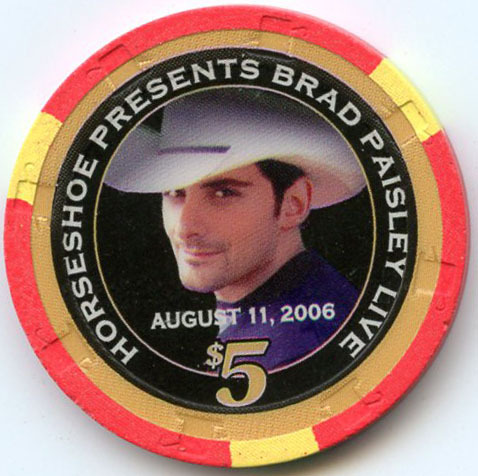 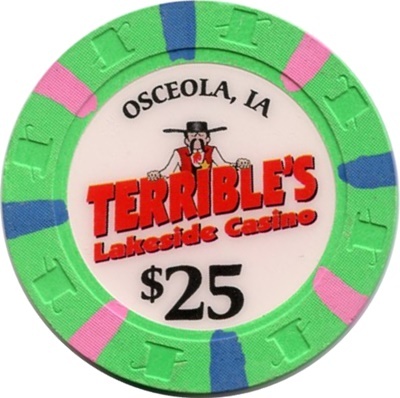 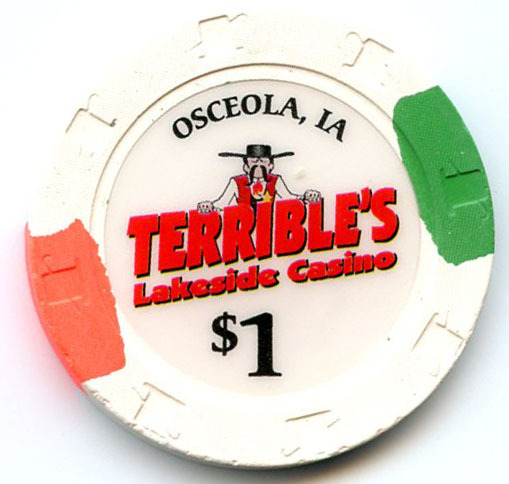 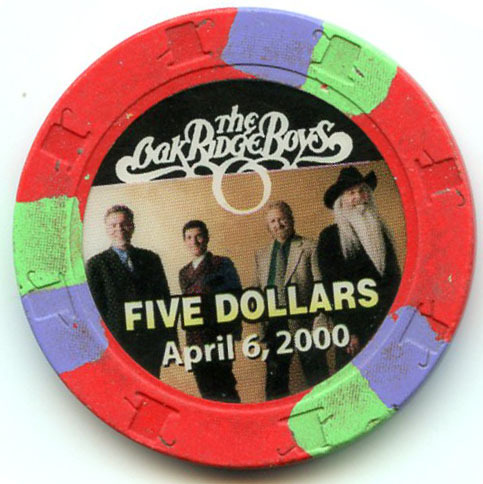 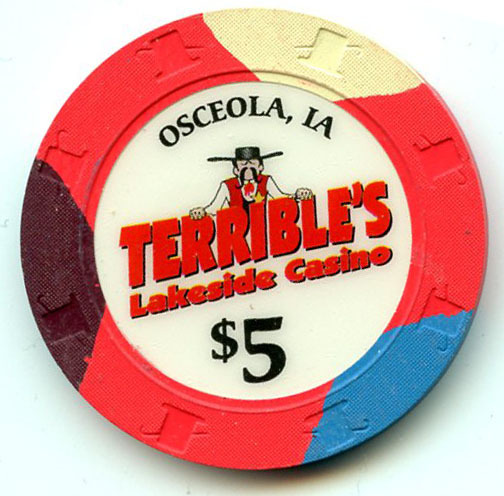 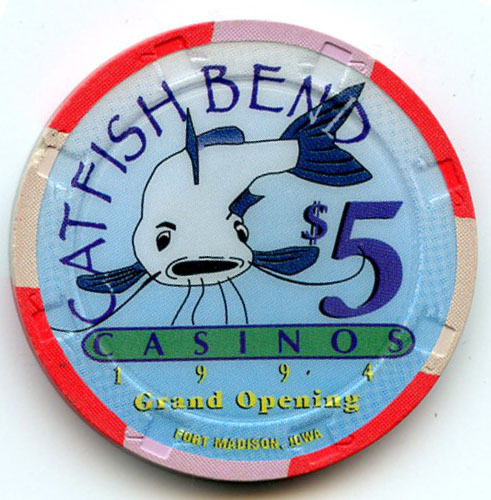 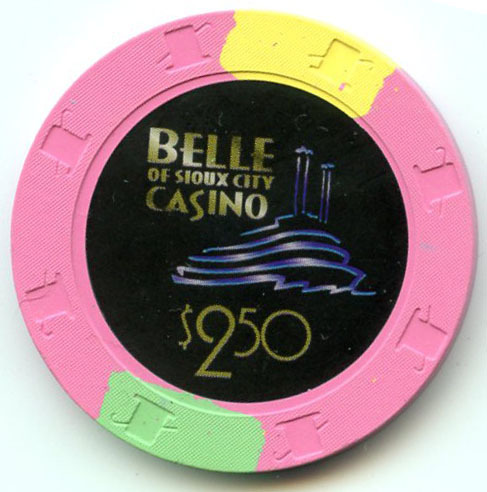 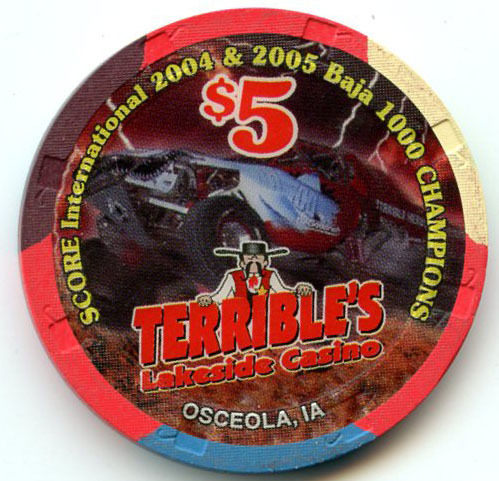 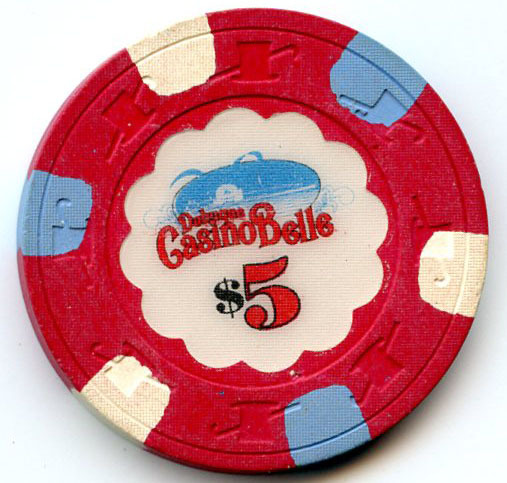 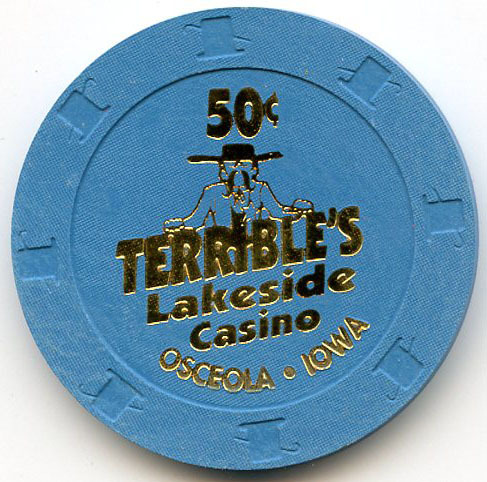 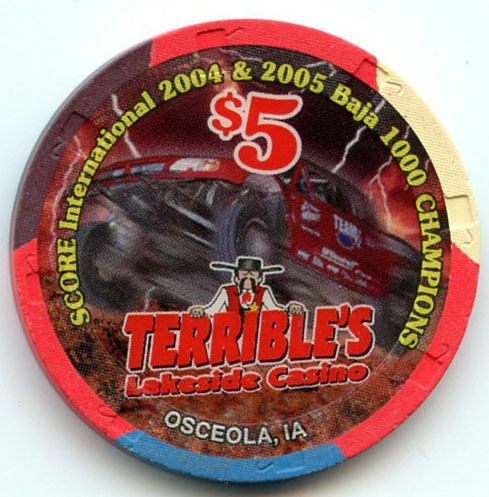 The Lakeside Casino was renamed Terrible’s Lakeside Casino in 2005. 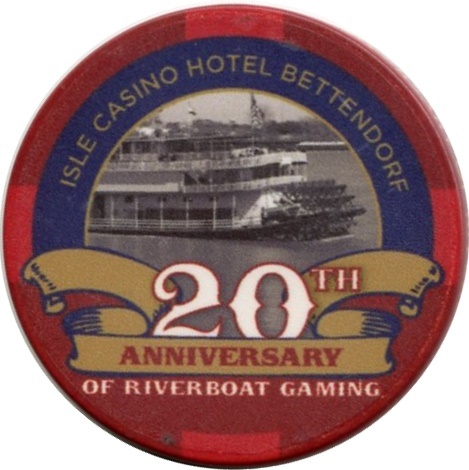 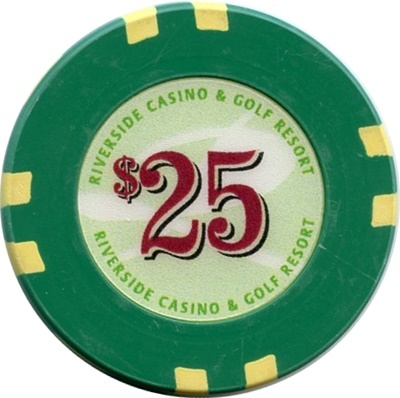 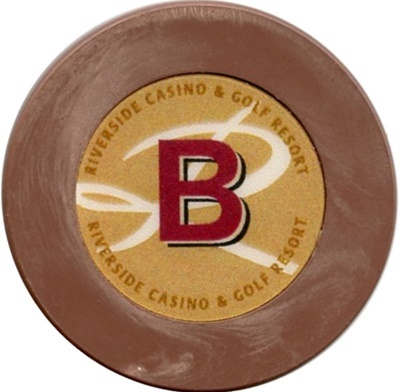 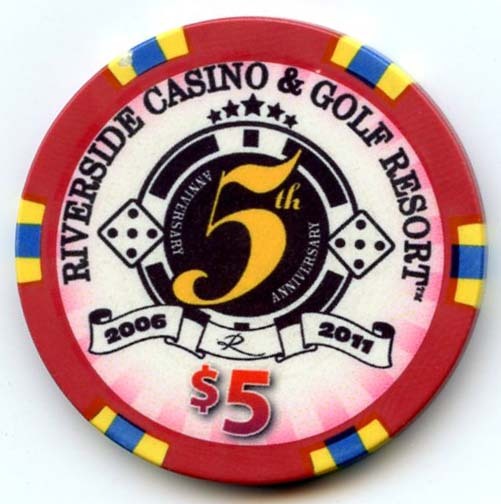 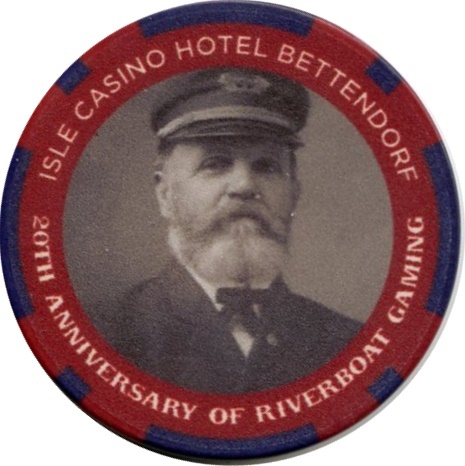 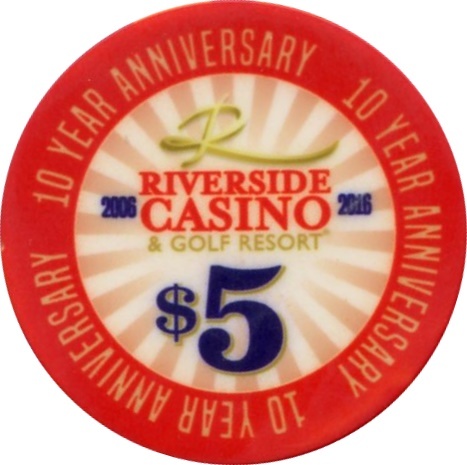 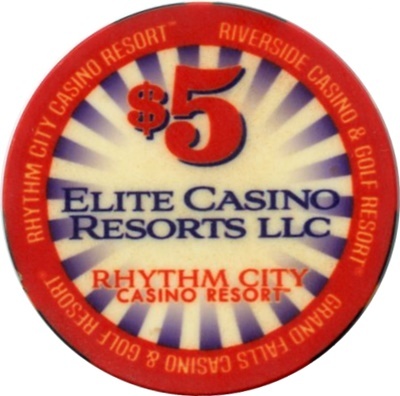 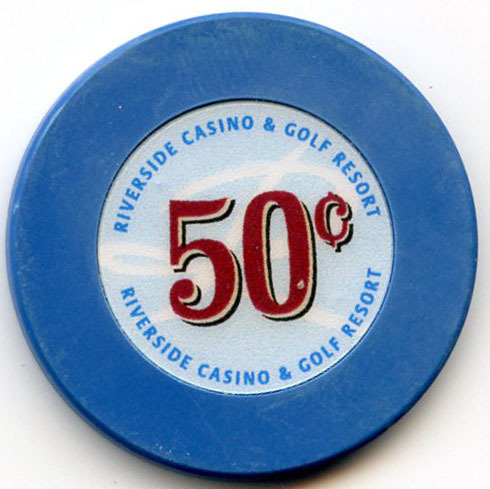 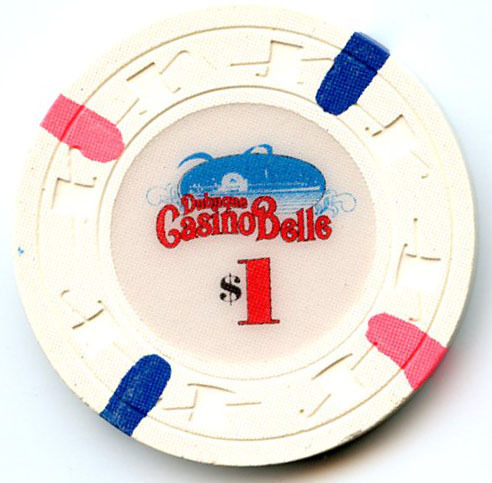 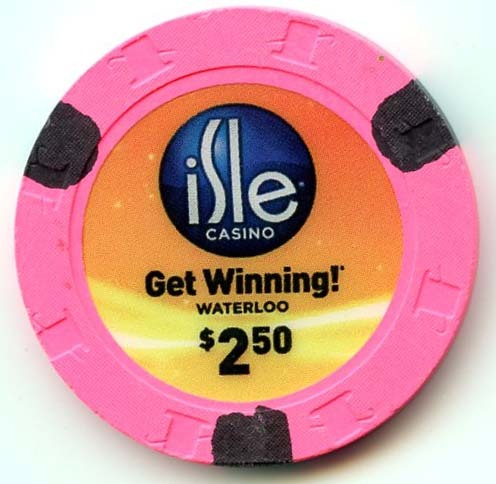 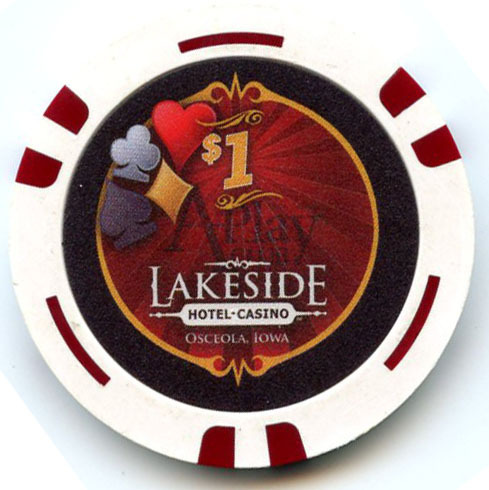 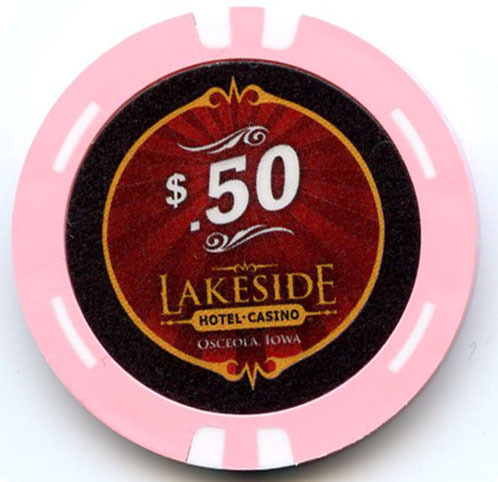 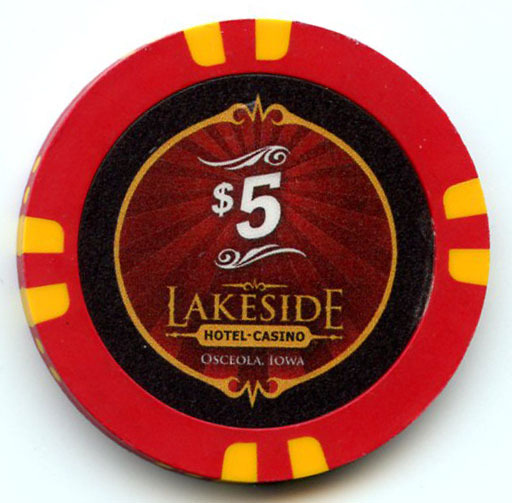 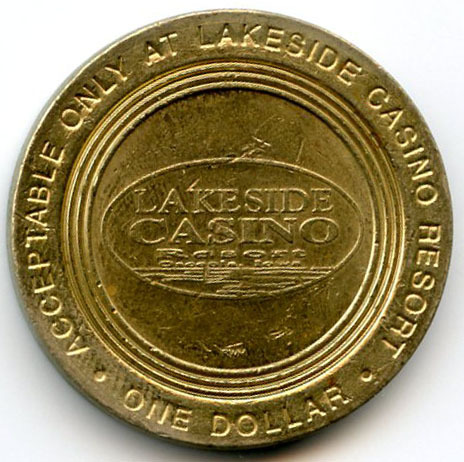 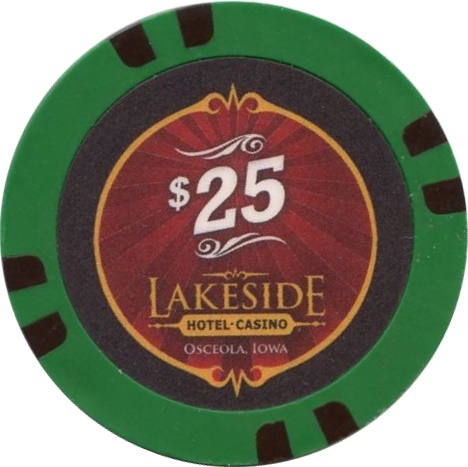 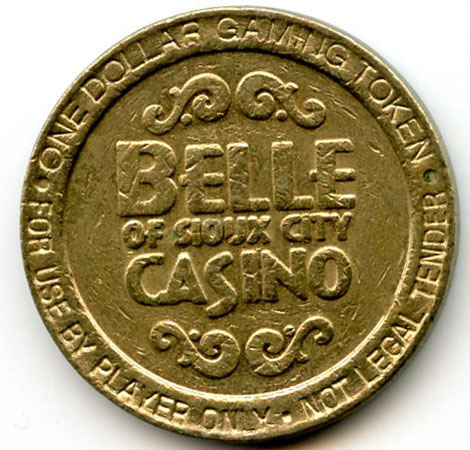 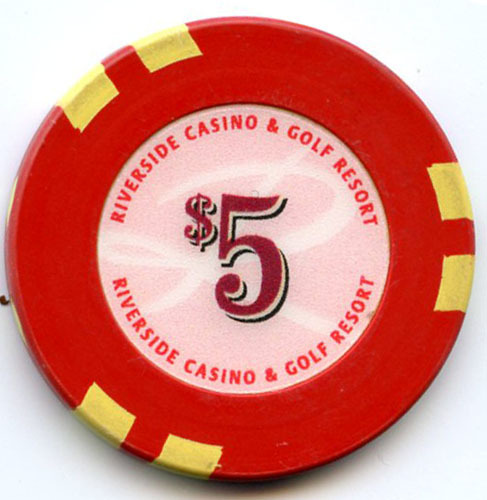 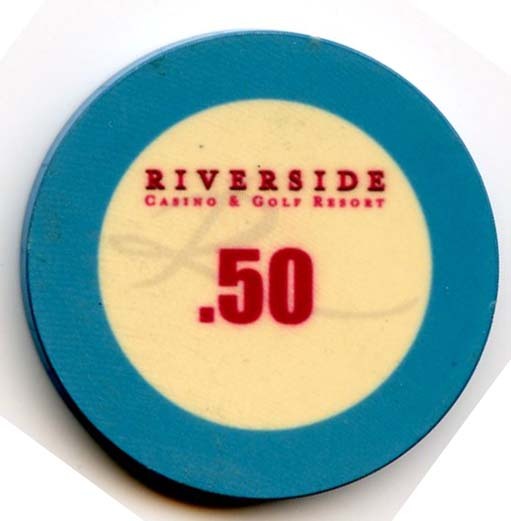 In 2011 the casino dropped Terrible’s from its name and is now once again called Lakeside Casino. 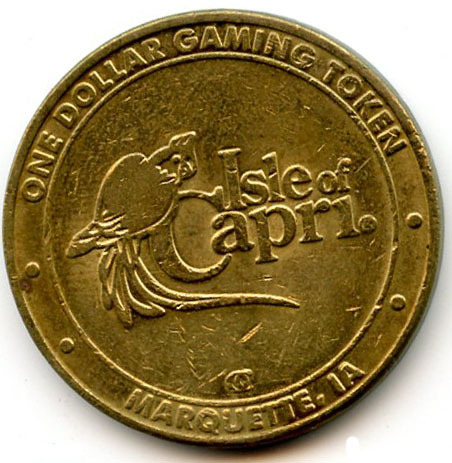 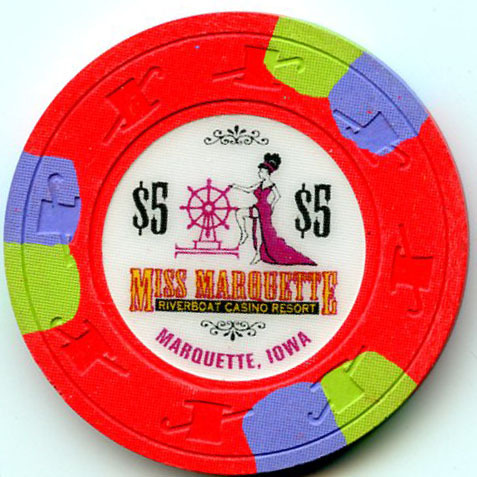 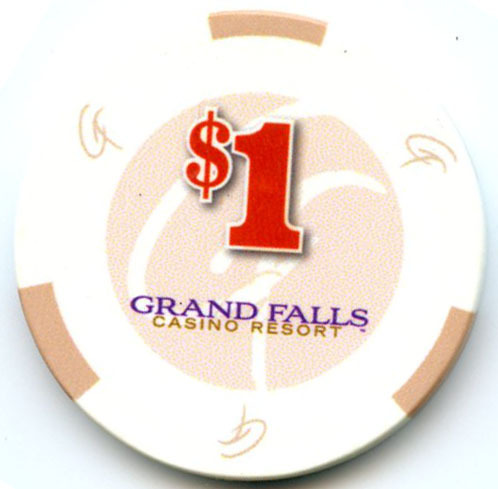 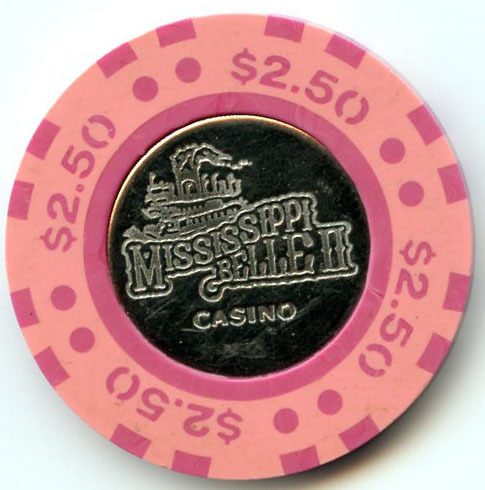 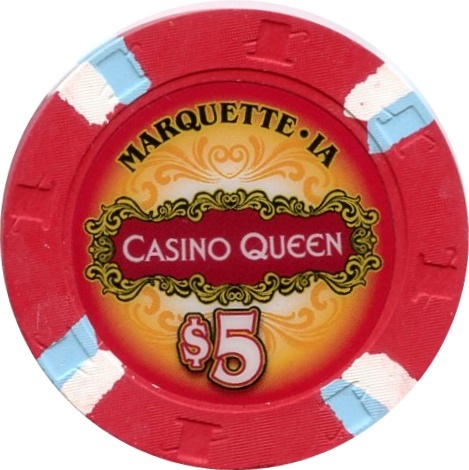 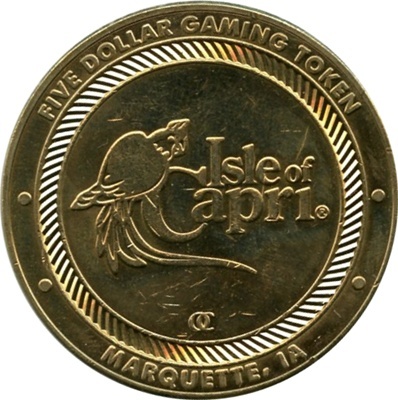 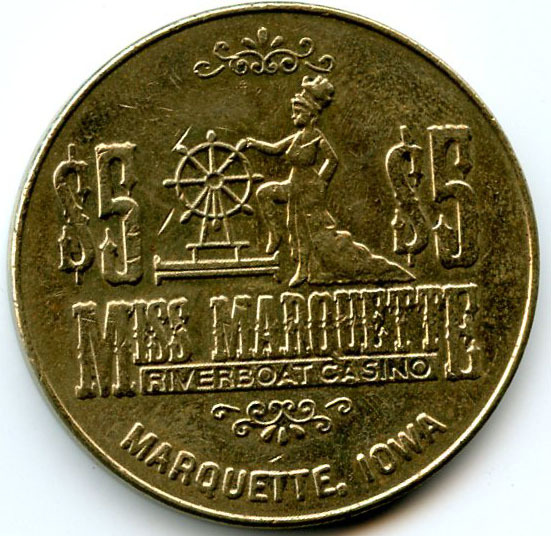 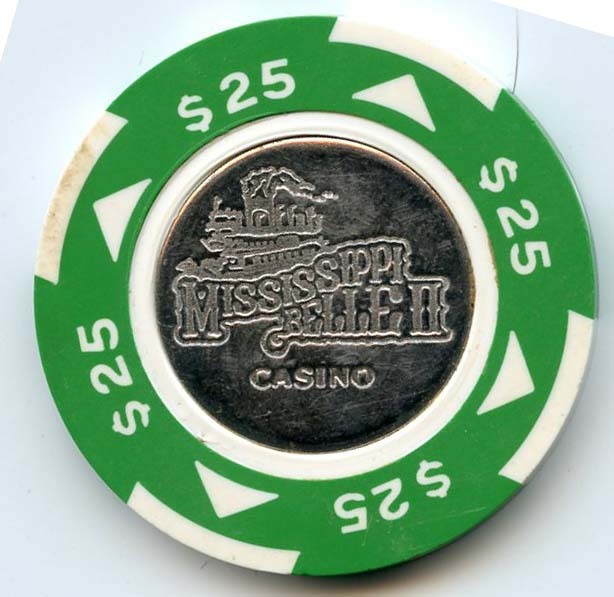 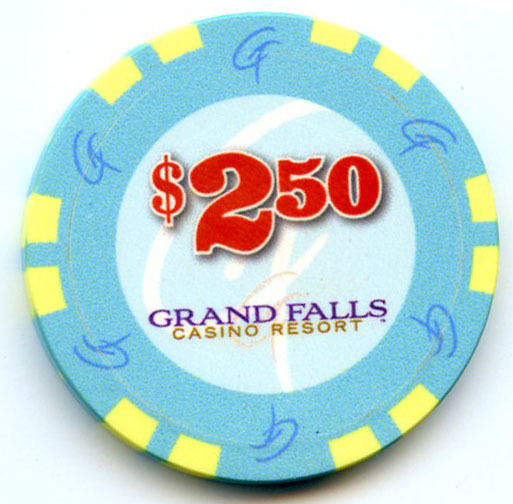 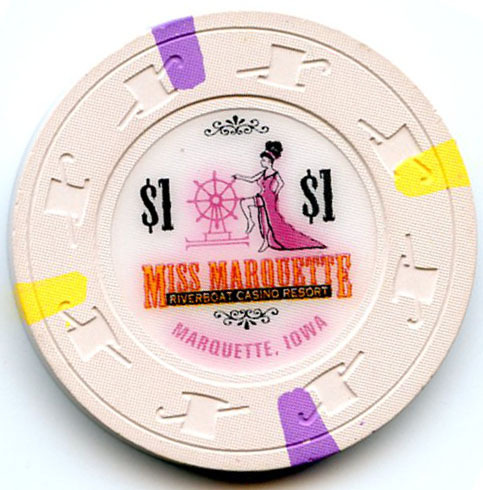 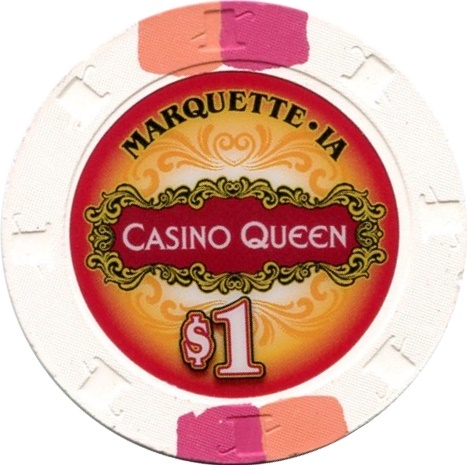 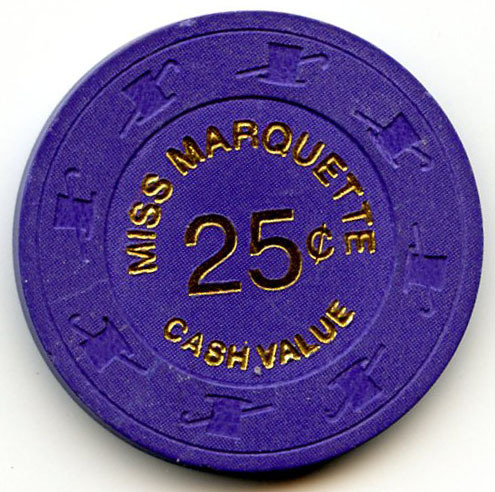 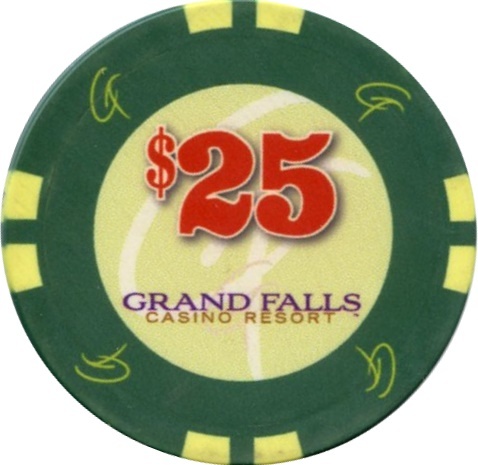 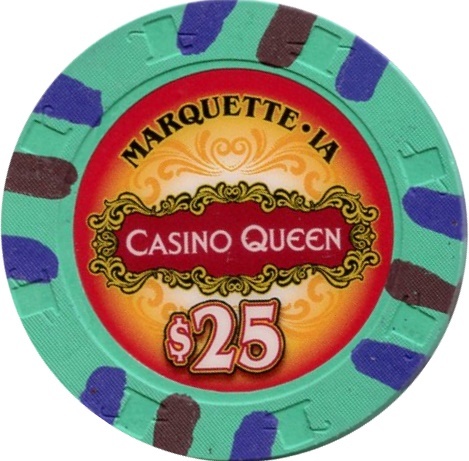 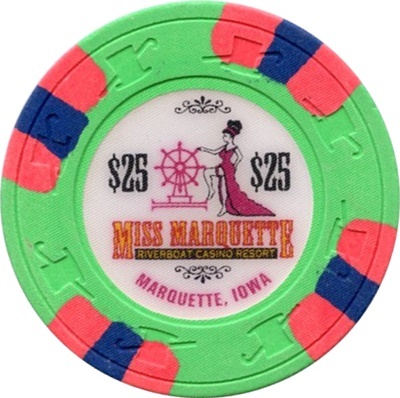 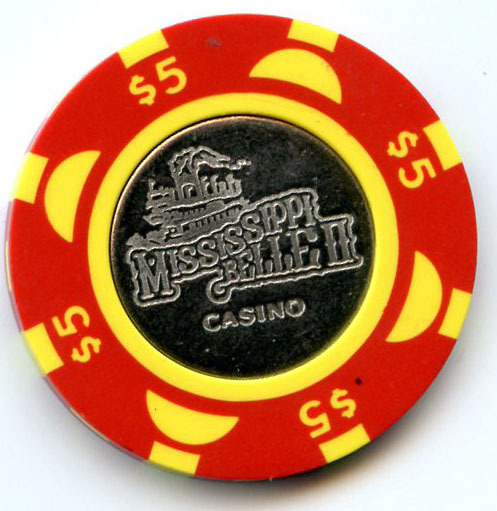 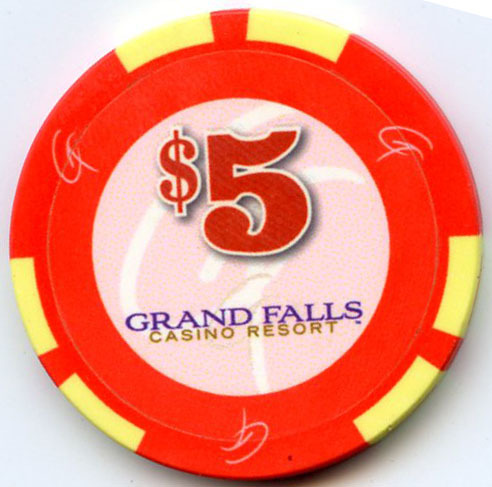 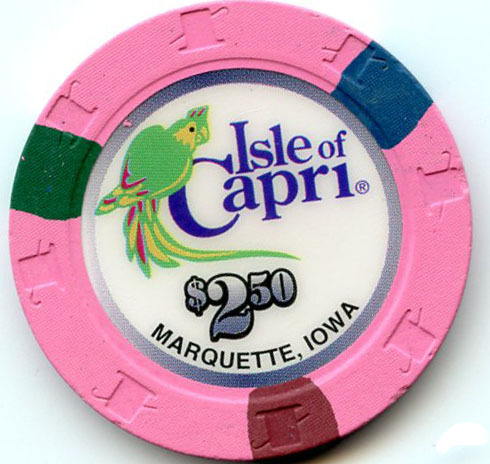 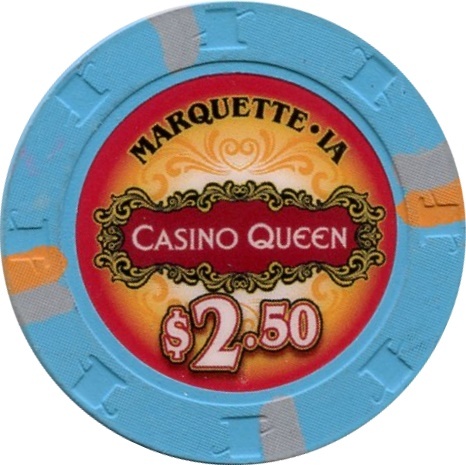 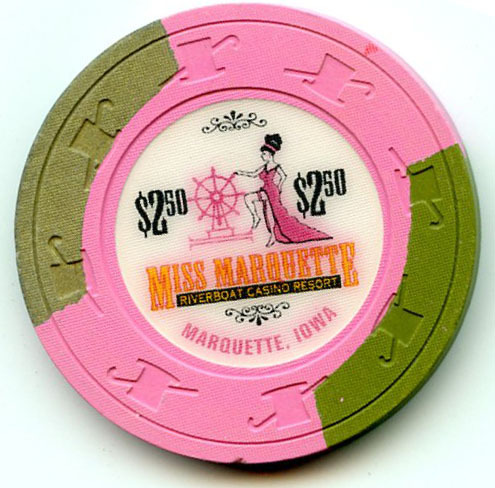 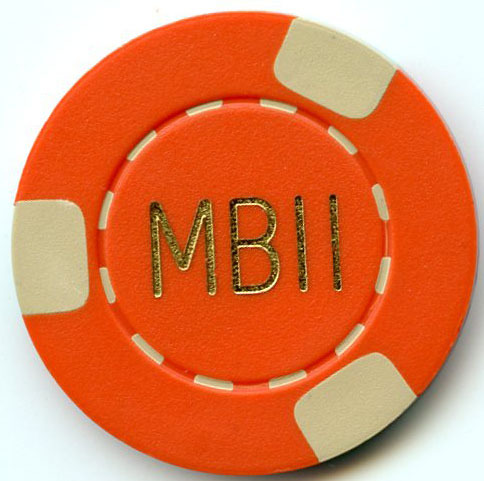 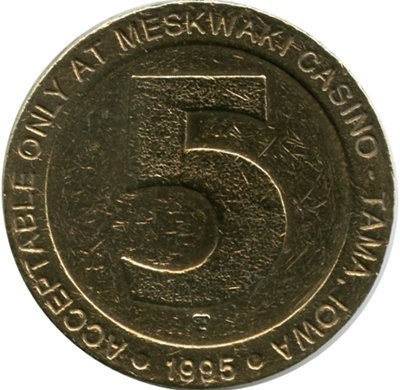 The Miss Marquette Casino was replaced by the Isle of Capri Casino in 2000. 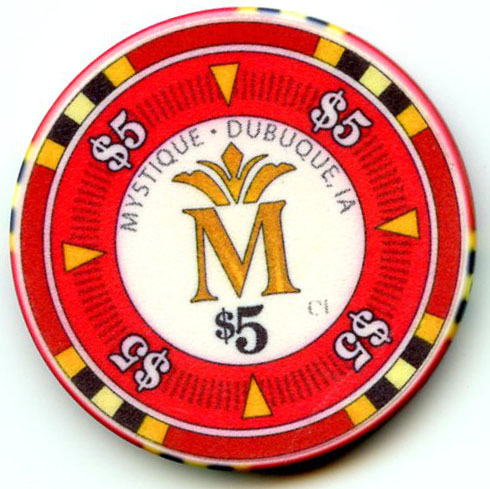 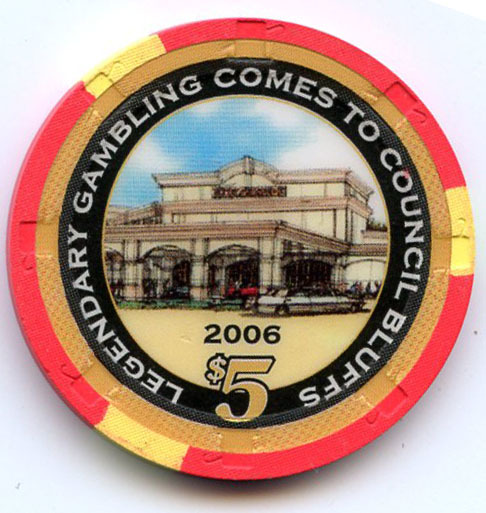 The Mystique Casino replaced the Dubuque Greyhound Park and Casino in 2009. 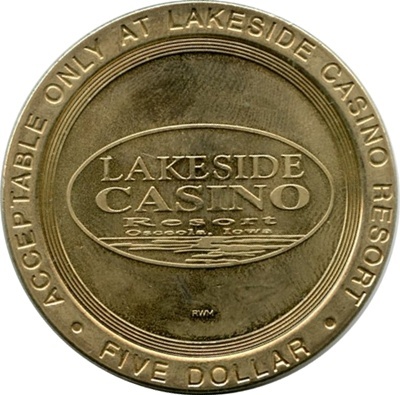 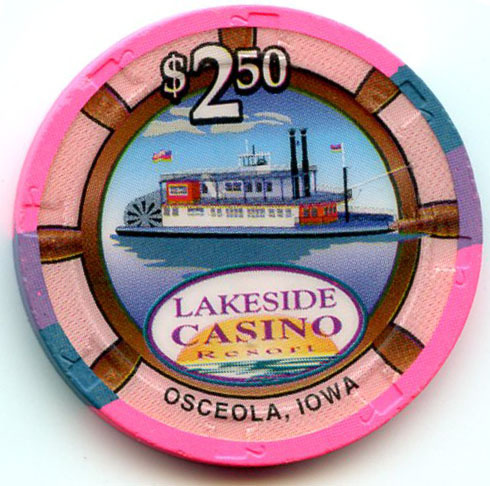 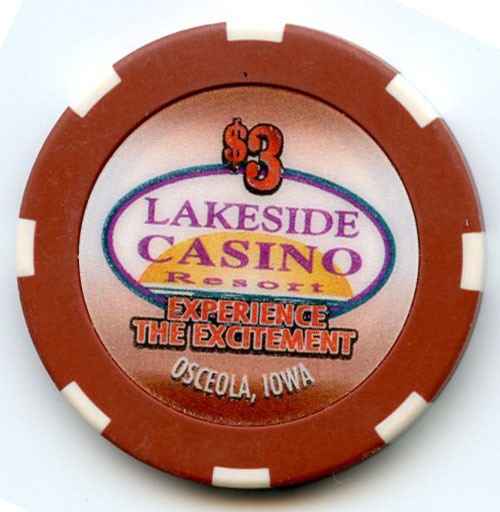 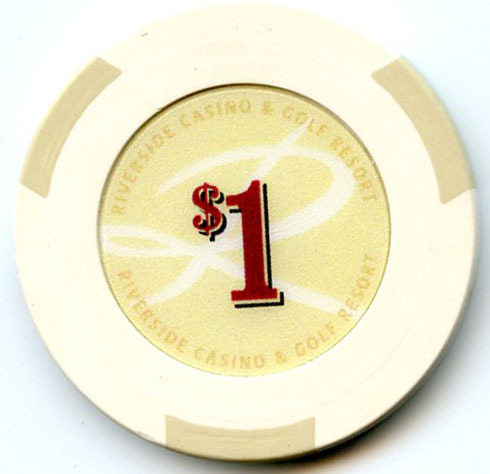 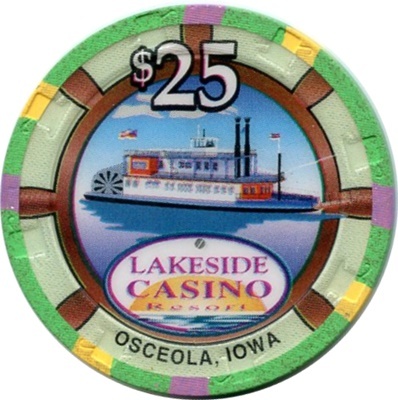 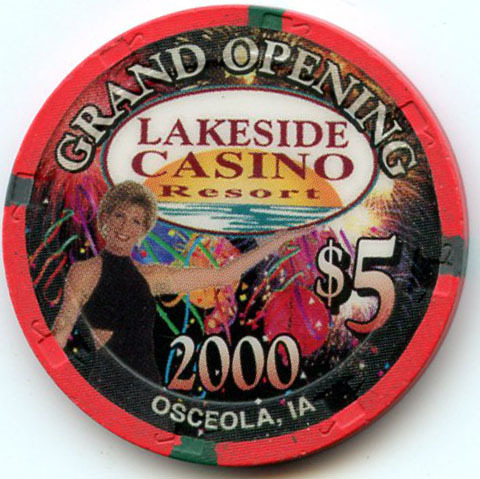 Terrible’s Lakeside was renamed Lakeside Casino in 2011.